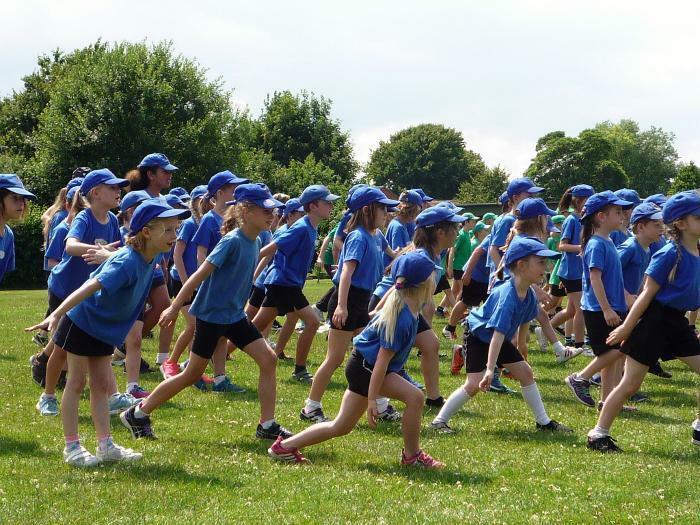 Have you started 2018 with the promise to do more exercise, to get fit, to take up something that you can do with your child or children? 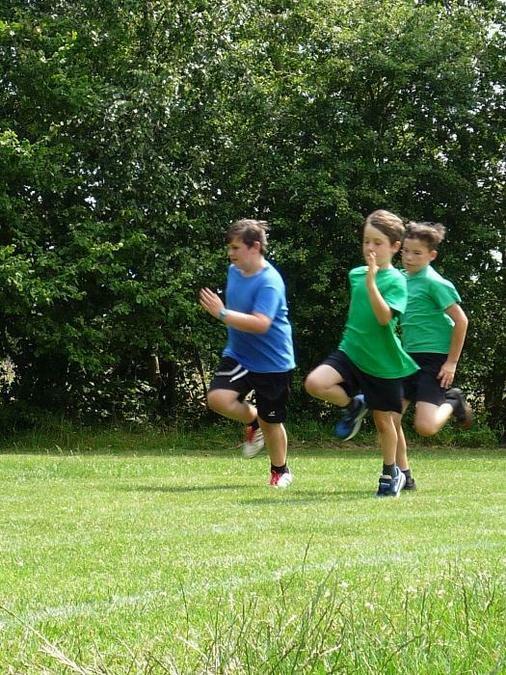 Have you considered doing the Couch to 5K running program. 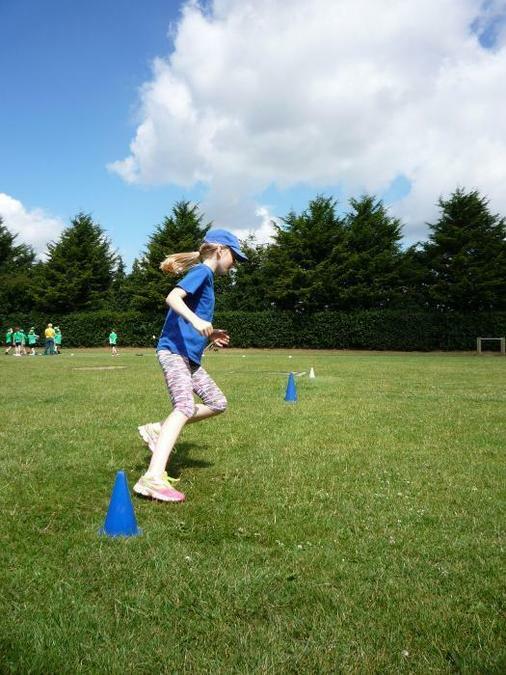 It is for complete novices who have never run before, or for a considerable time, and is a great introduction to getting fitter and building up stamina. 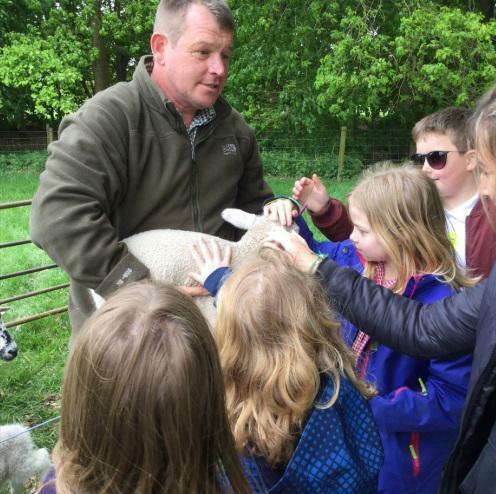 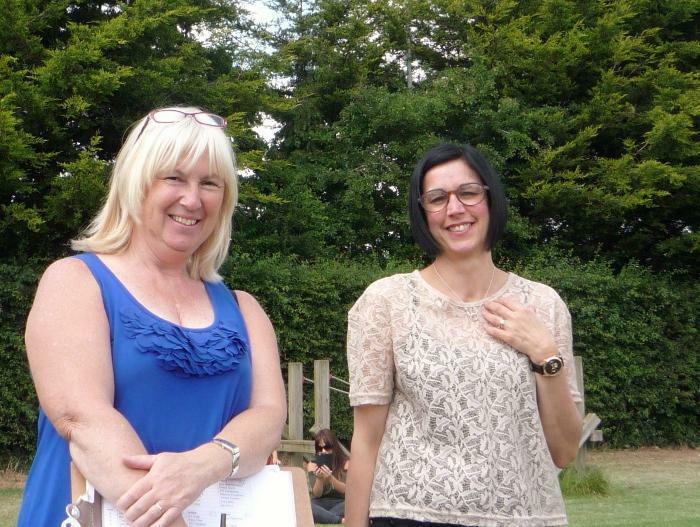 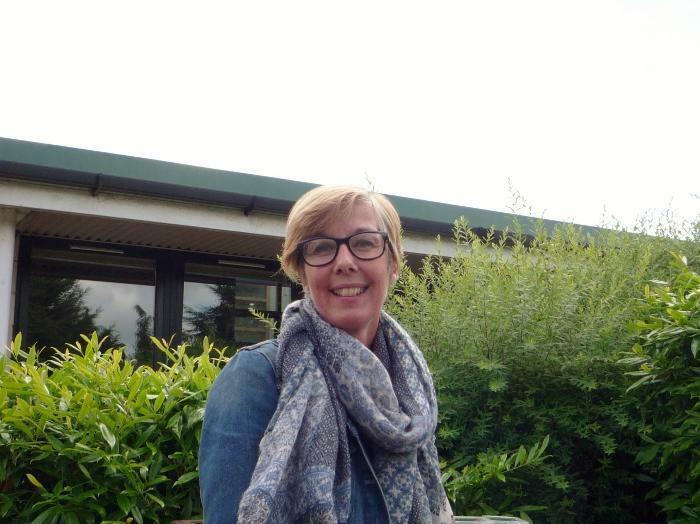 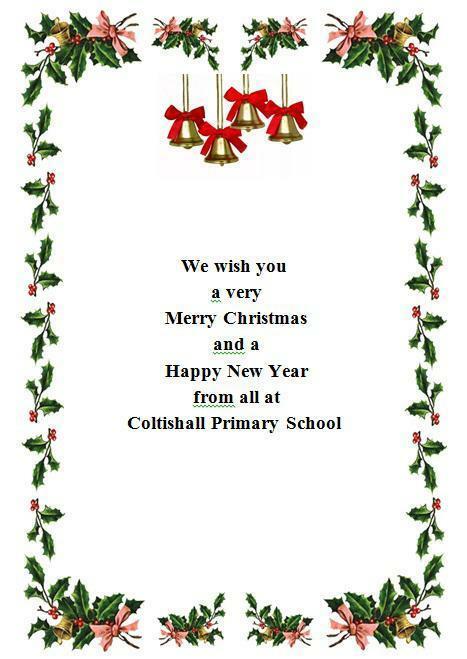 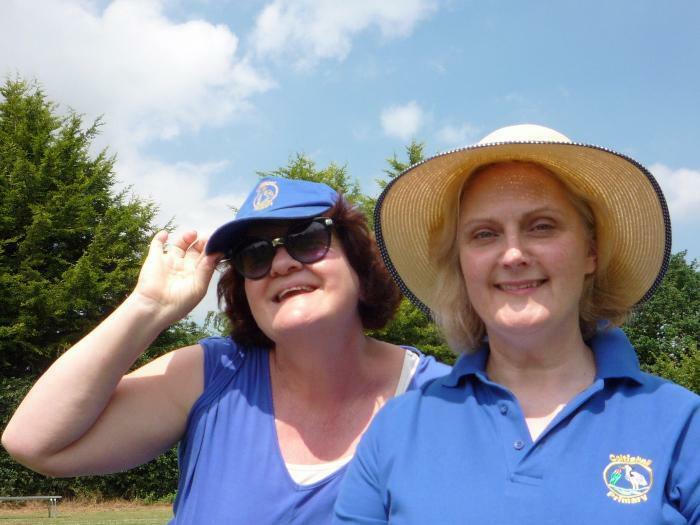 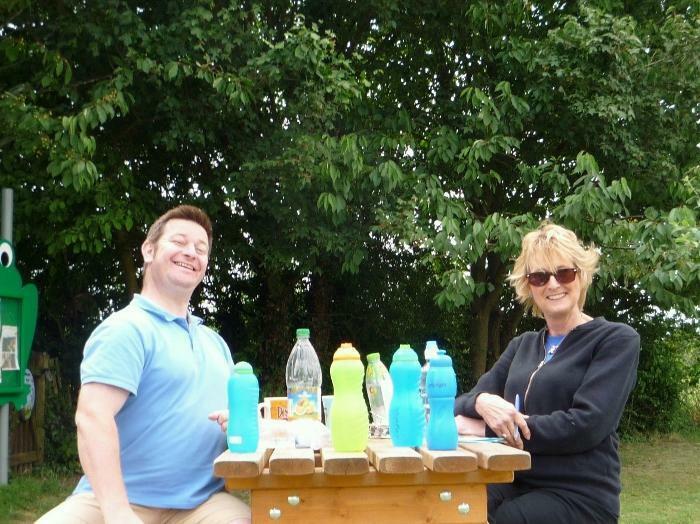 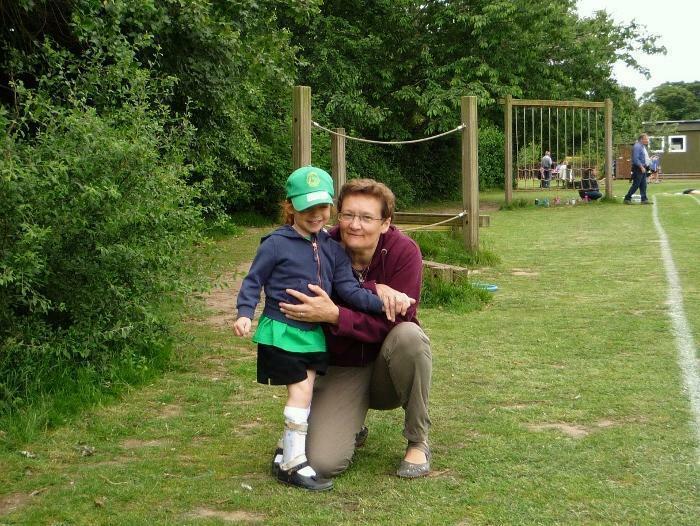 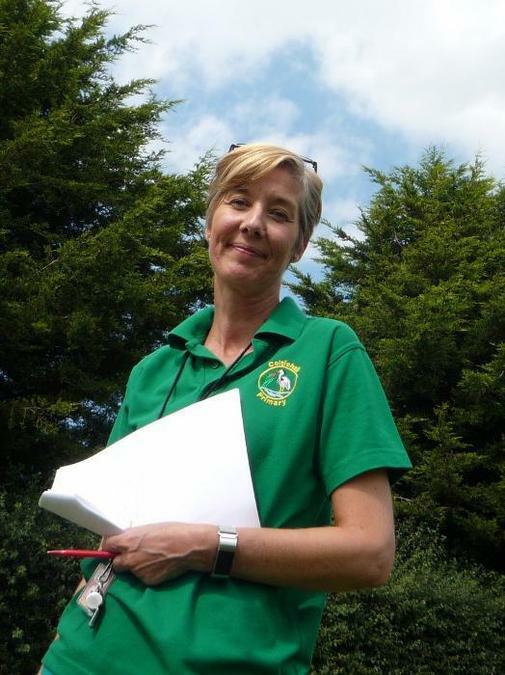 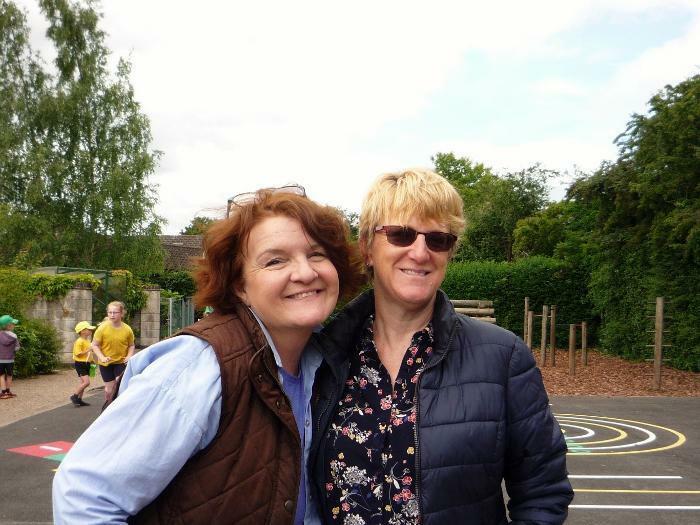 Having run the program last term, a small group of Coltishall parents have proved that it works and is manageable. 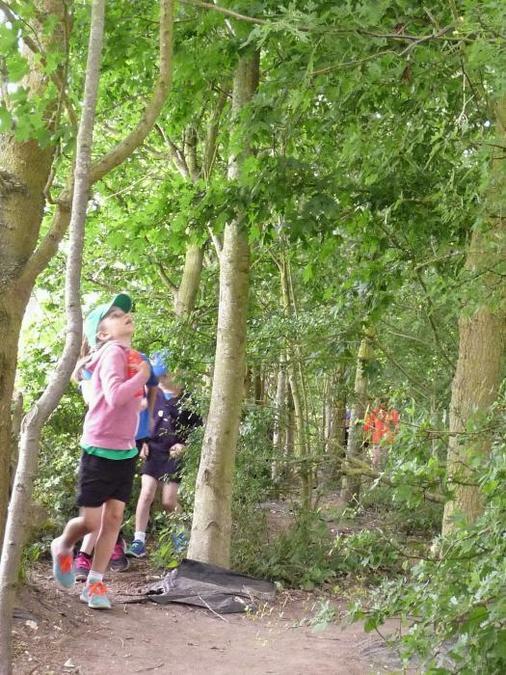 At least 4 parents have built up from being complete non-runners to being able to run for 30+ minutes and some have completed Park Runs. 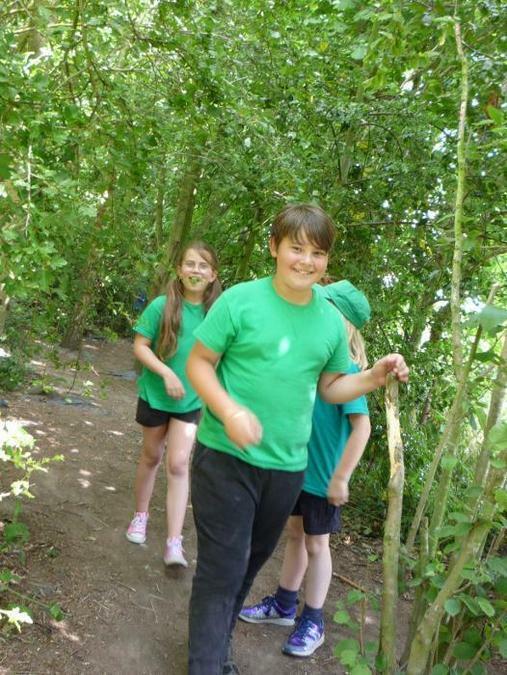 I understand that the weather is not very inspiring at the moment but there is no better time to start, as the program starts off with brisk walking and only a small amount of running, enough to raise your heartbeat and body temperature. 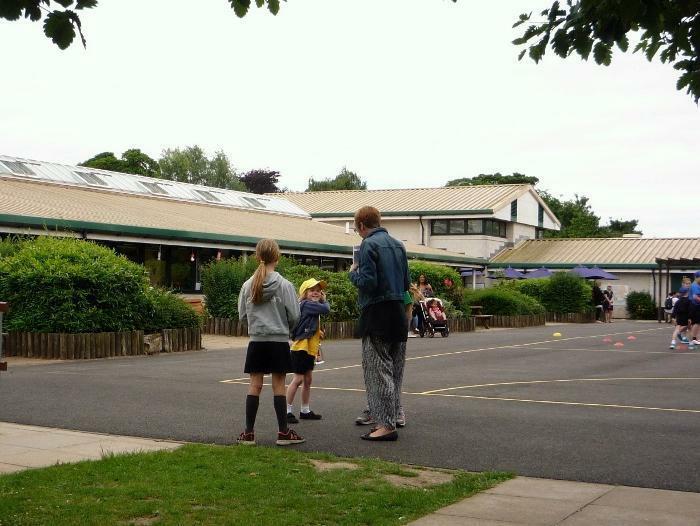 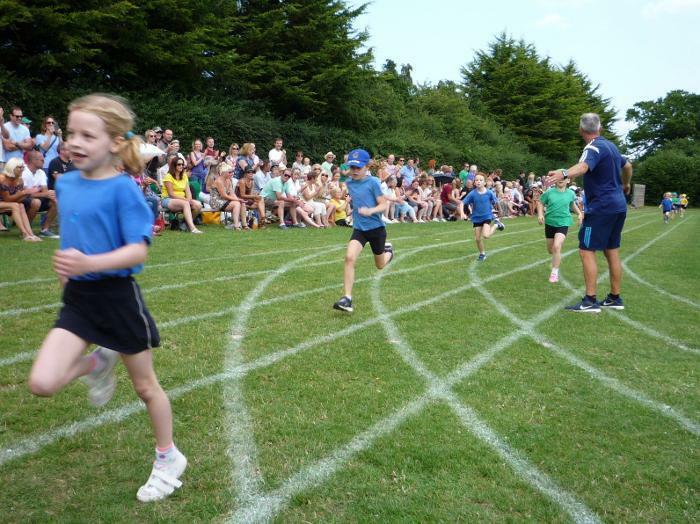 As I ran it last term, I would like it to be for parents and children combined. 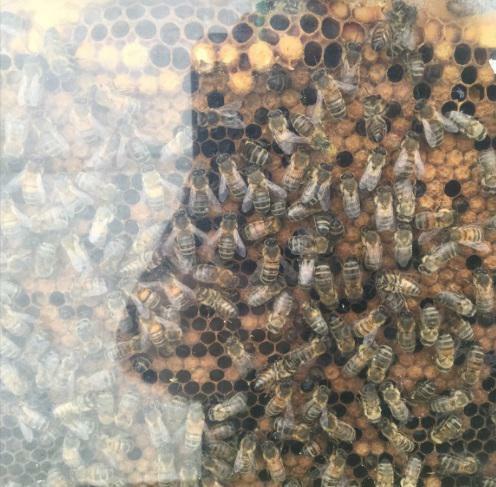 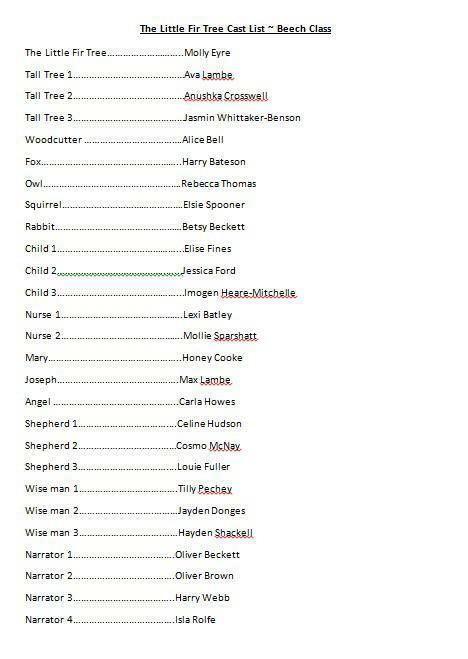 It will be held on Thursdays after school, from 3:30 and it will last no longer than 30-40 minutes. 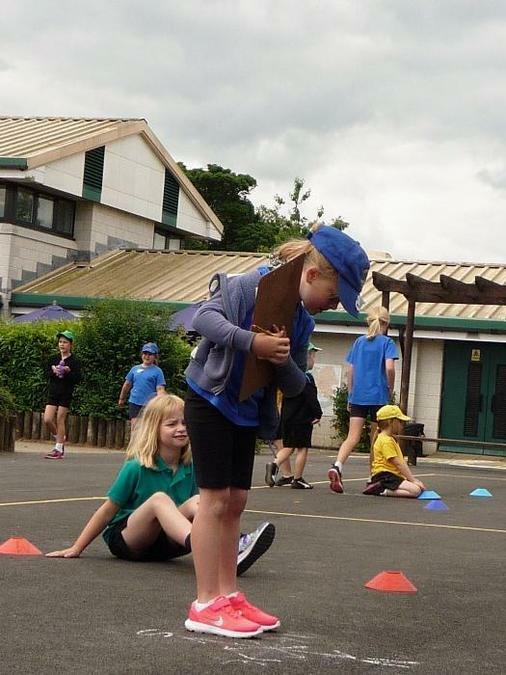 We will use the BBC Get inspired app which has a progressive set of plans to follow over a series of 9 + weeks. 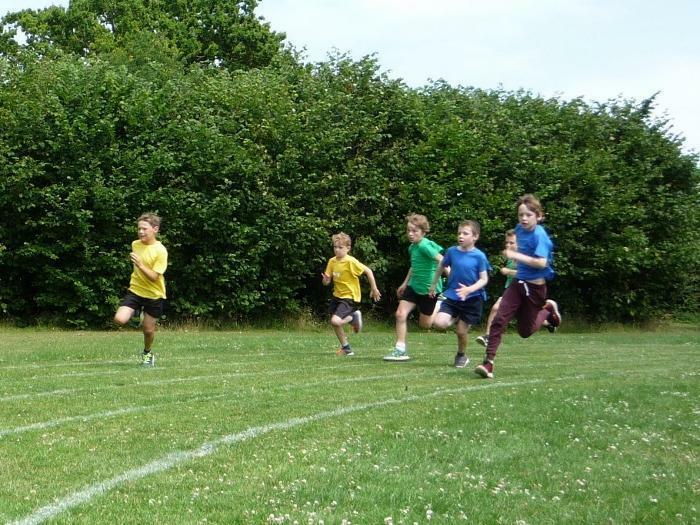 The expectation will be to run together on a Thursday around the school field and once again in your own time prior to the following session at school. 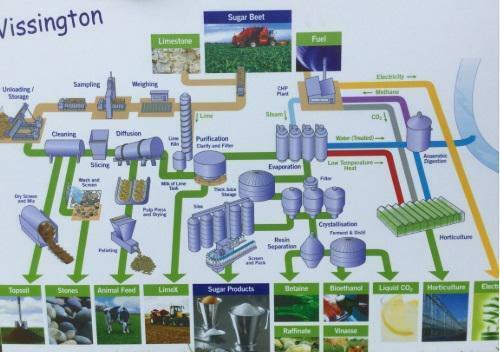 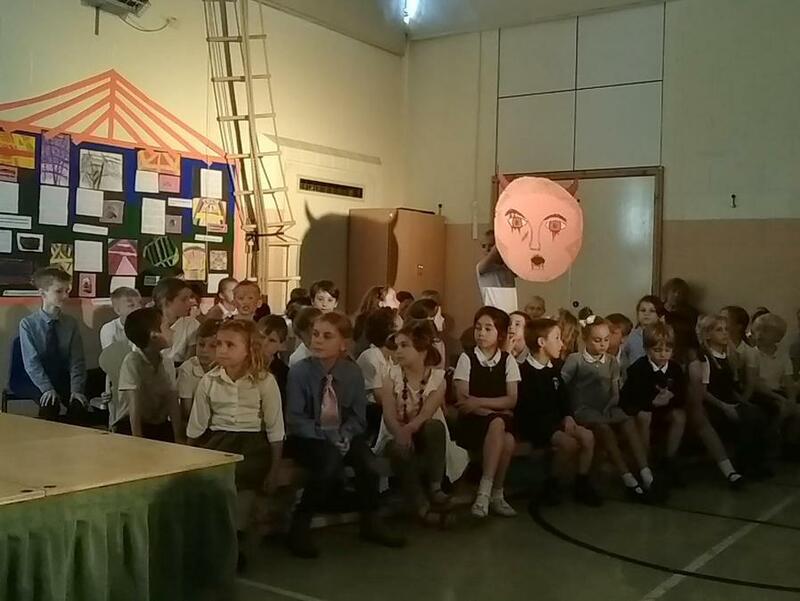 It will then take us a week and a half to progress through each stage. 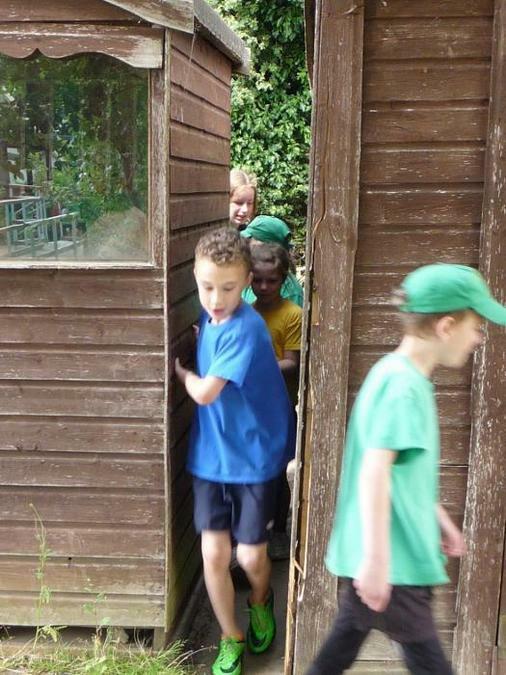 If we are hampered by the weather we will take our time and move on when the majority of the group feel ready. 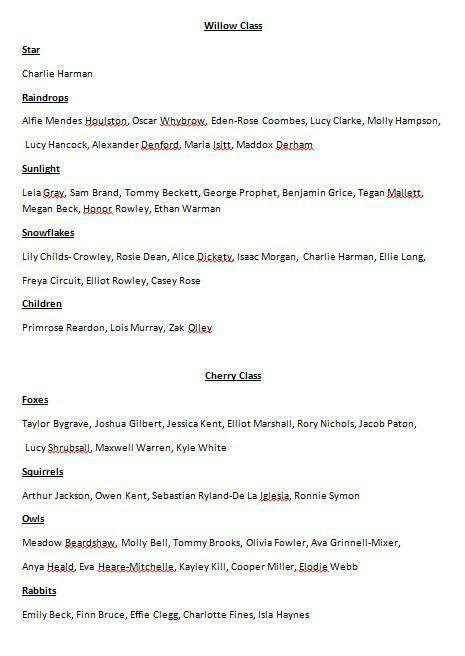 So...who is up for a challenge? 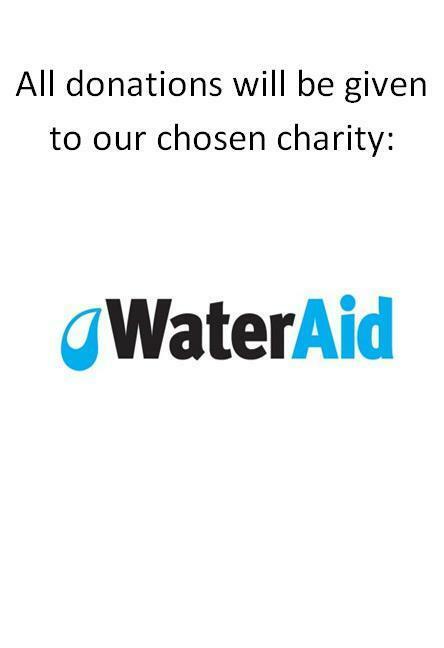 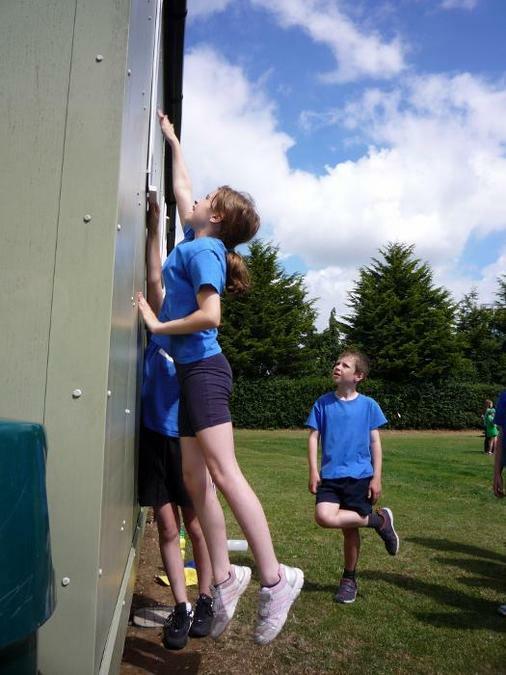 An achievable challenge! 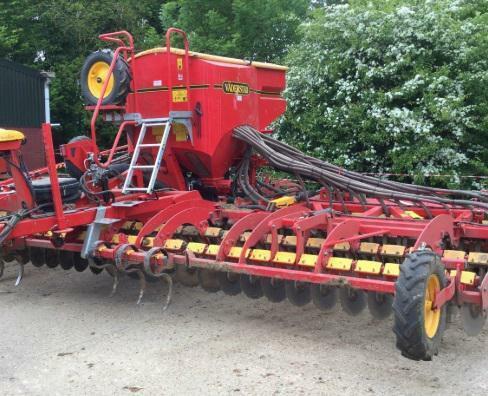 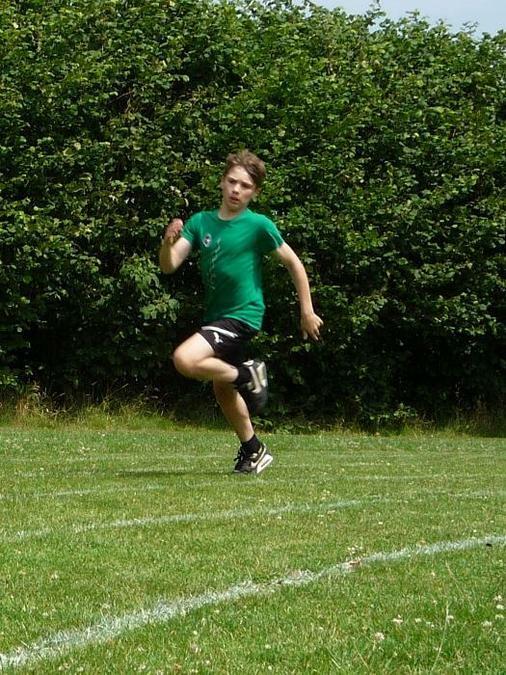 Nothing needed other than comfy clothes, a pair of trainers, twohalf an hour slots a week and a bit of determination. 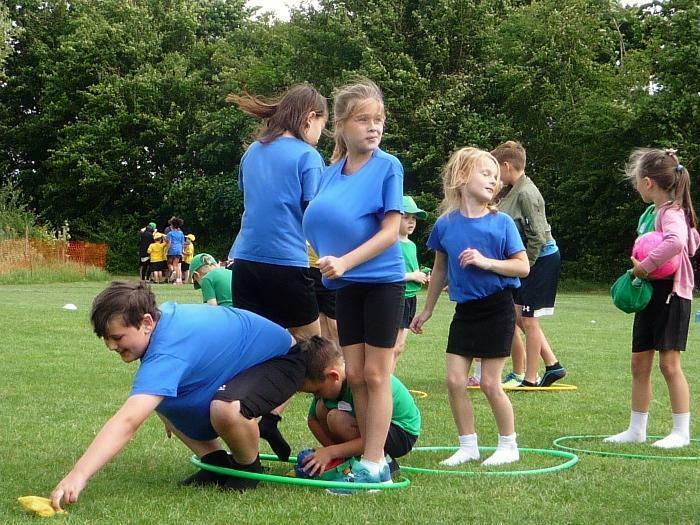 If you would like to give it a try, please contact me via Class Dojo and I look forward to seeing you on Thursday 11th January afternoon, meet in the bandstand. 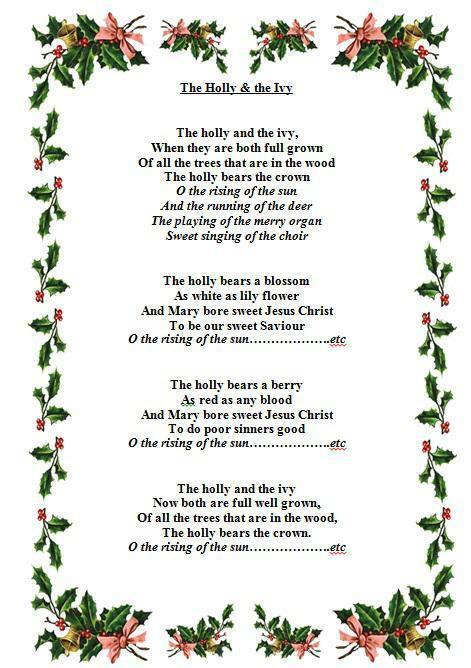 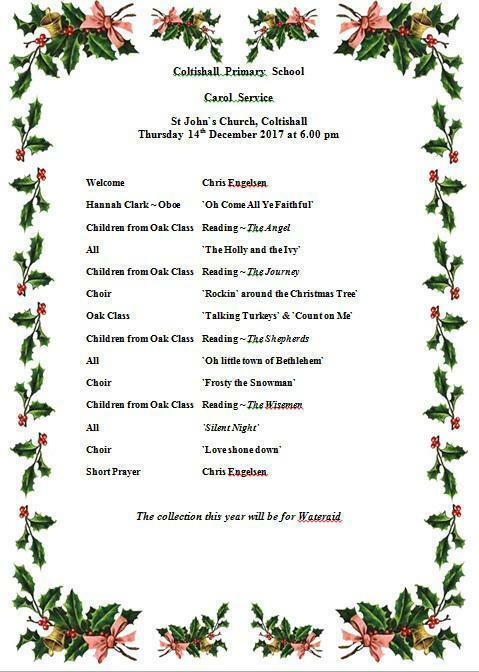 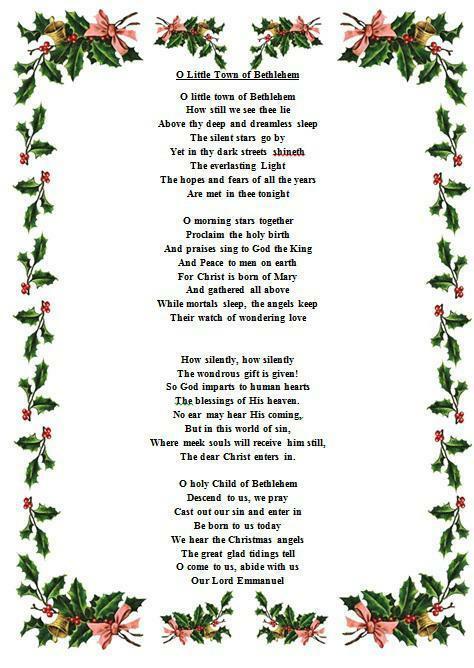 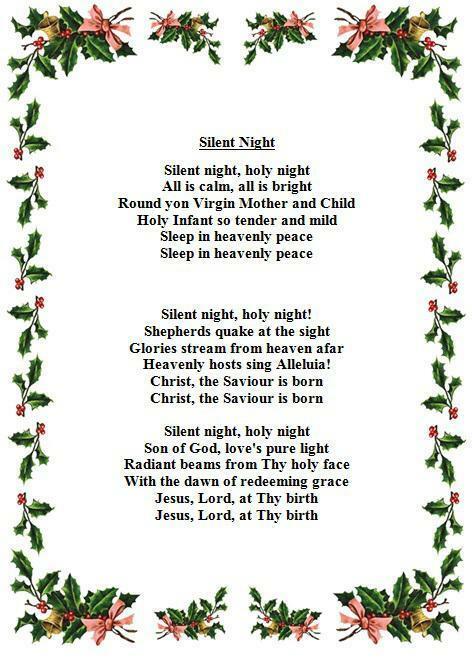 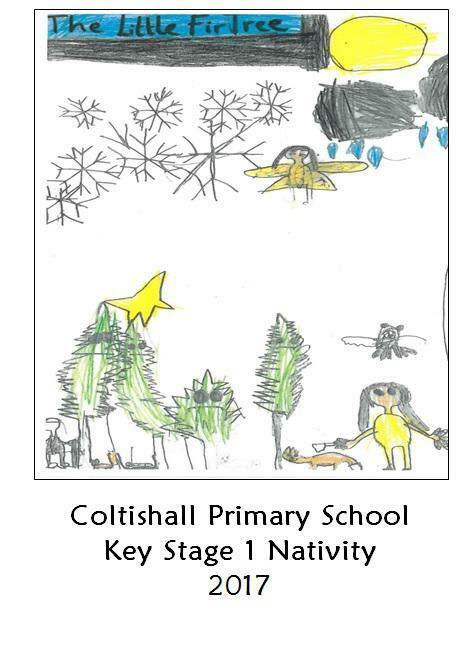 Programme from the Christmas Nativity. 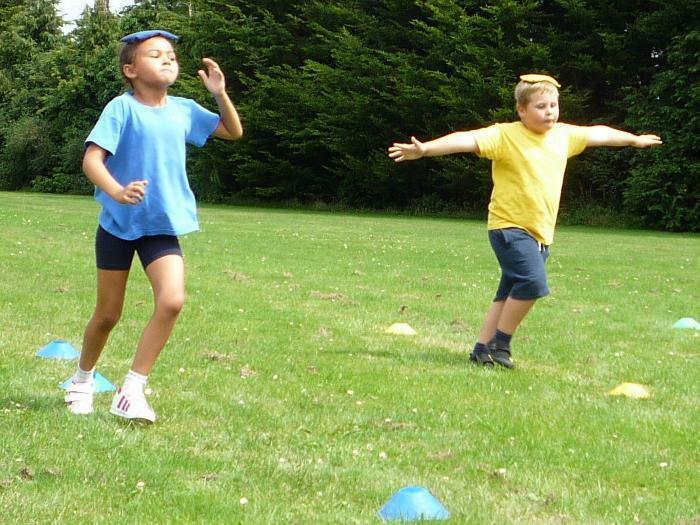 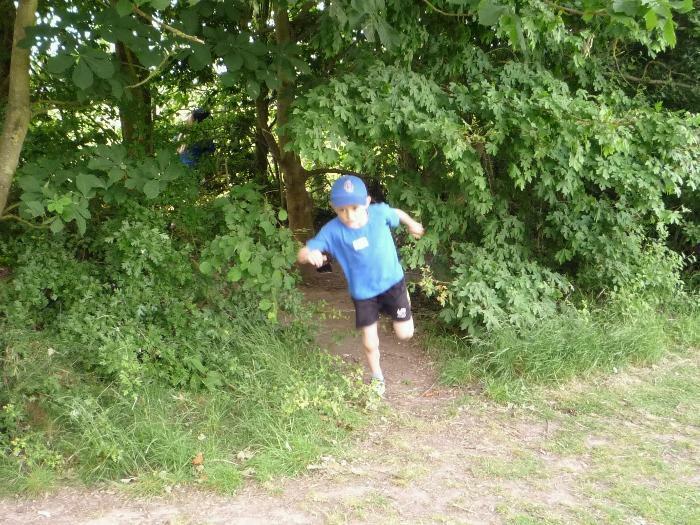 On Wednesday 29th November, over 120 children competed in the Broadland Cluster Cross Country event. 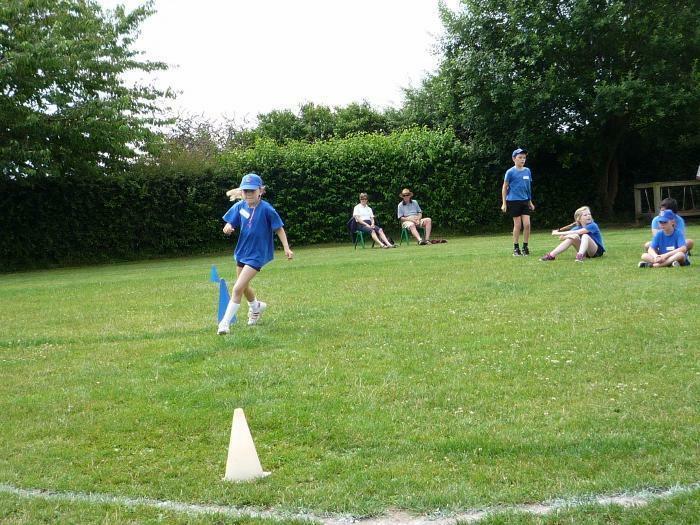 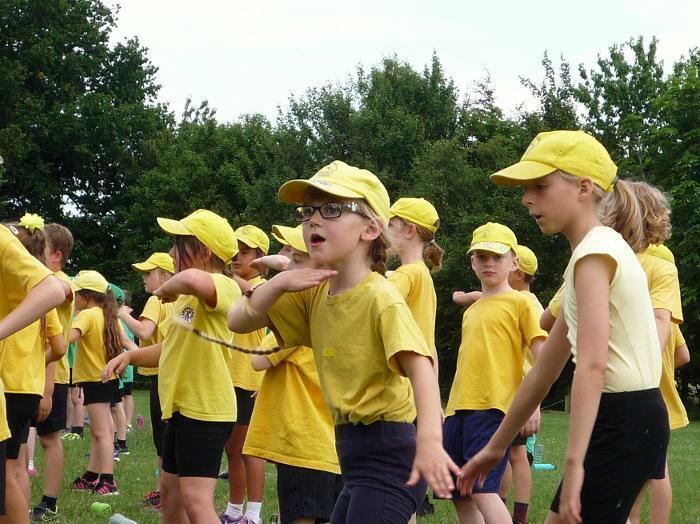 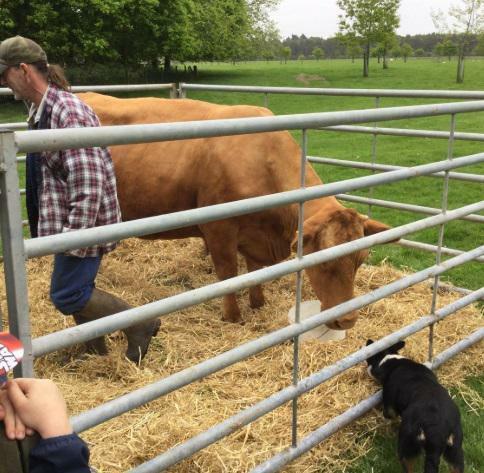 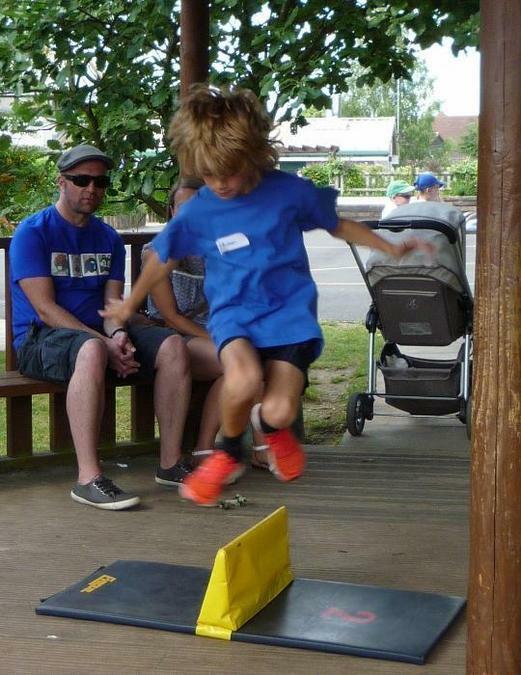 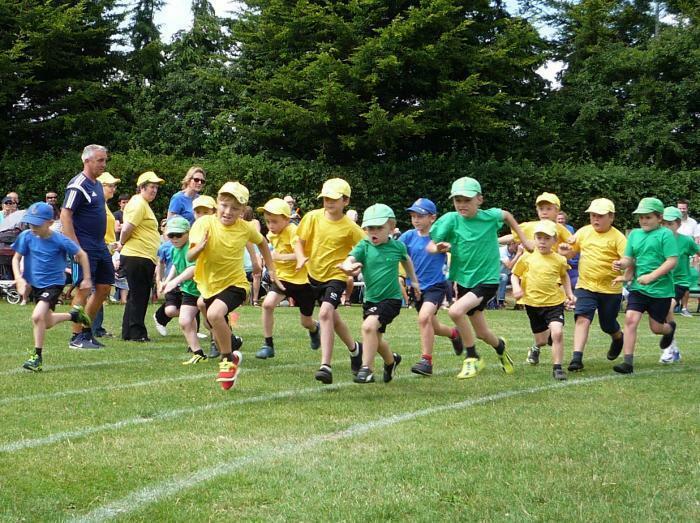 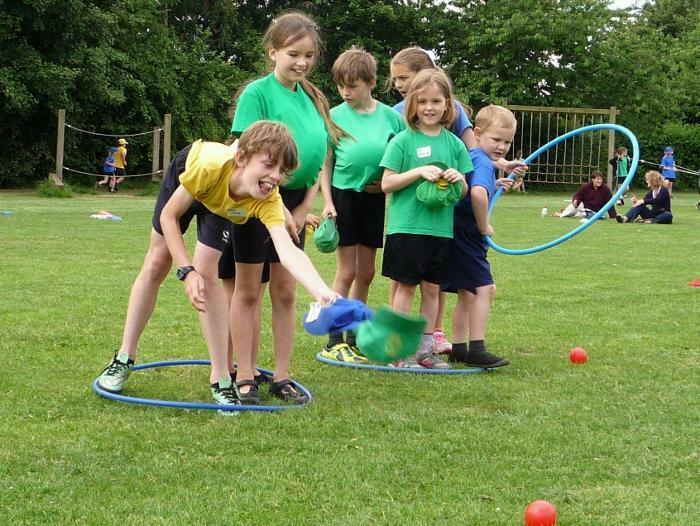 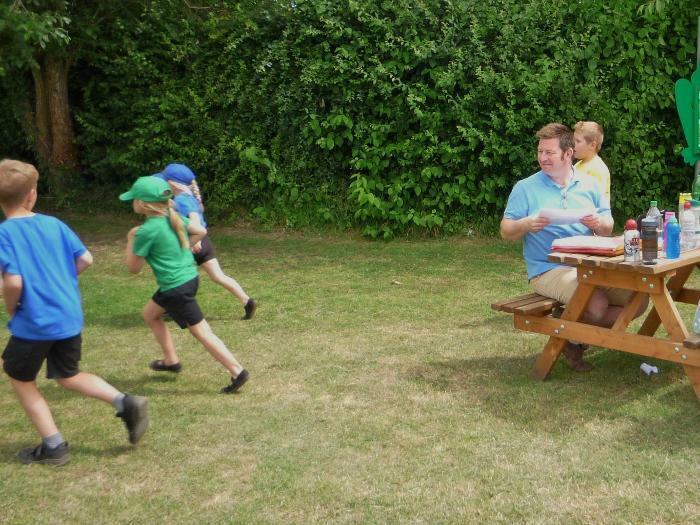 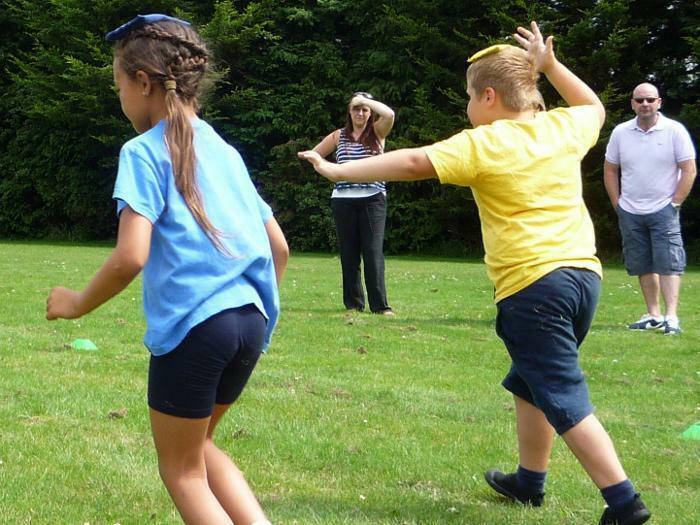 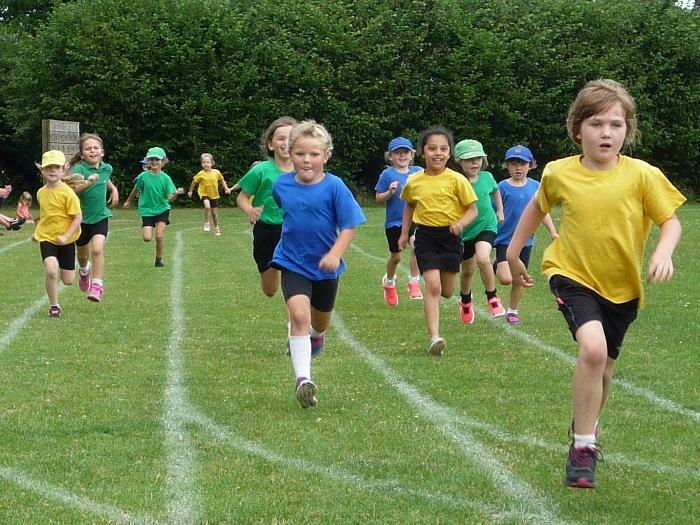 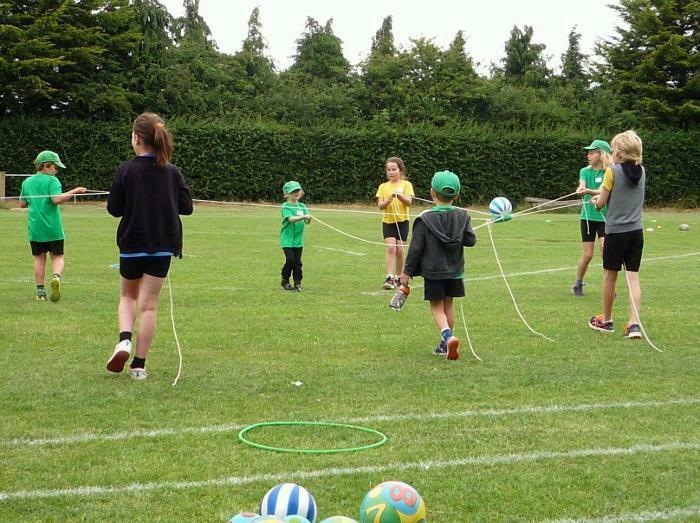 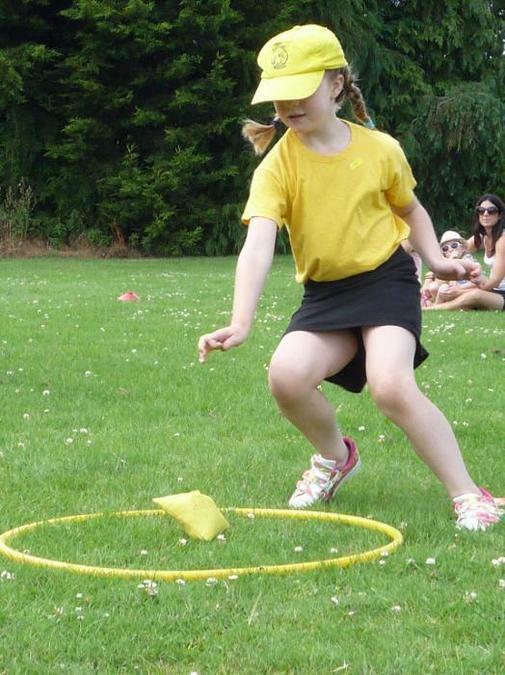 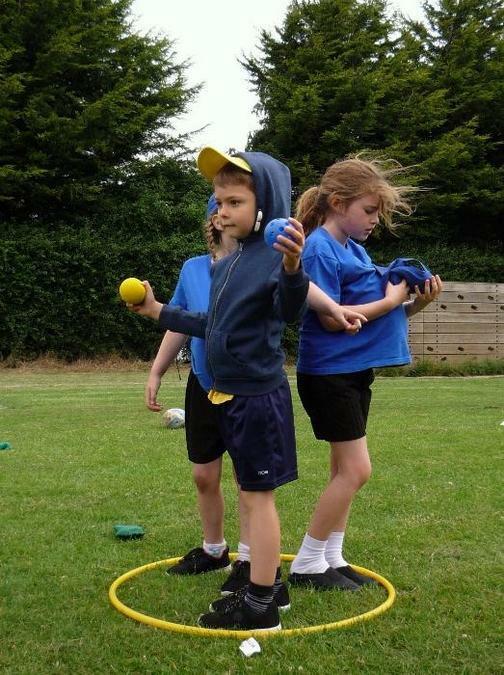 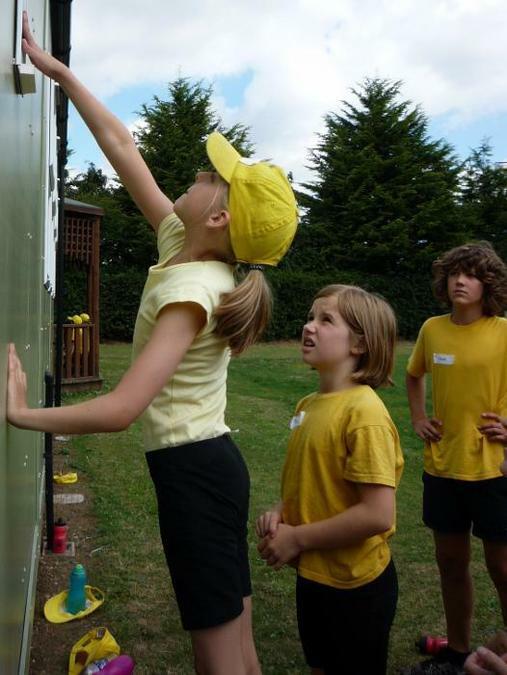 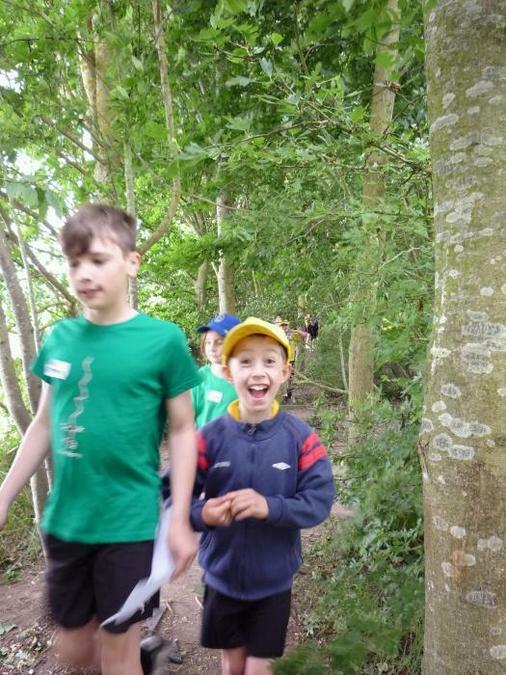 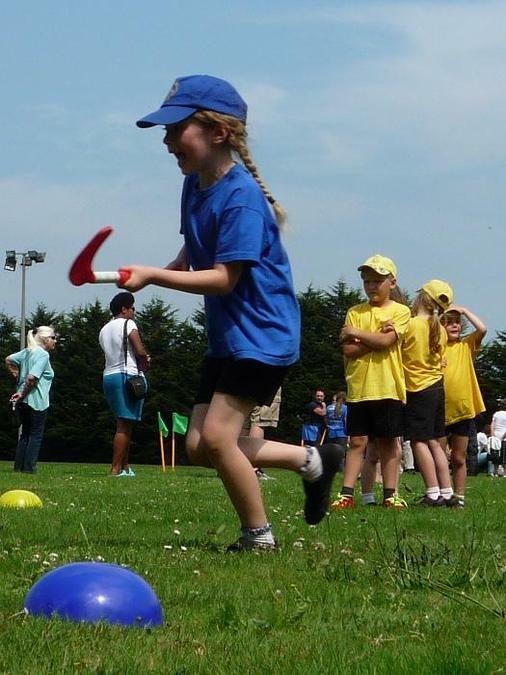 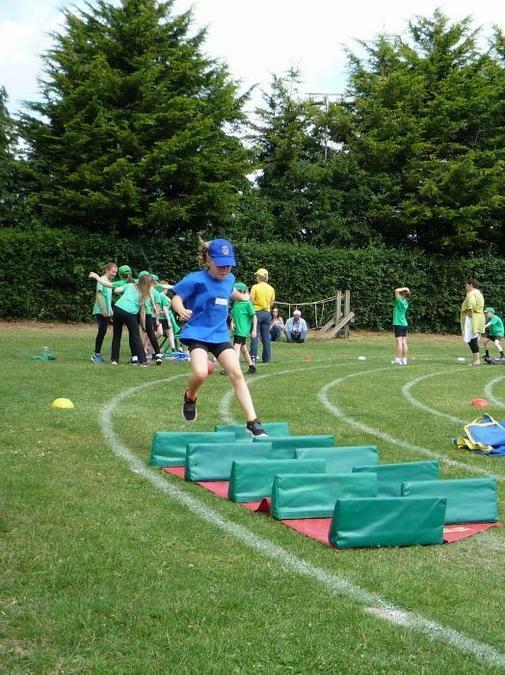 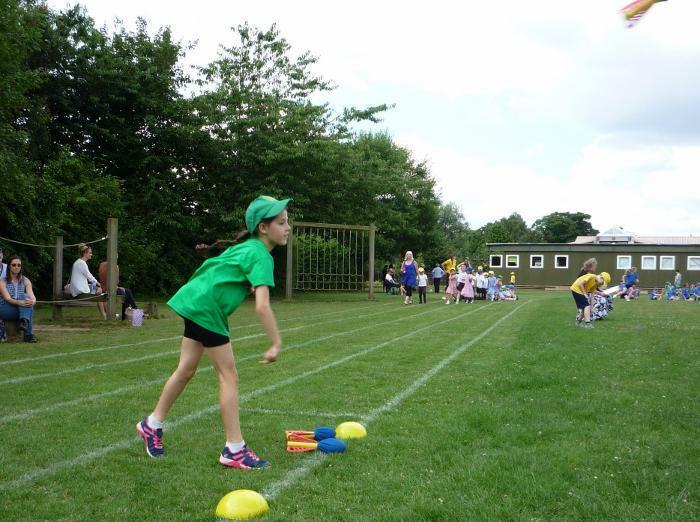 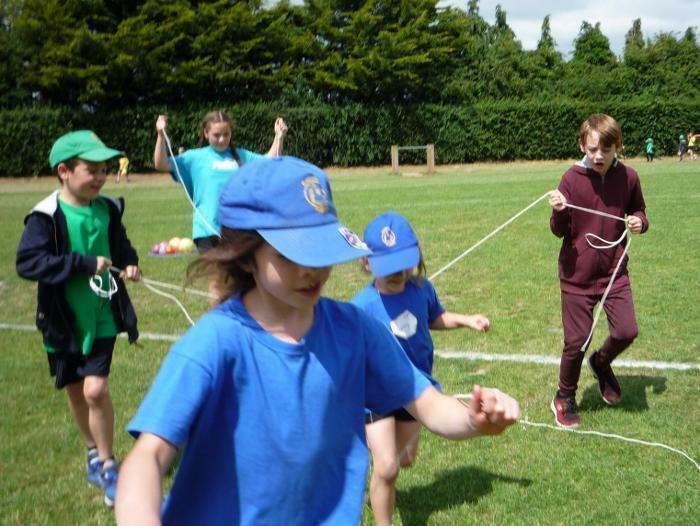 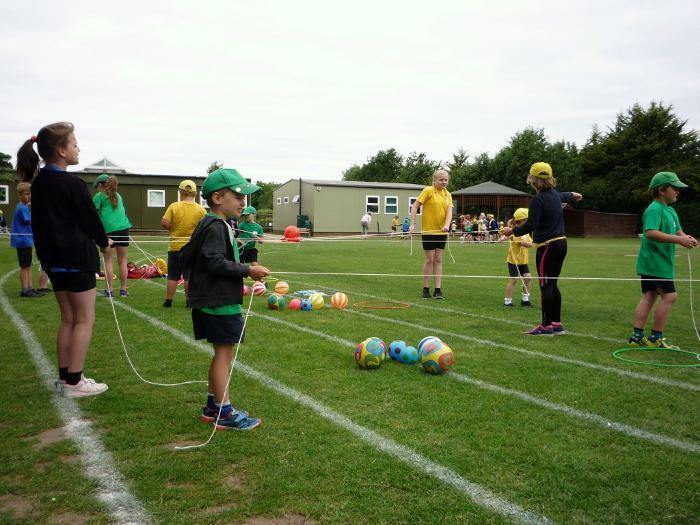 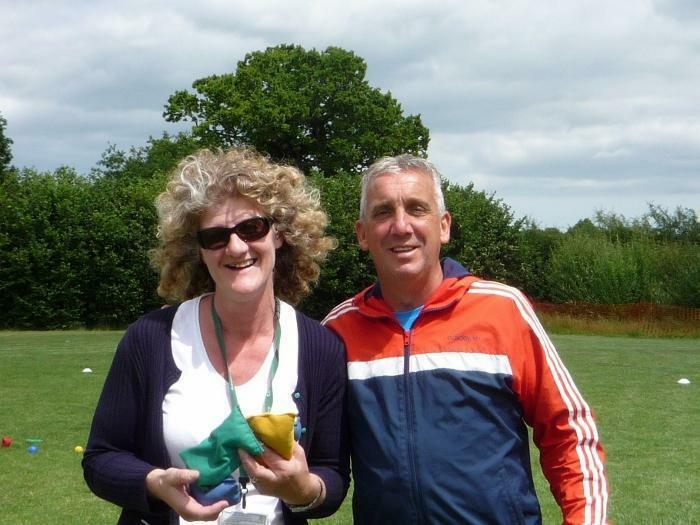 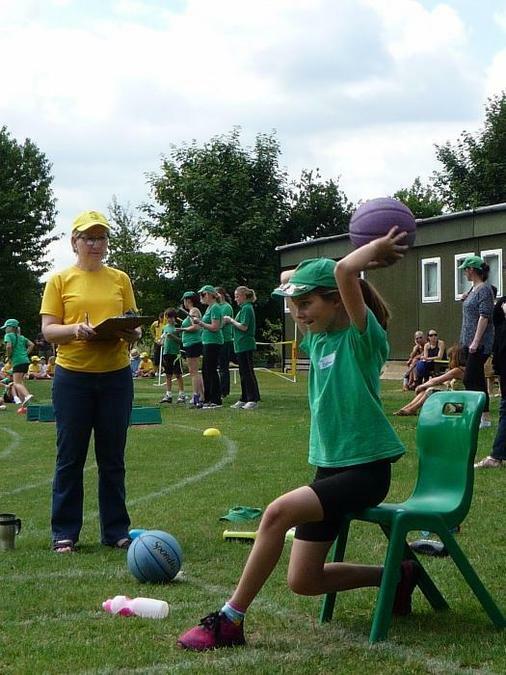 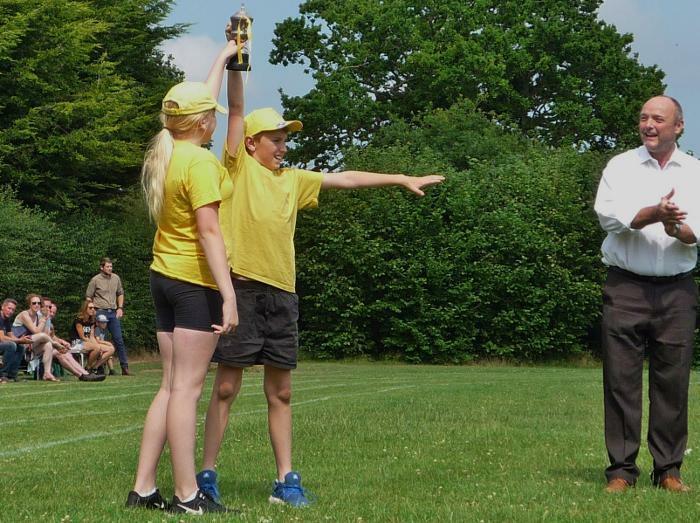 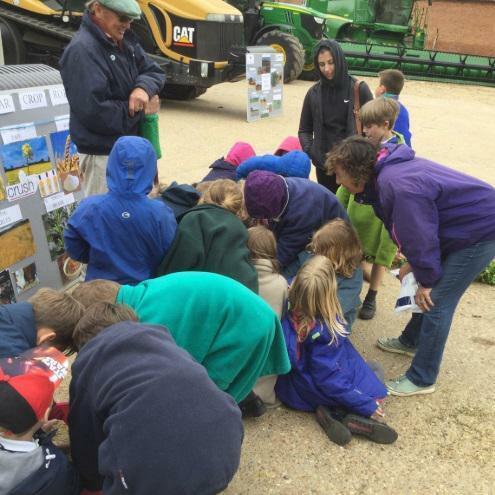 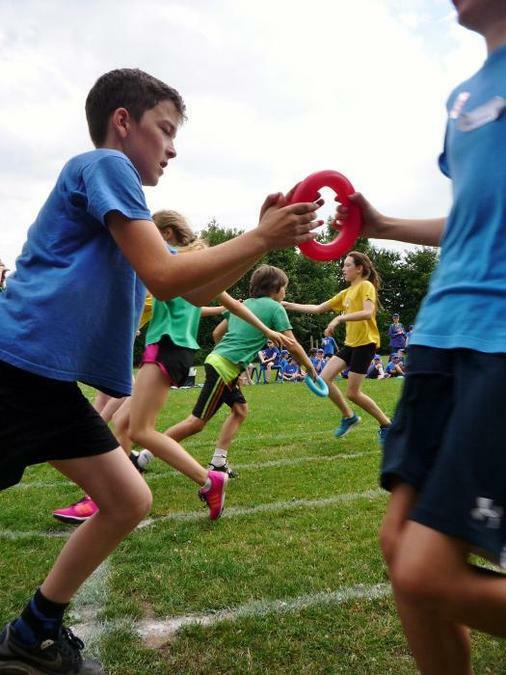 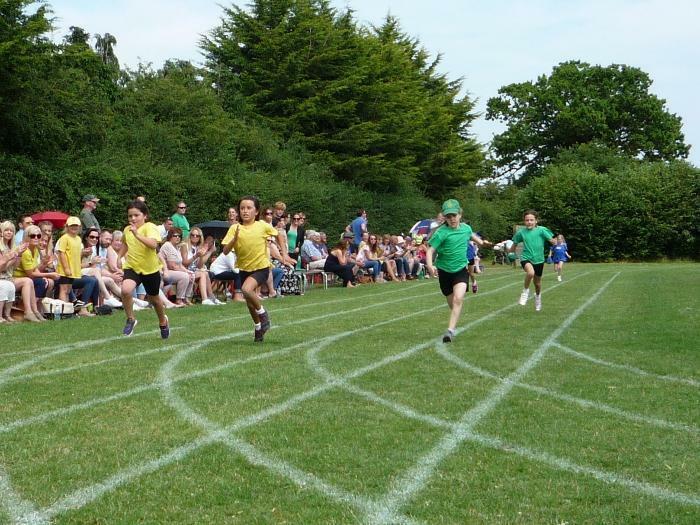 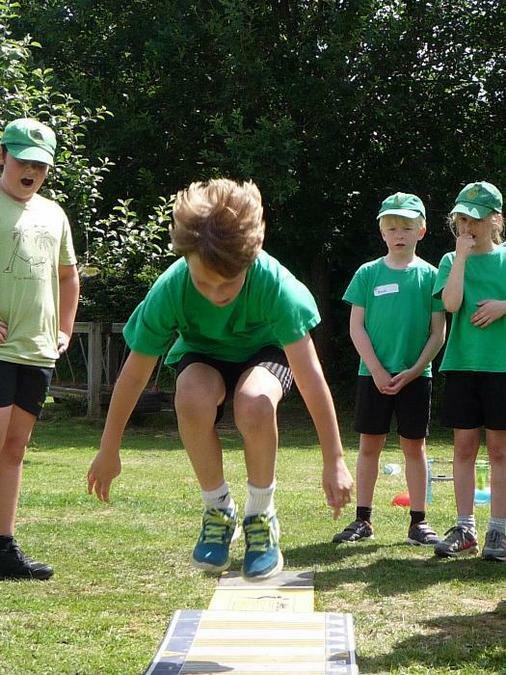 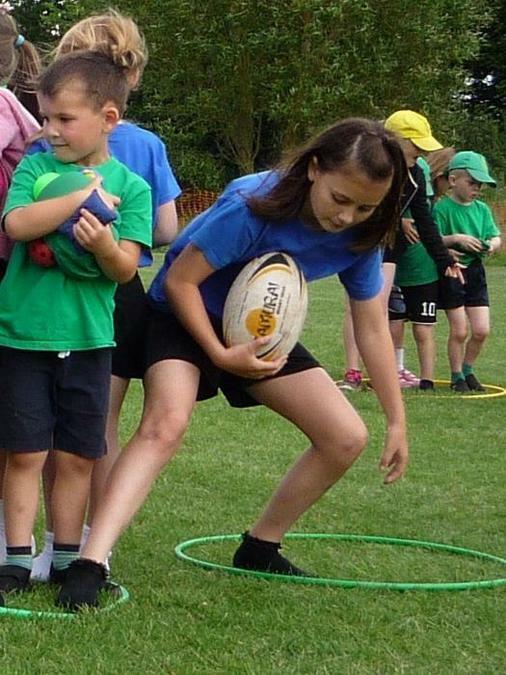 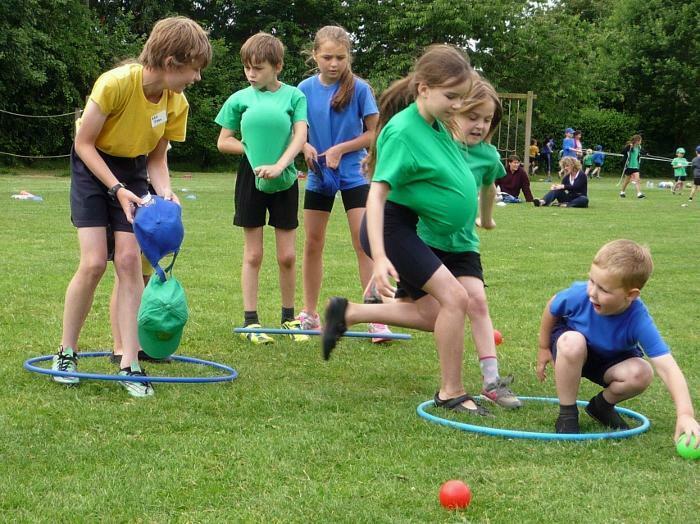 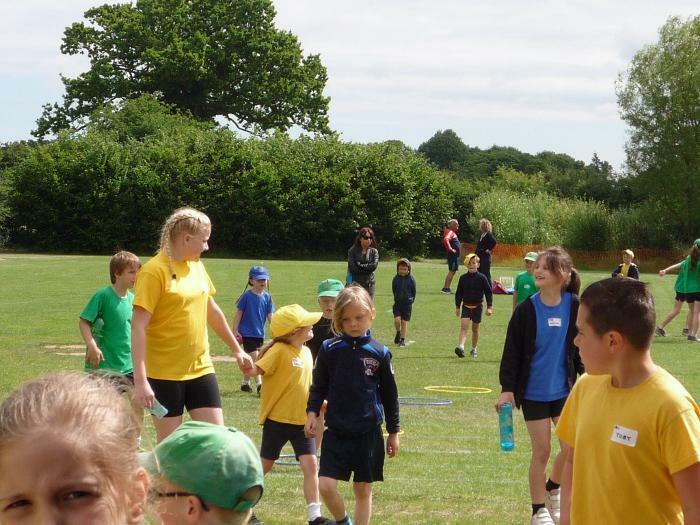 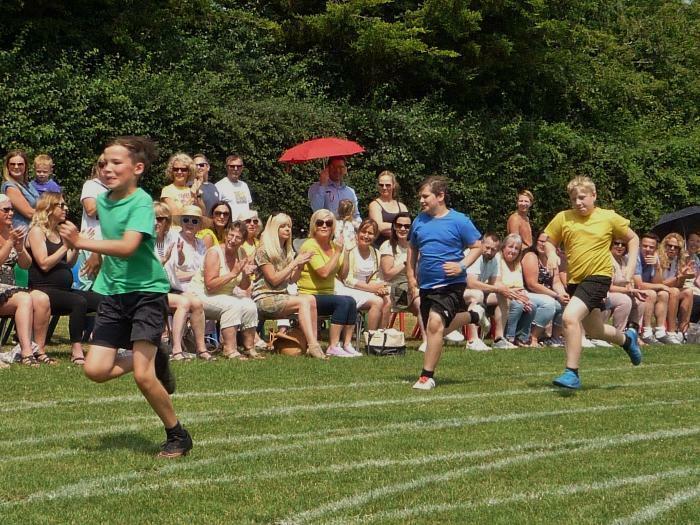 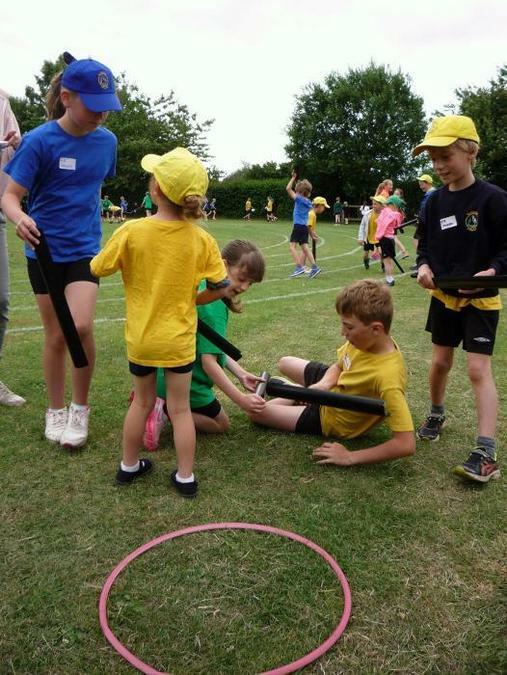 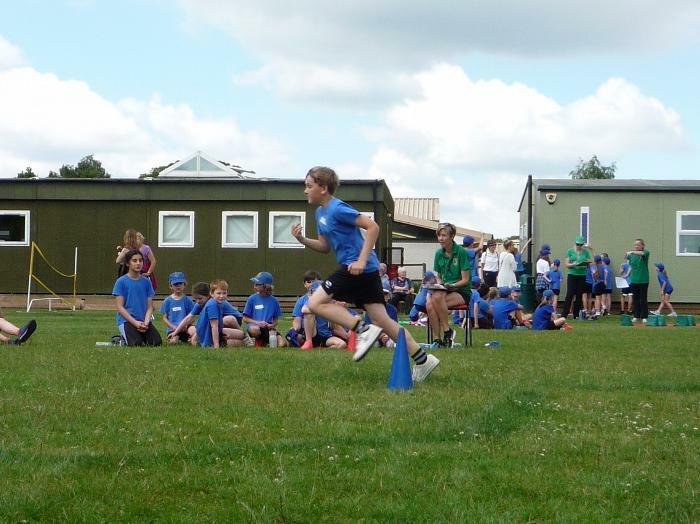 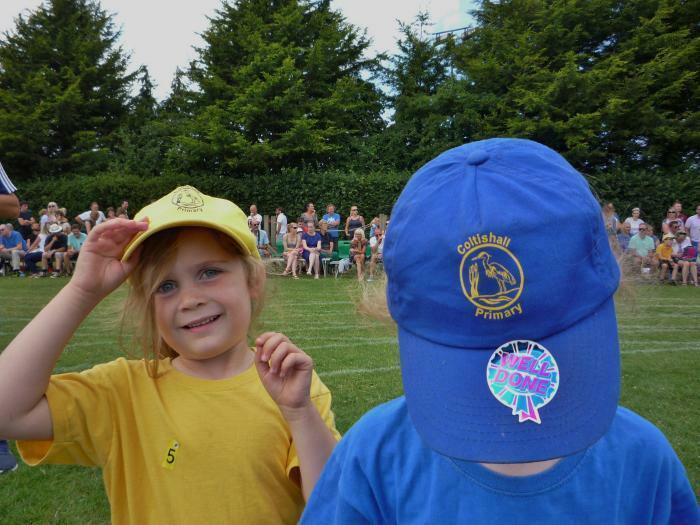 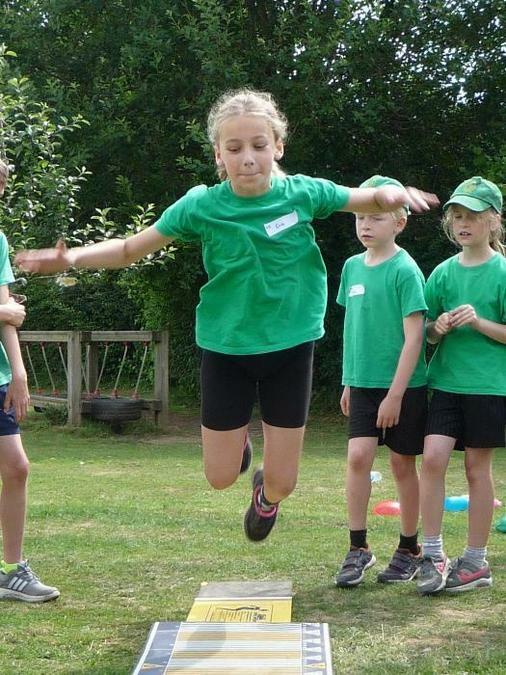 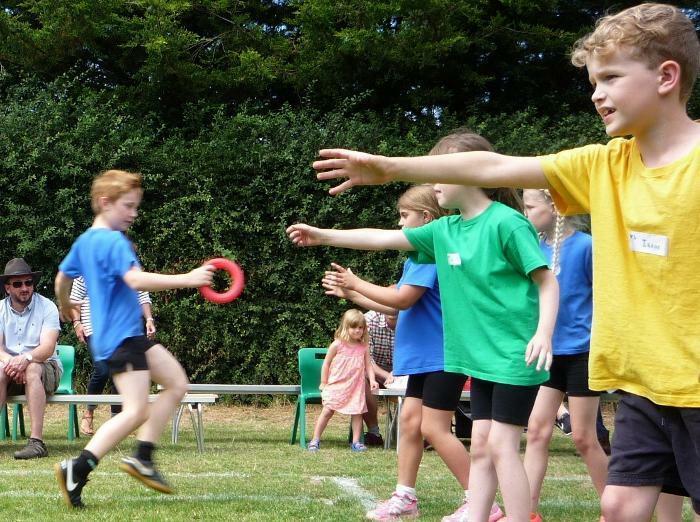 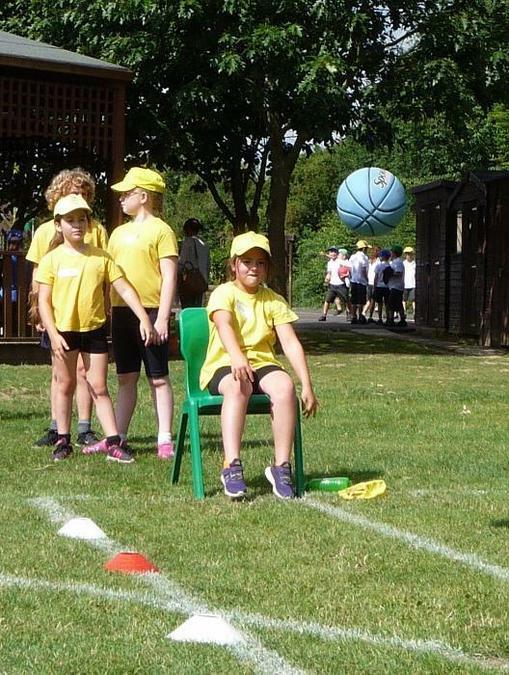 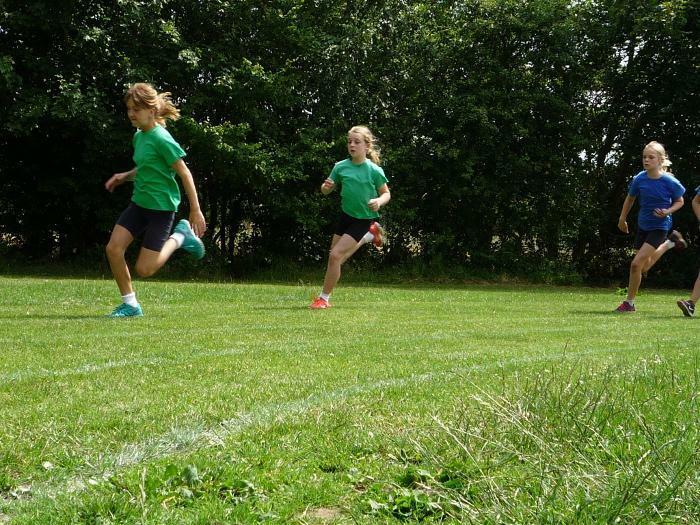 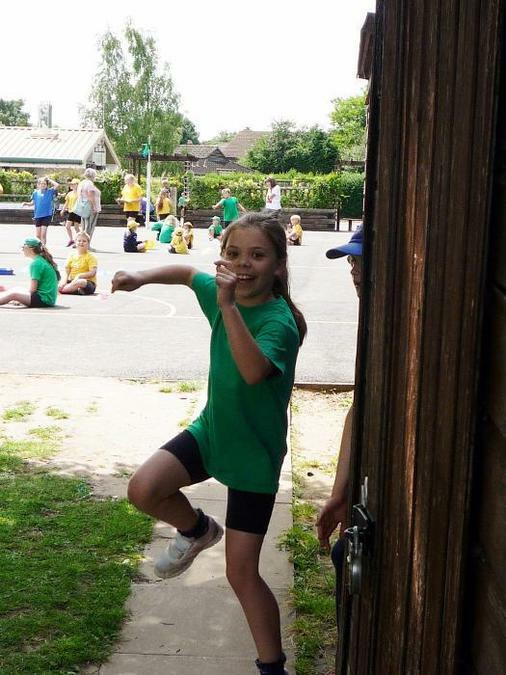 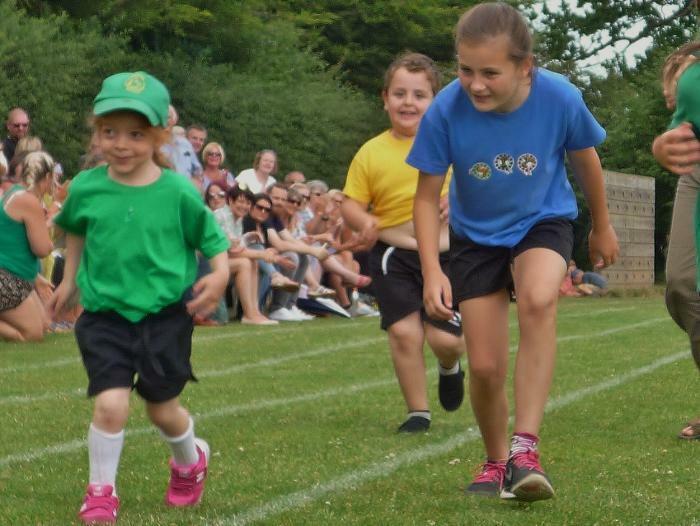 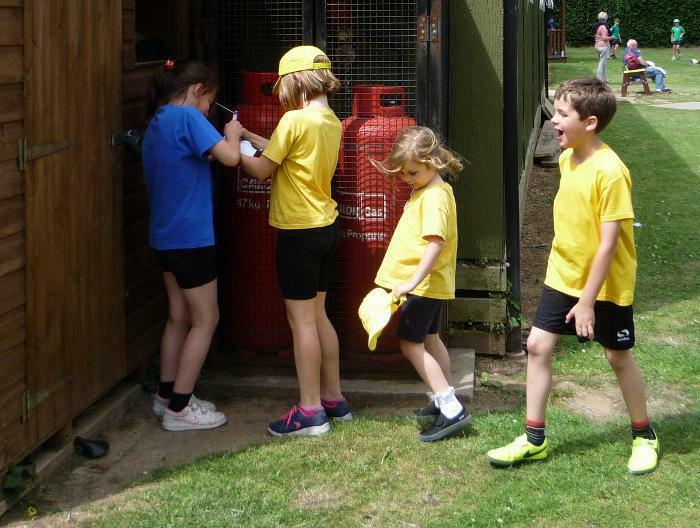 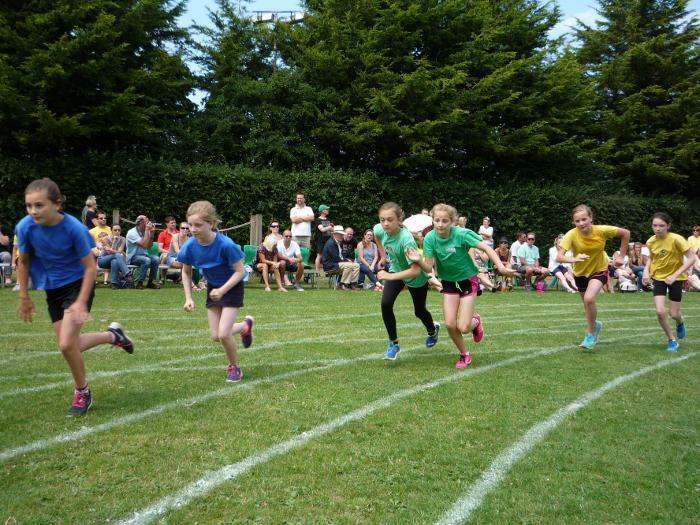 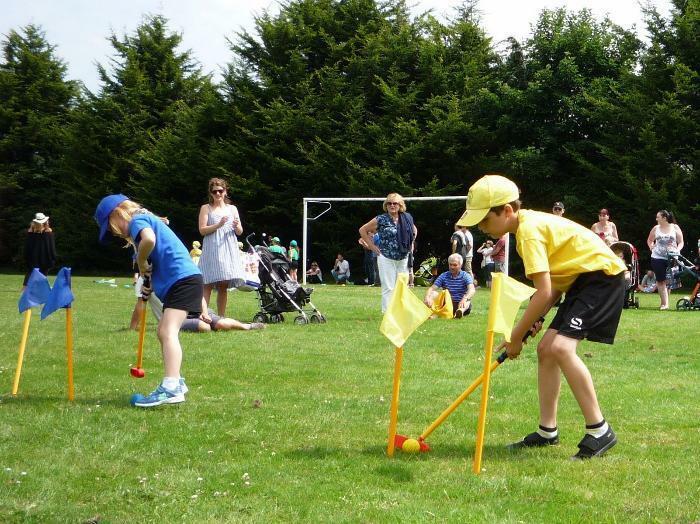 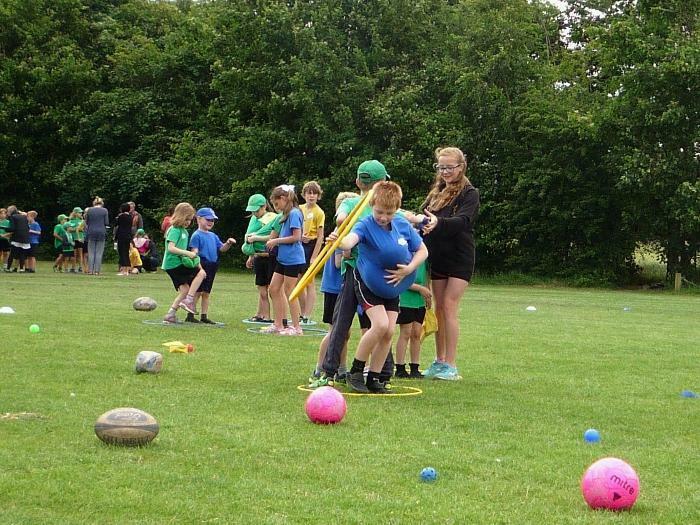 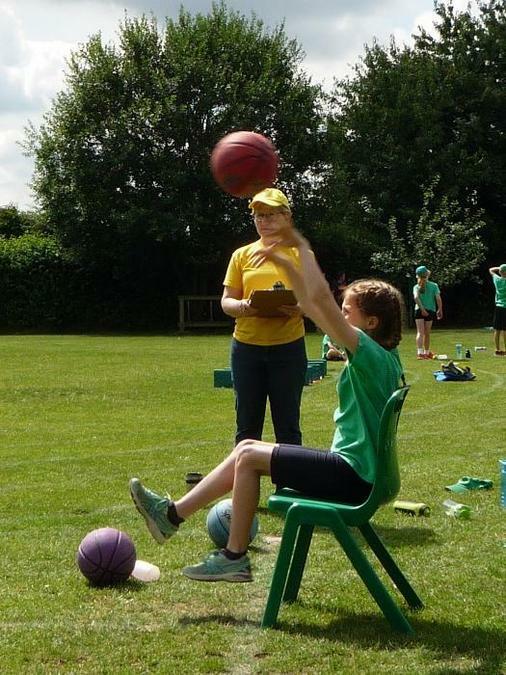 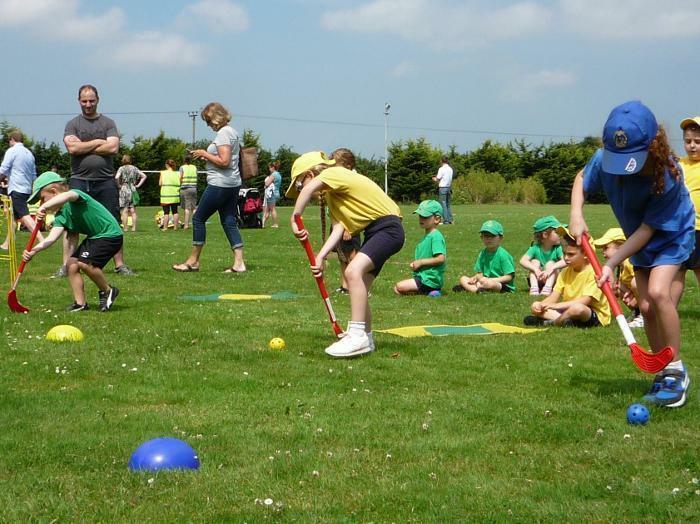 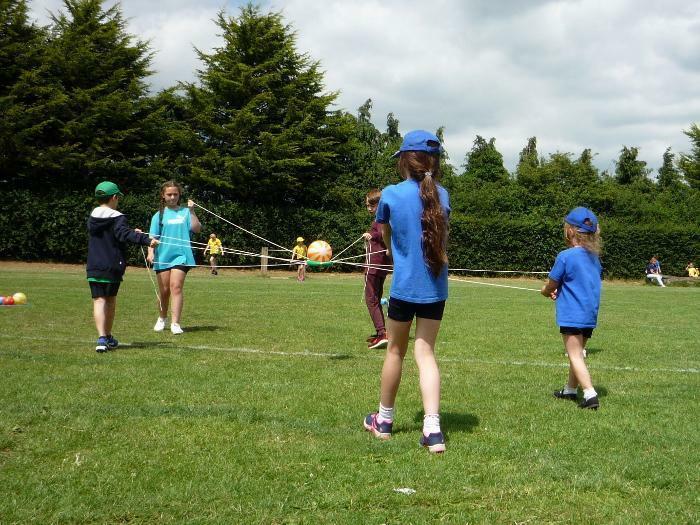 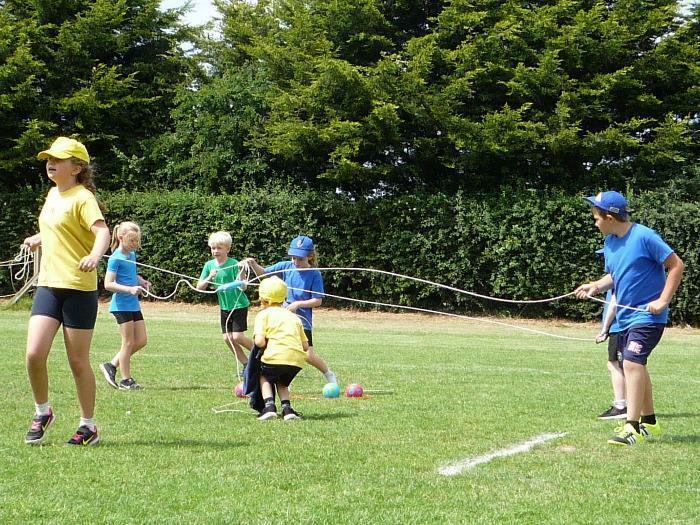 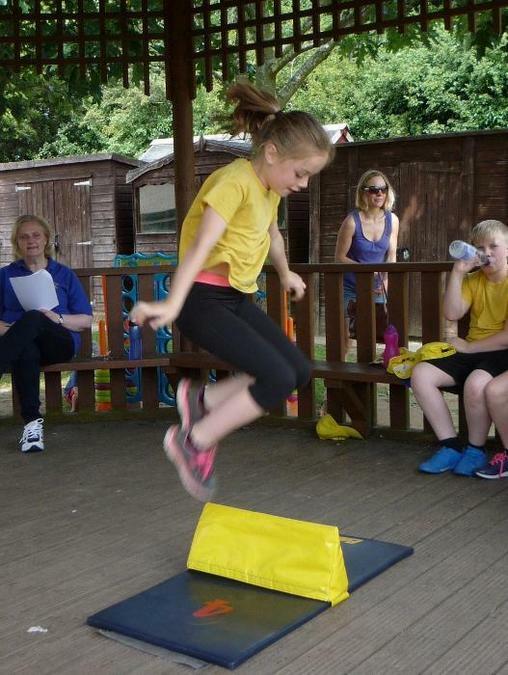 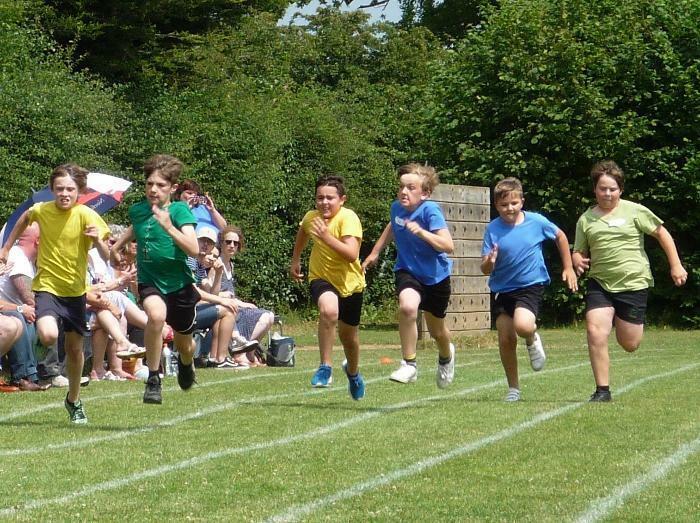 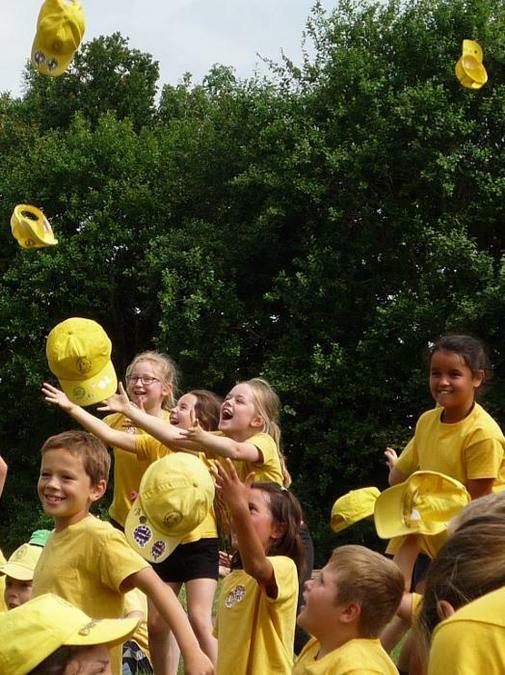 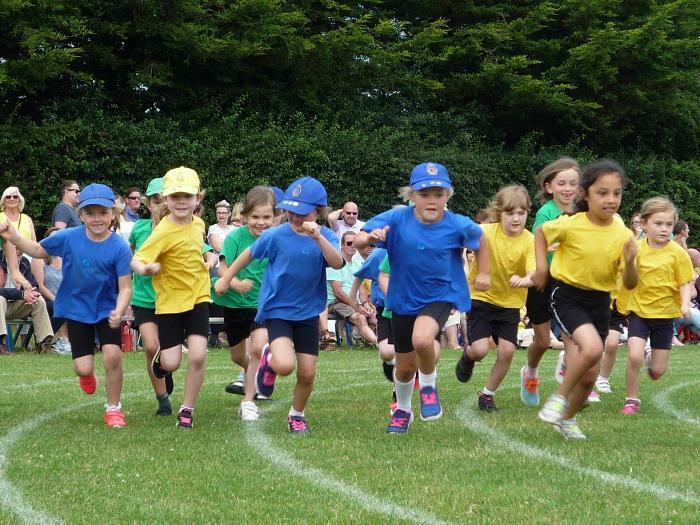 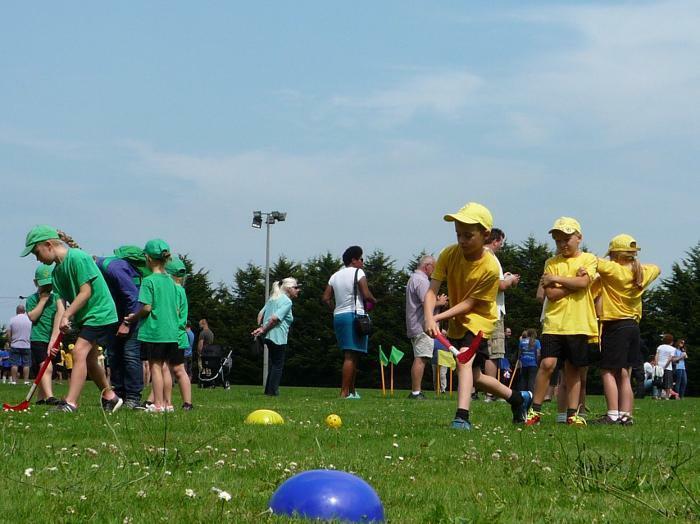 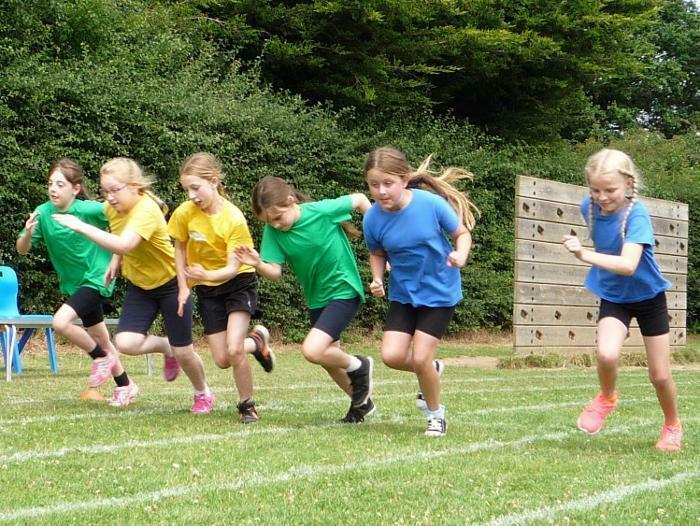 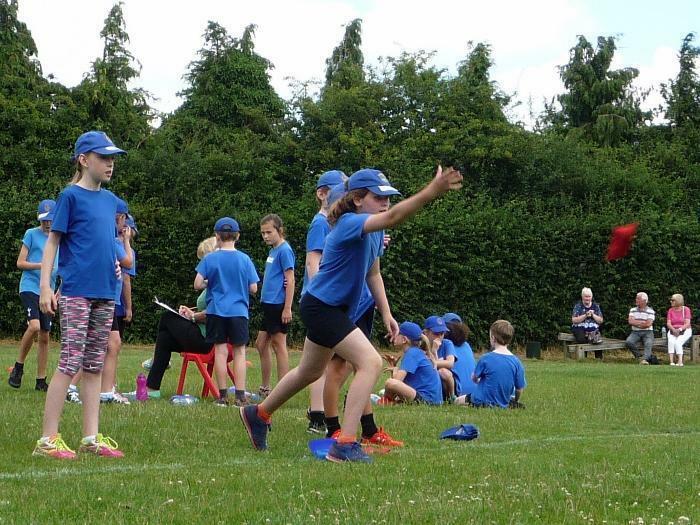 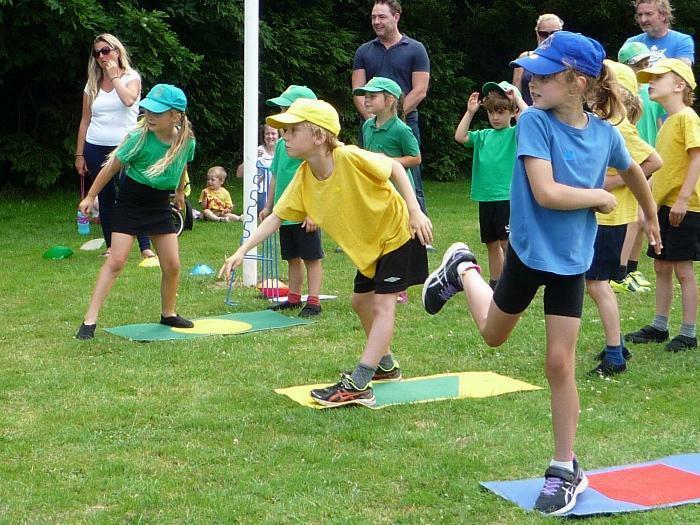 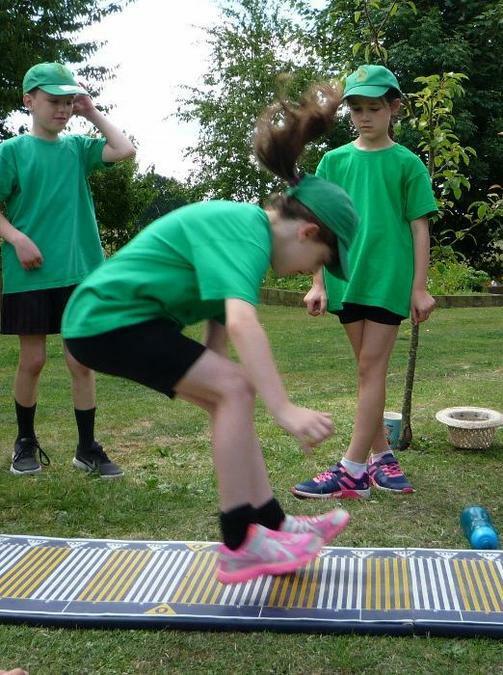 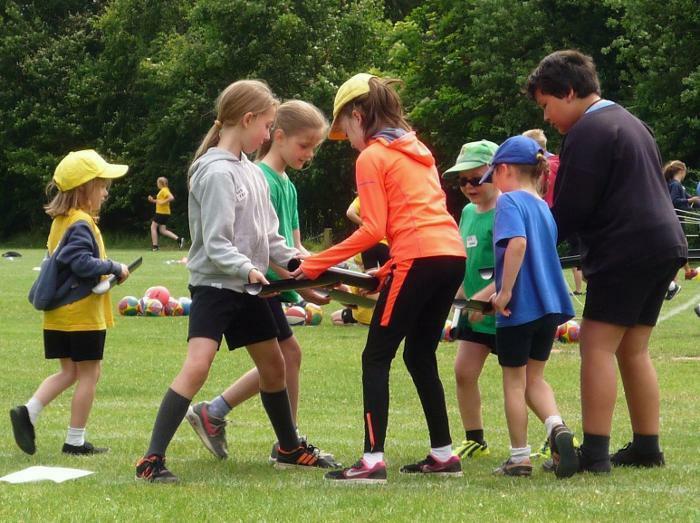 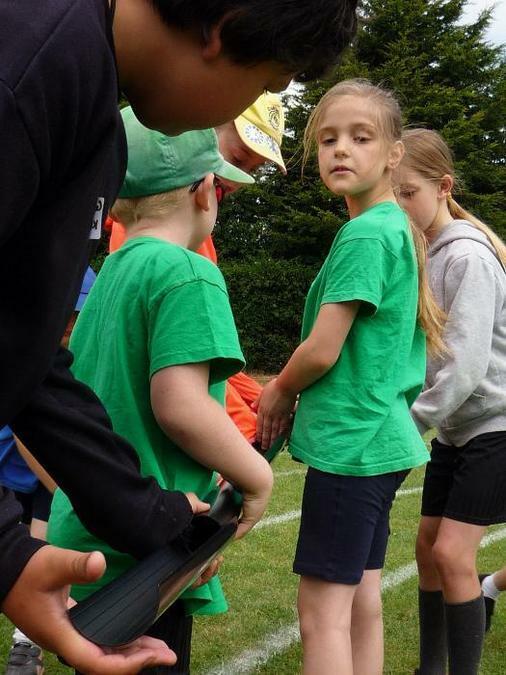 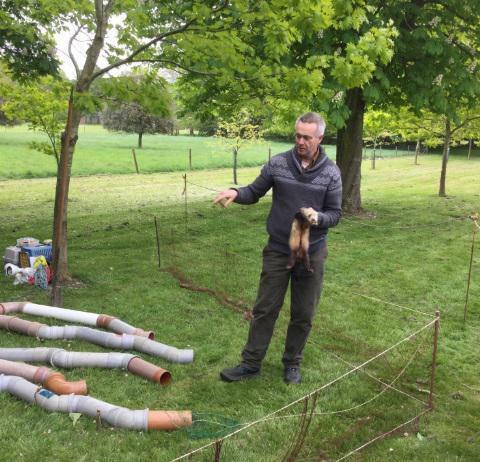 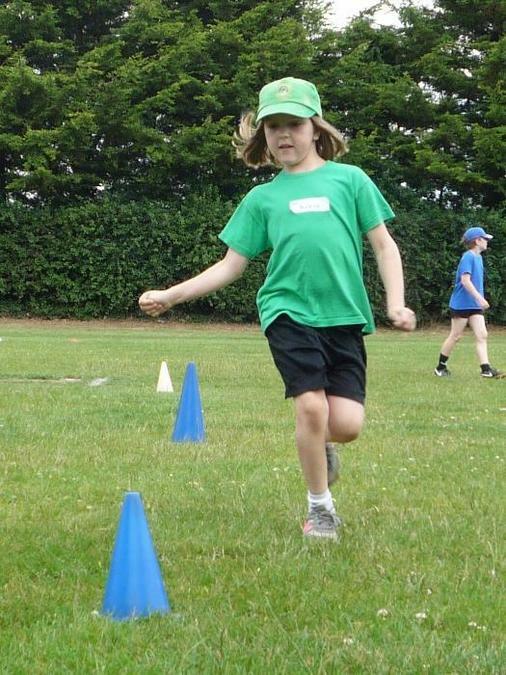 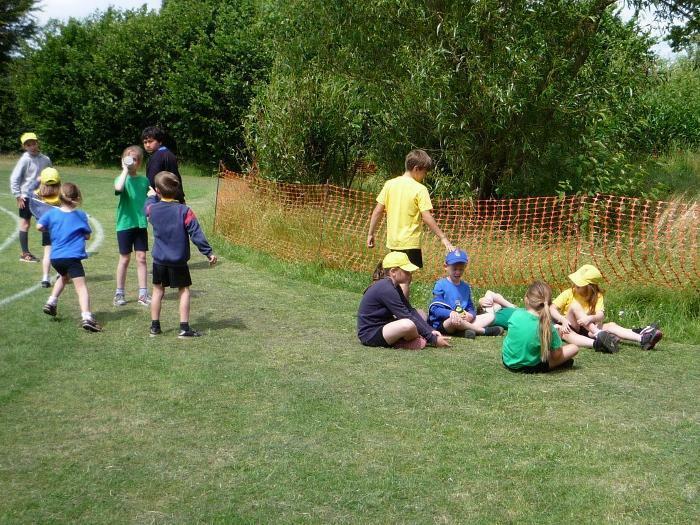 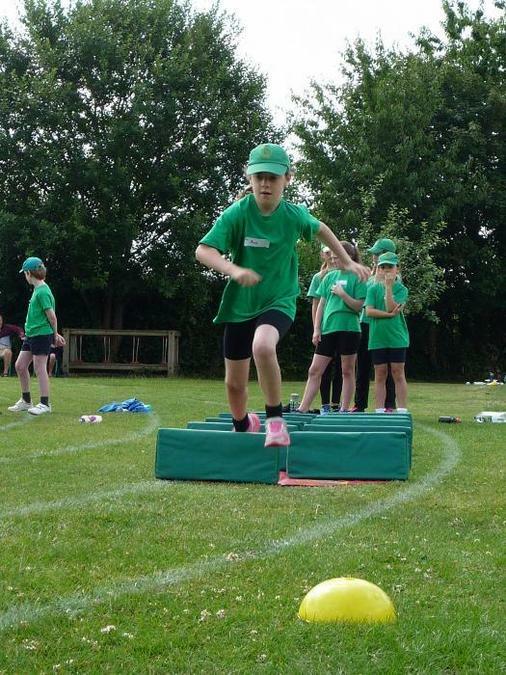 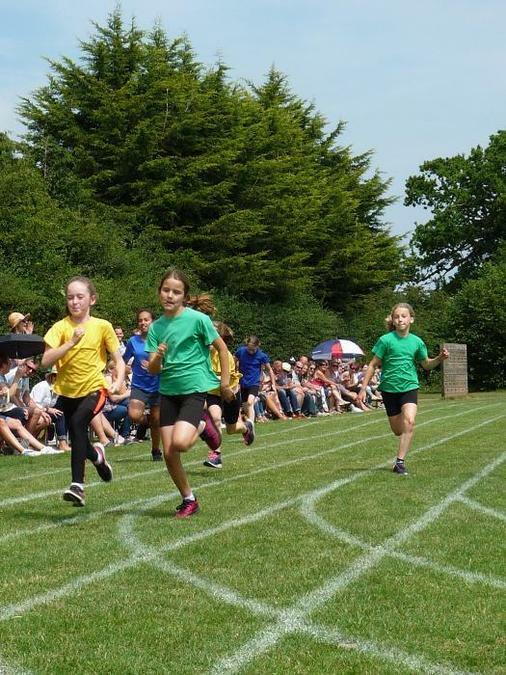 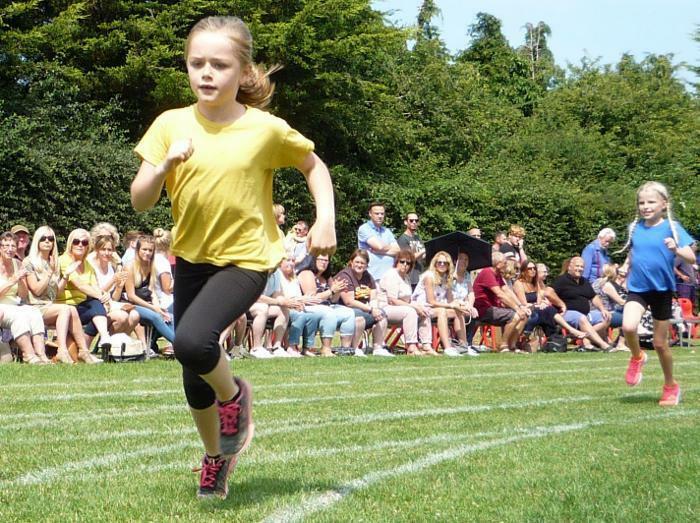 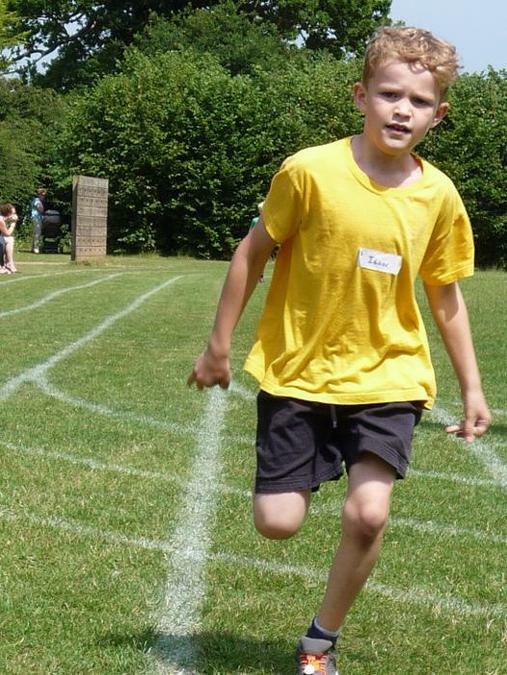 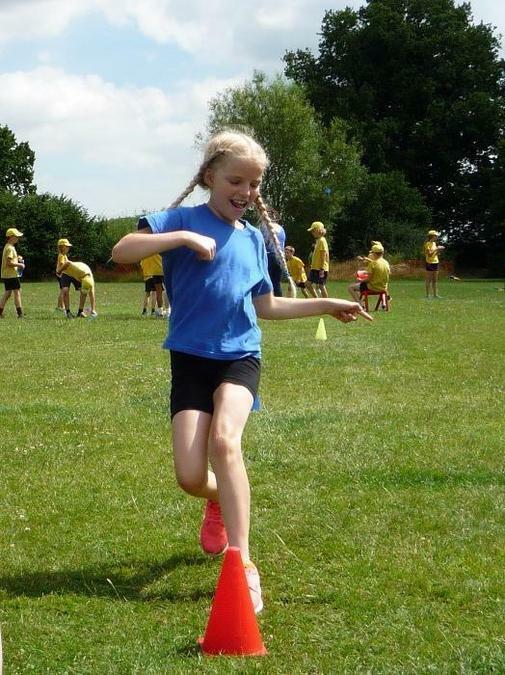 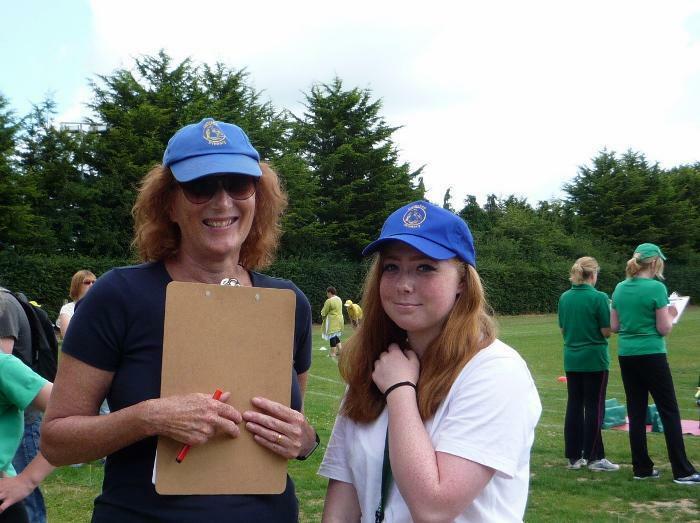 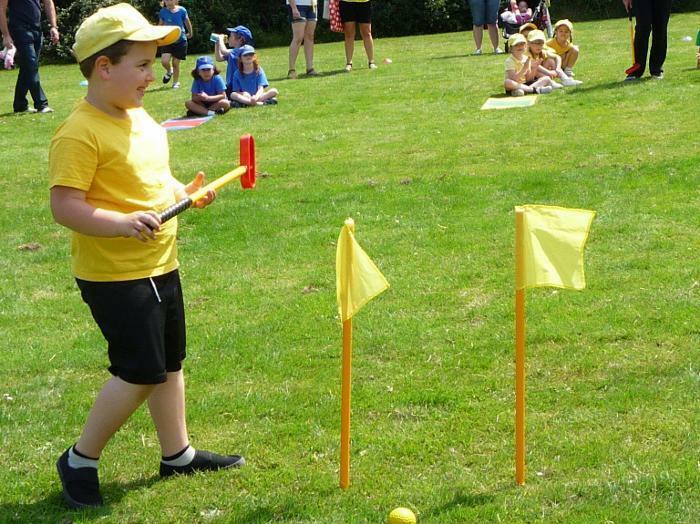 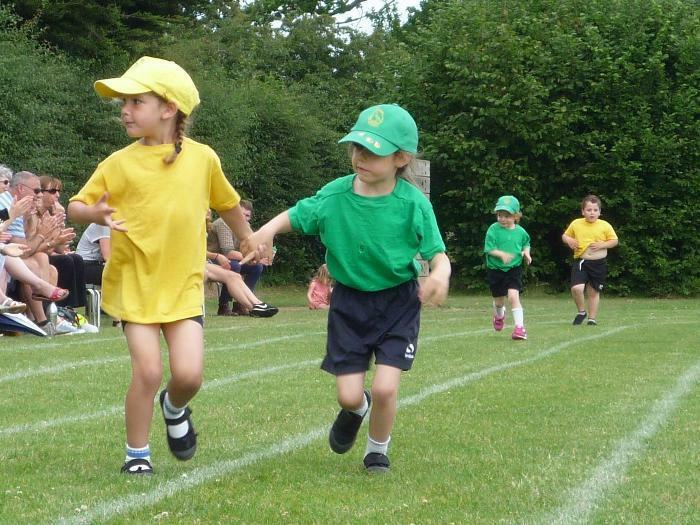 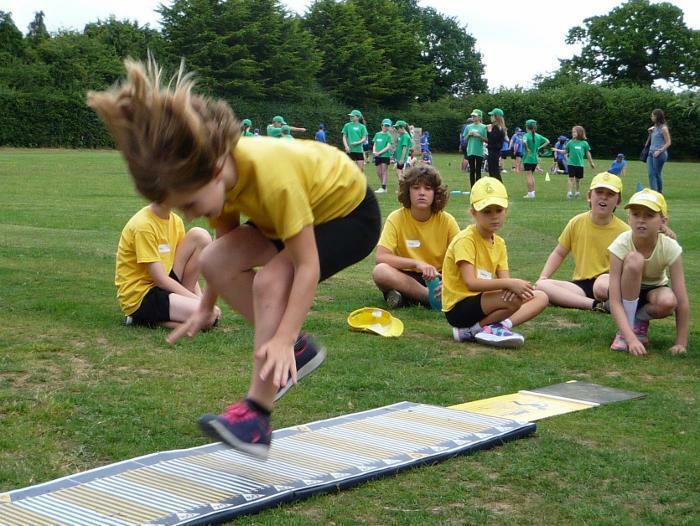 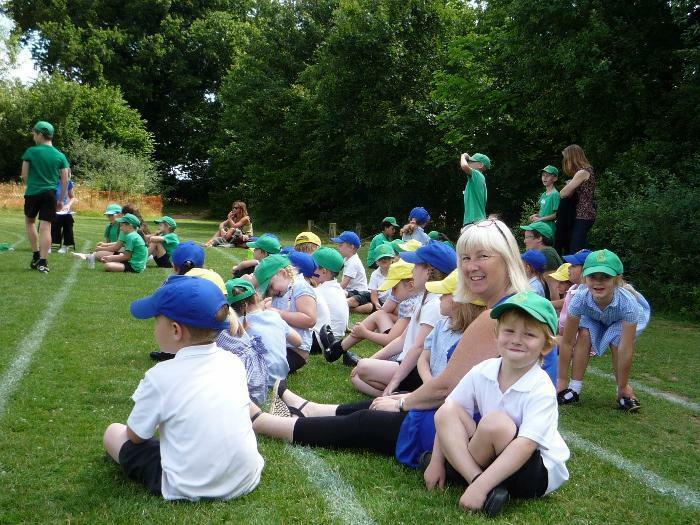 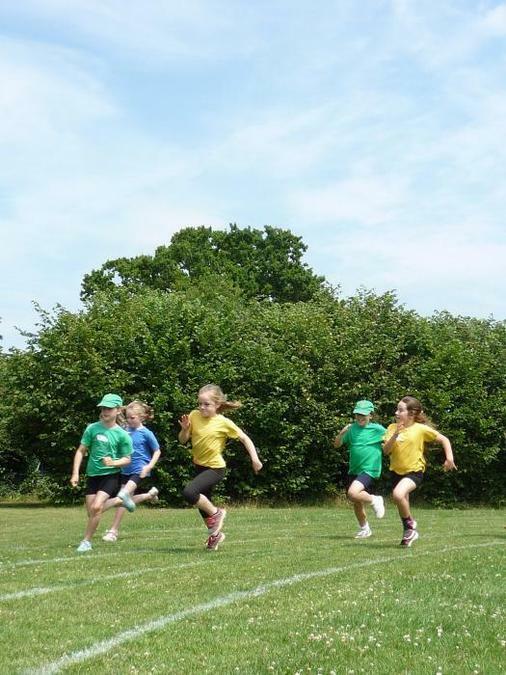 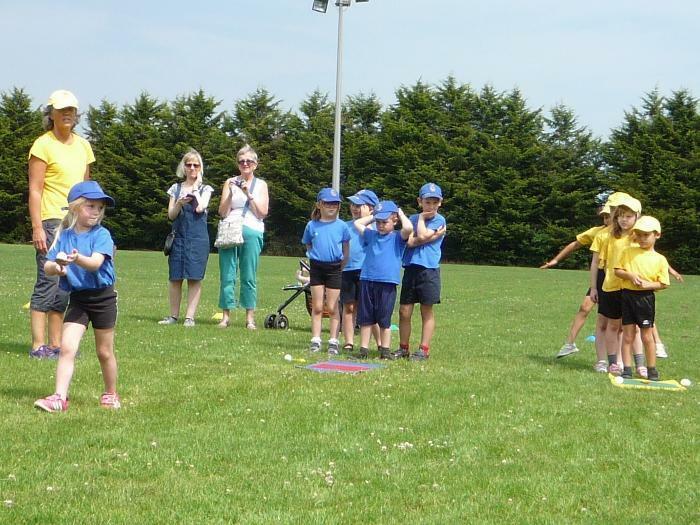 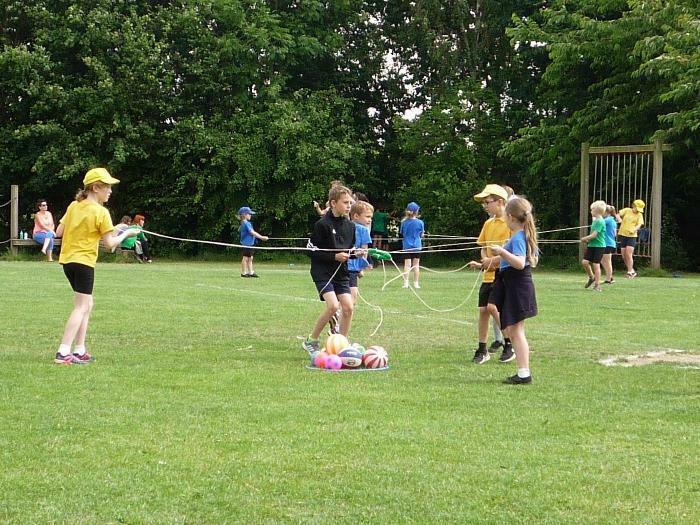 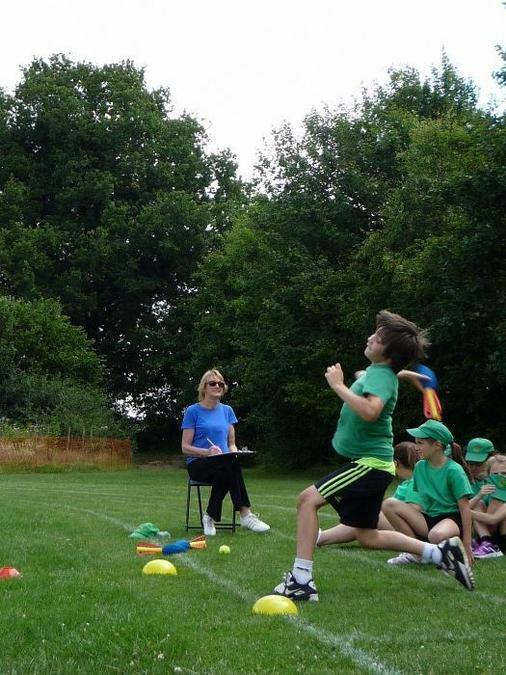 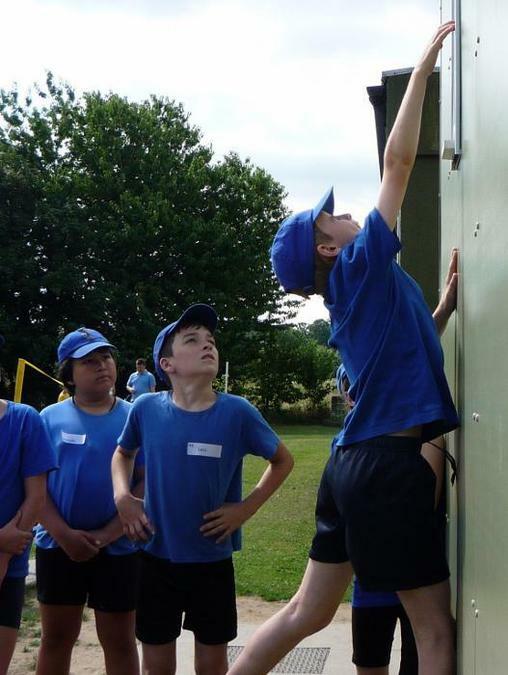 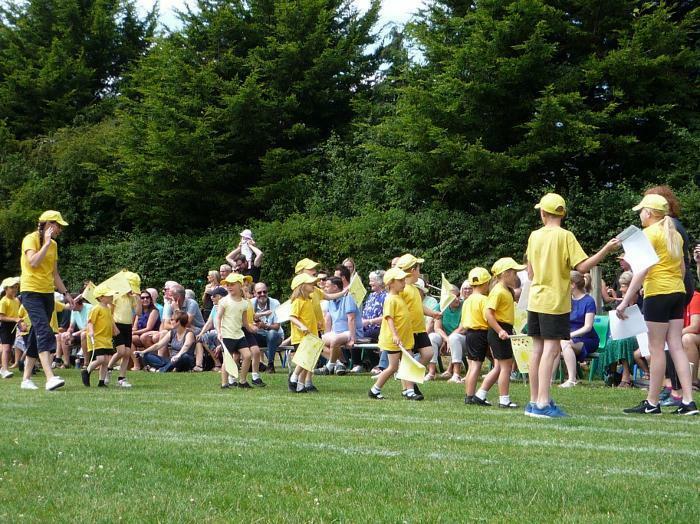 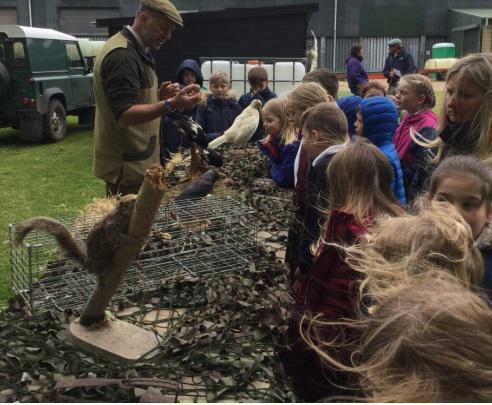 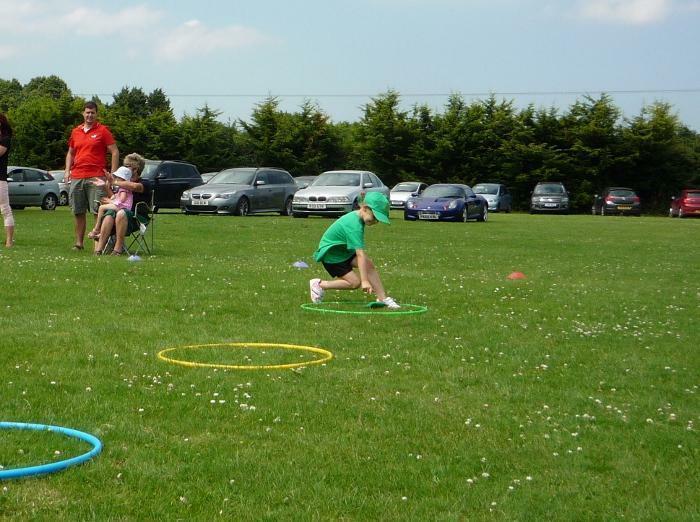 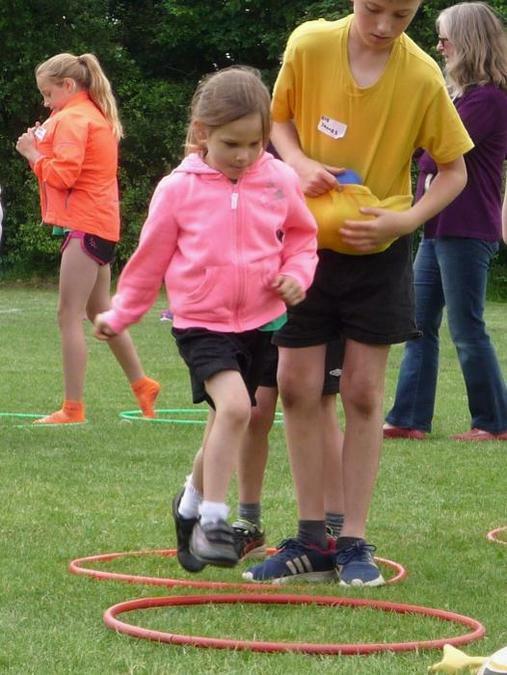 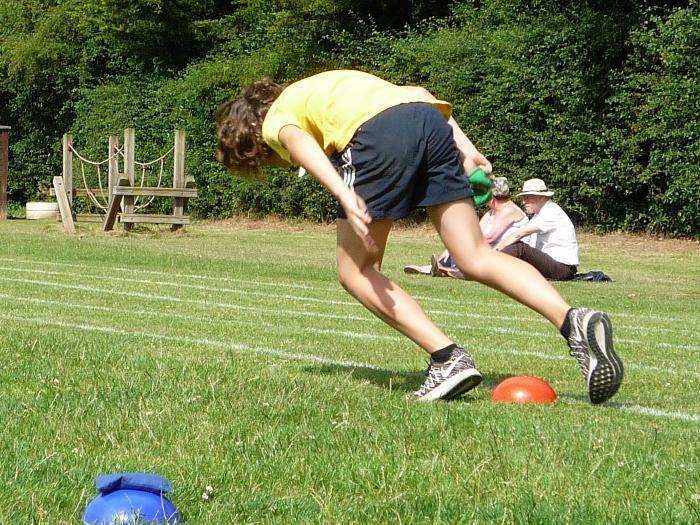 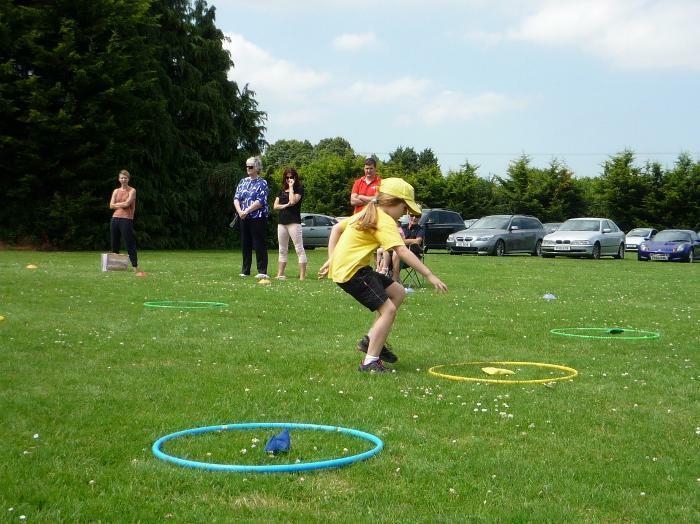 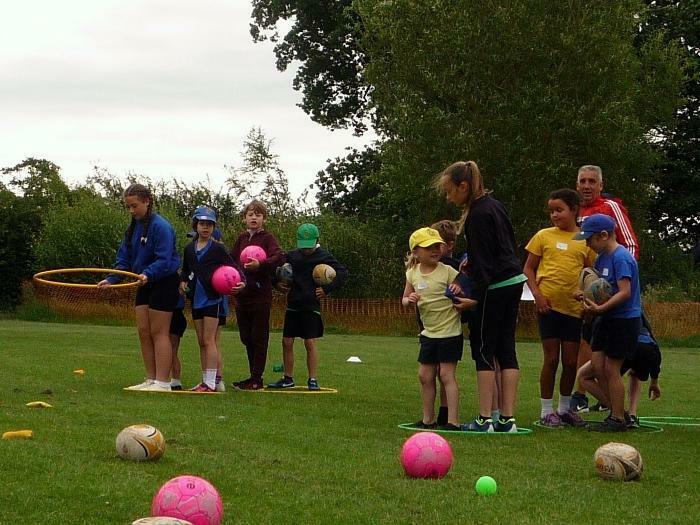 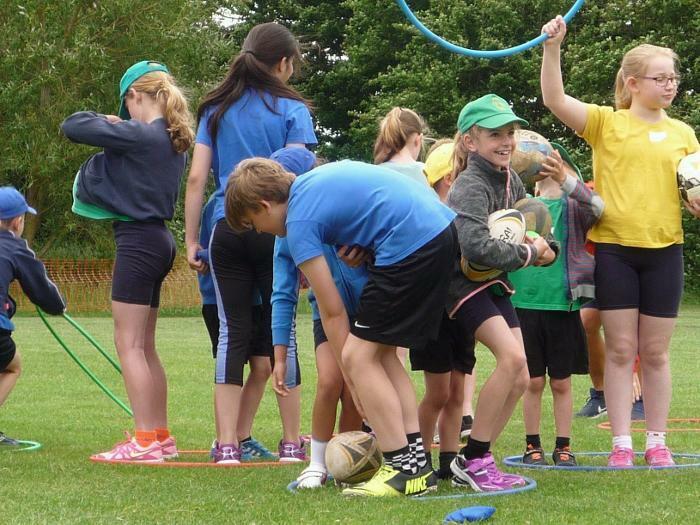 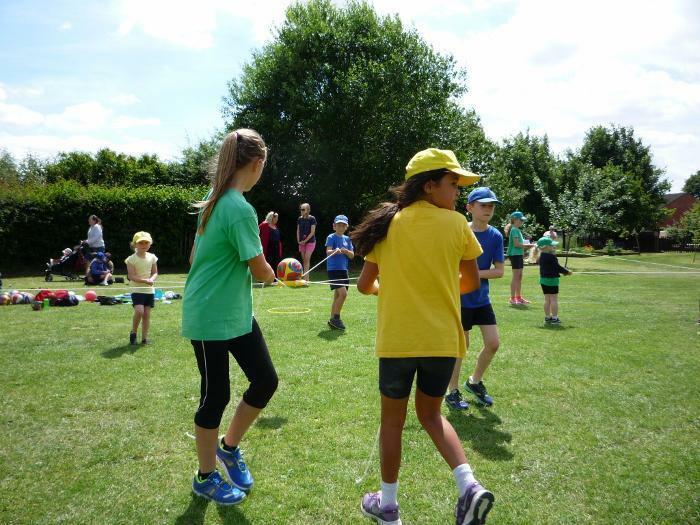 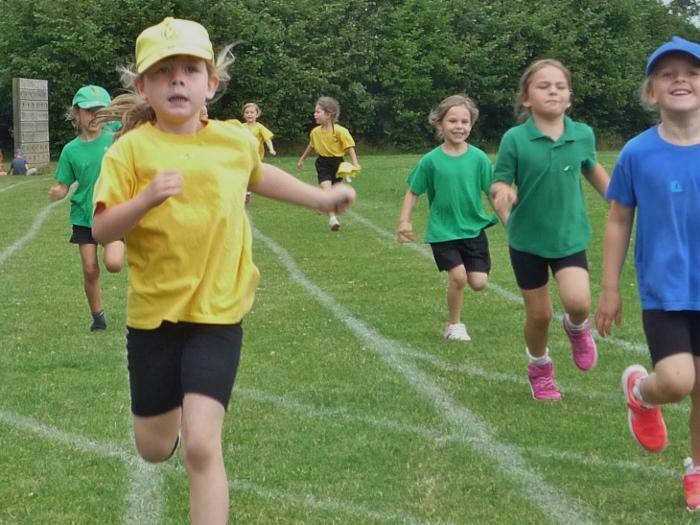 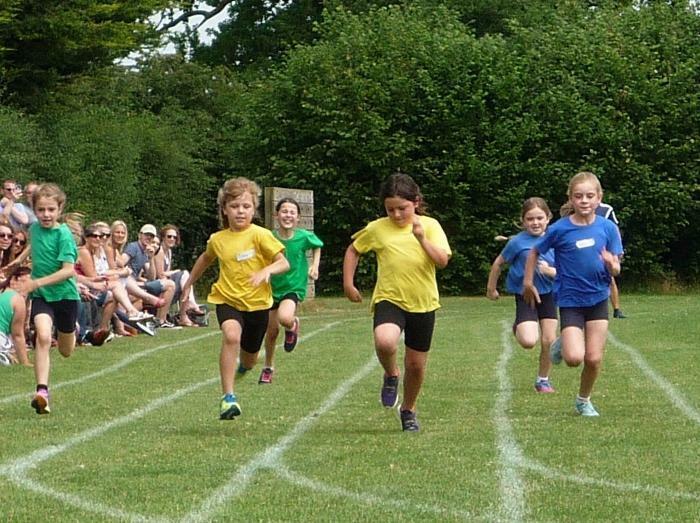 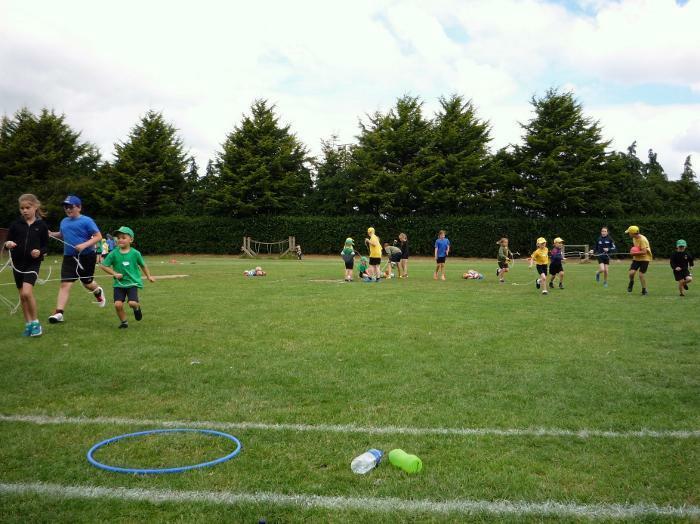 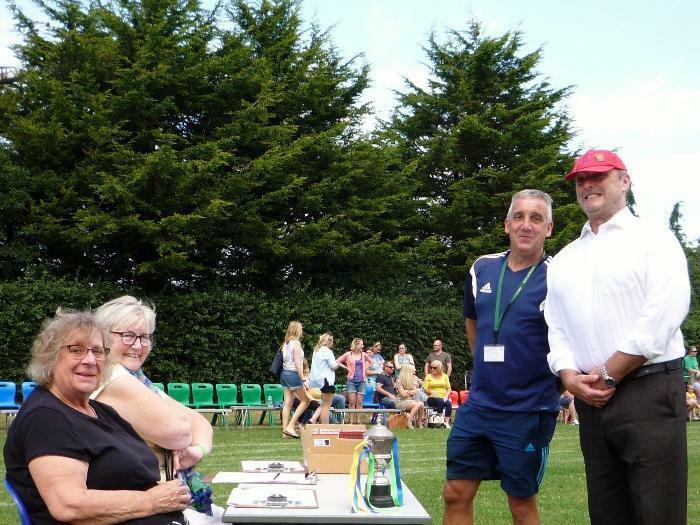 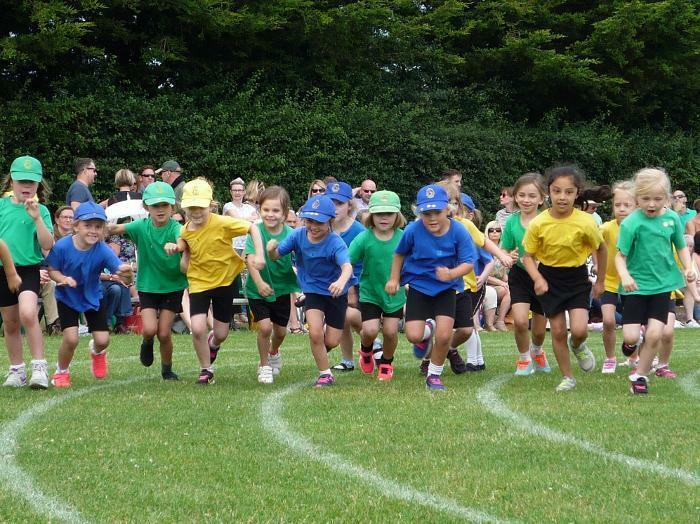 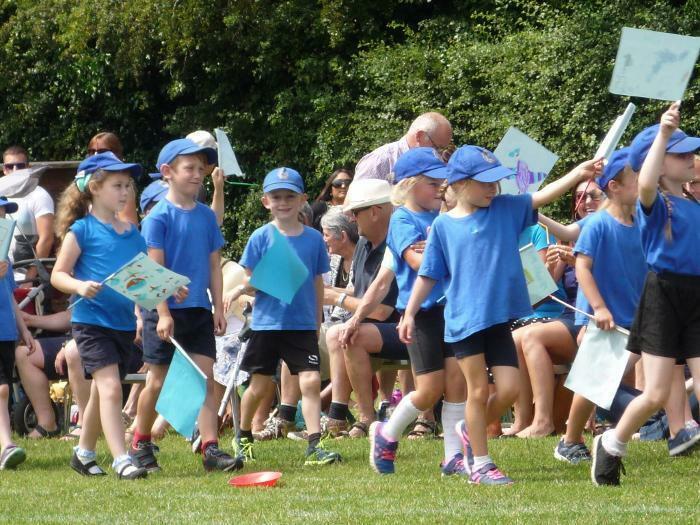 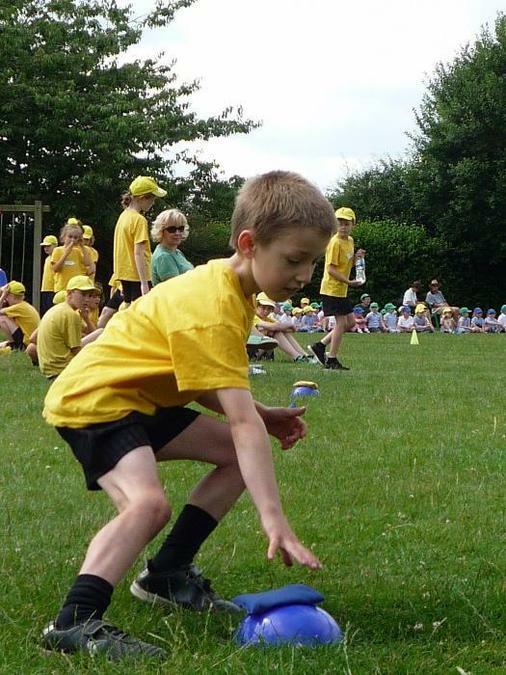 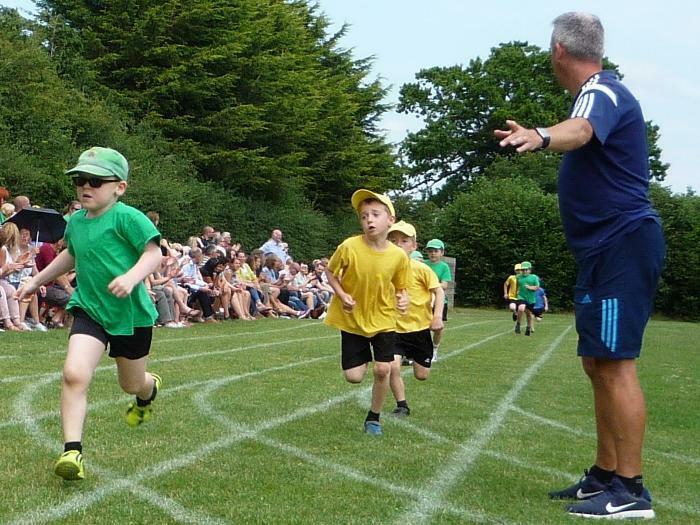 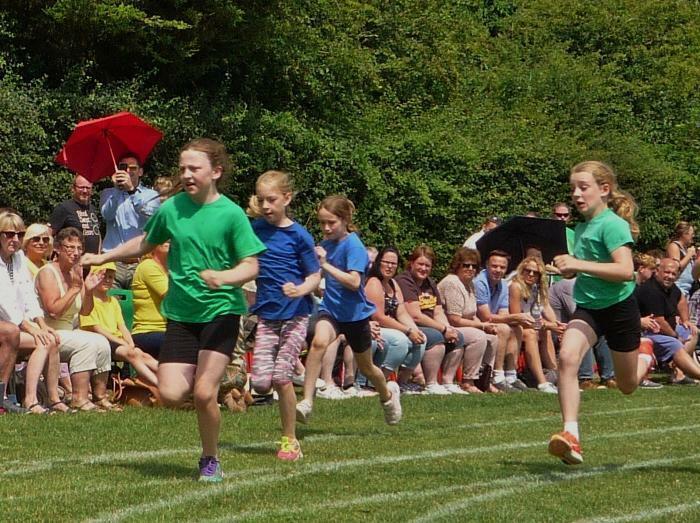 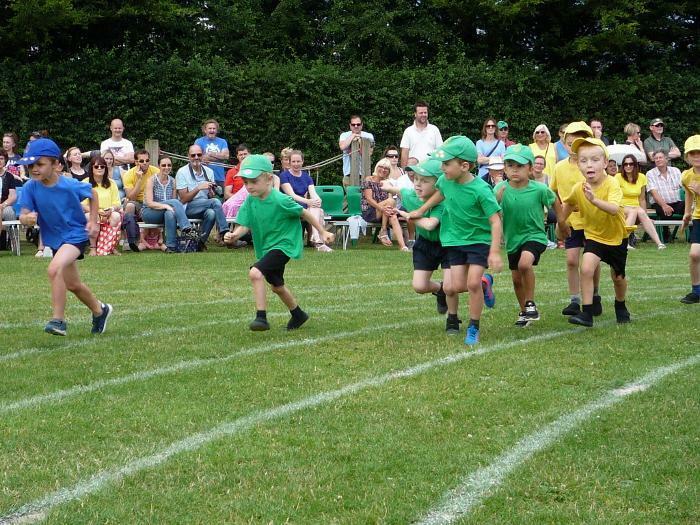 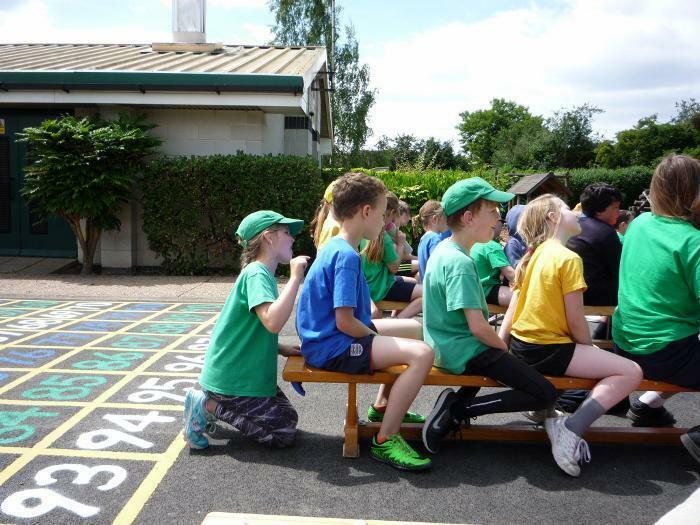 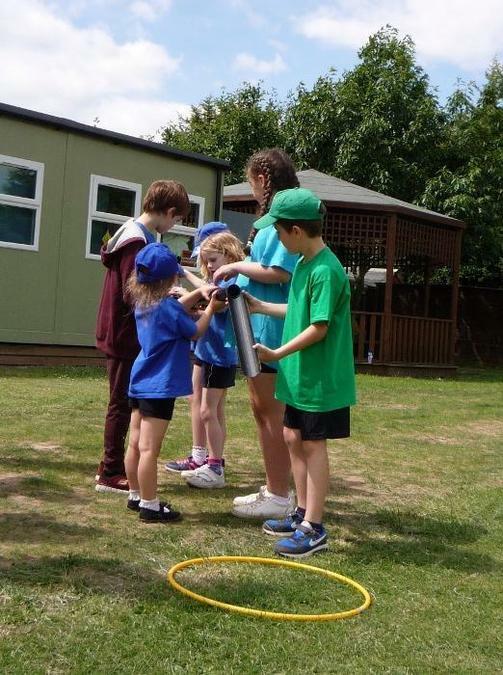 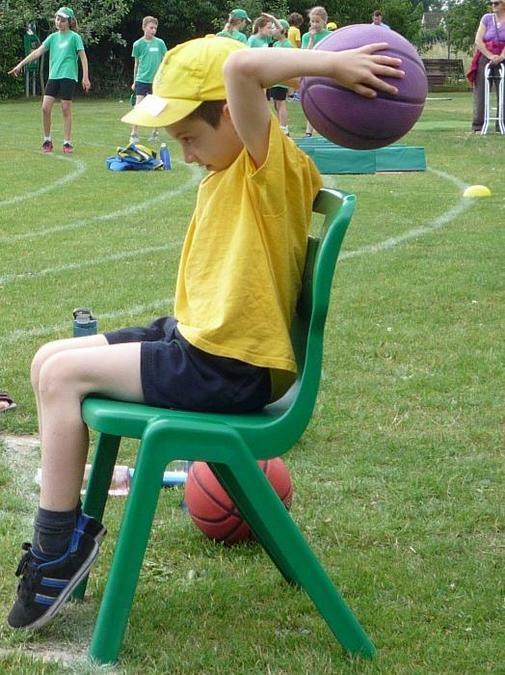 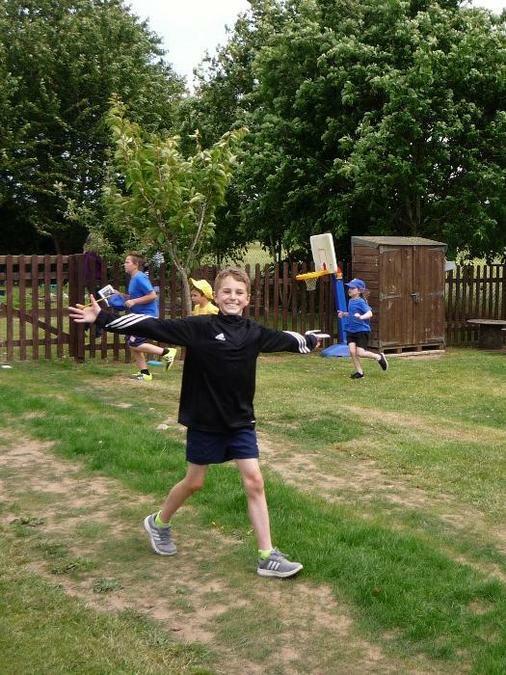 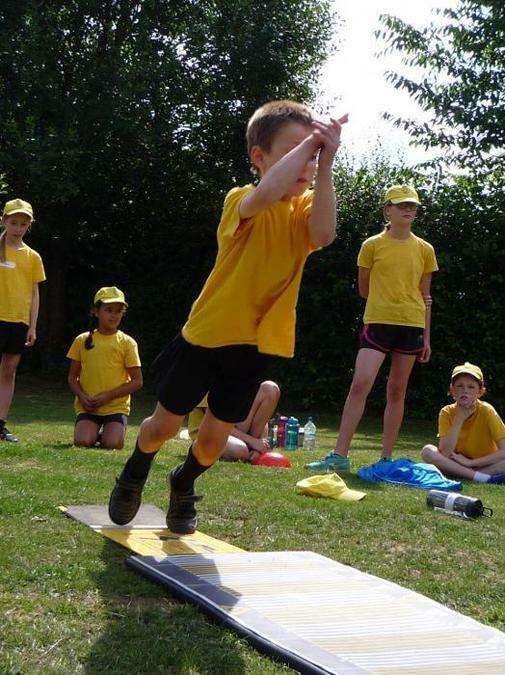 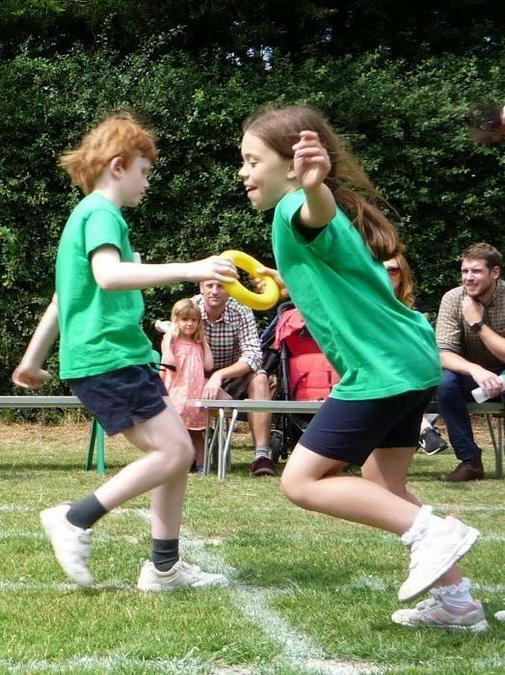 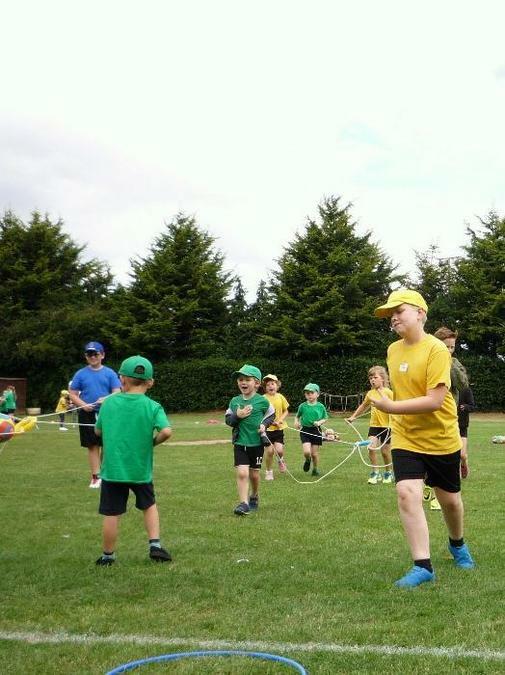 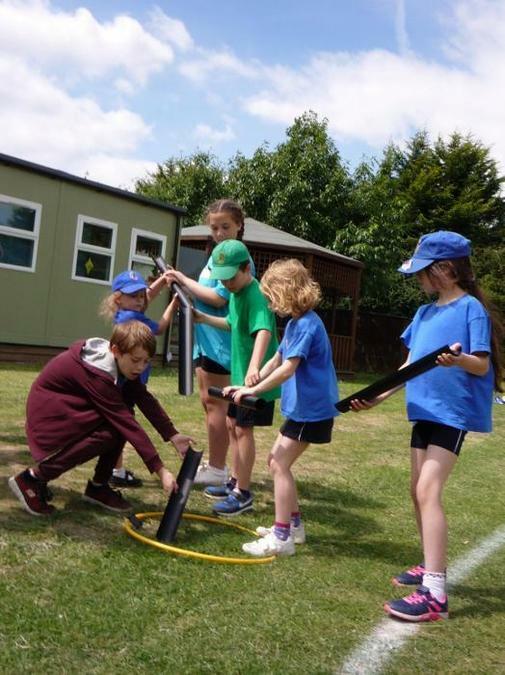 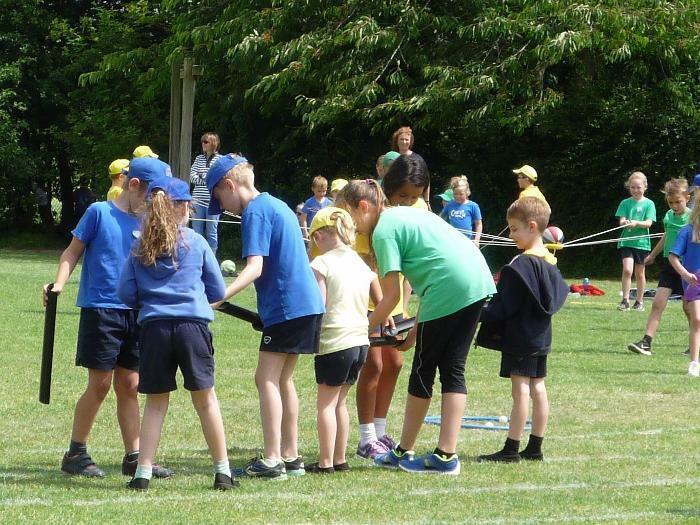 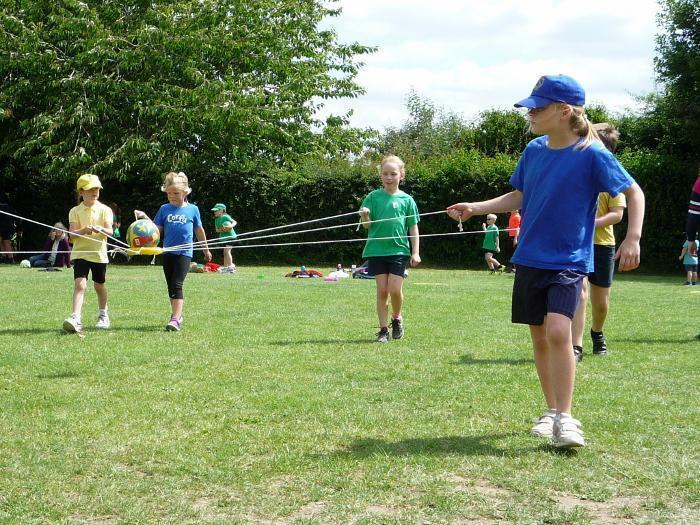 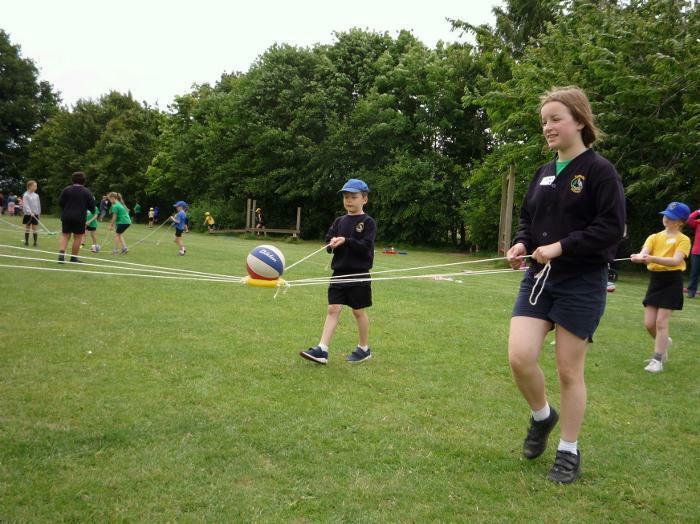 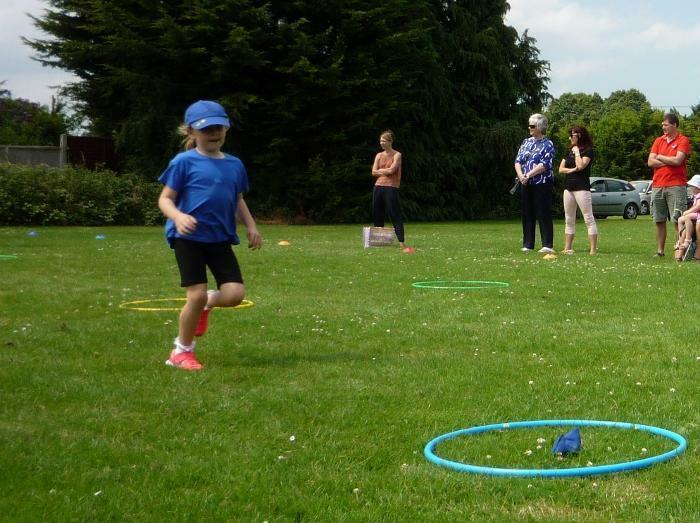 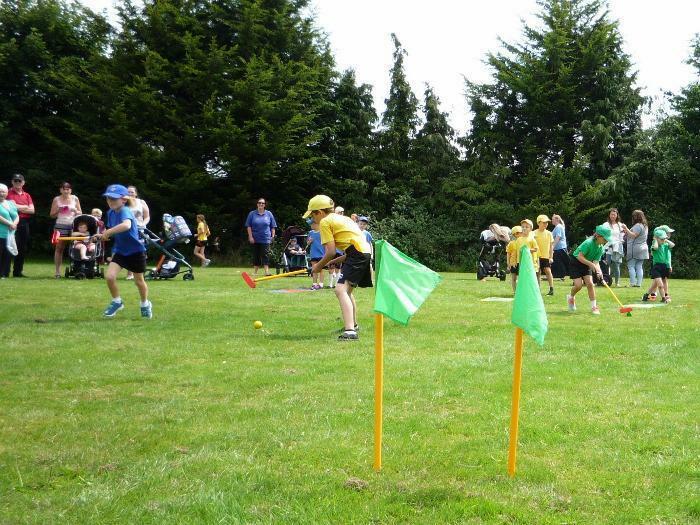 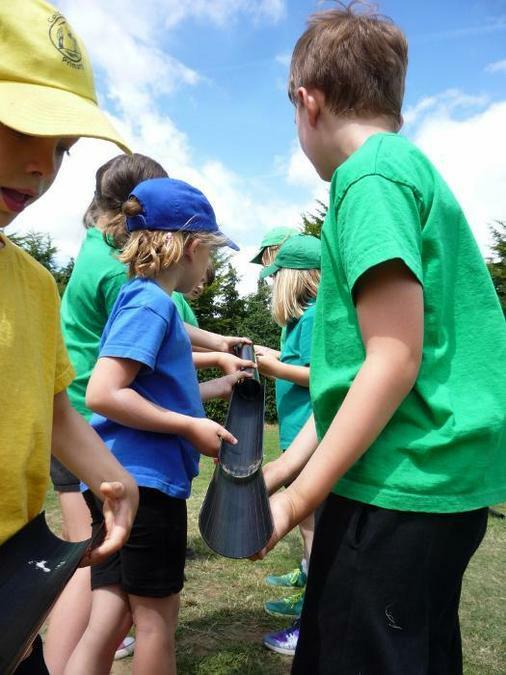 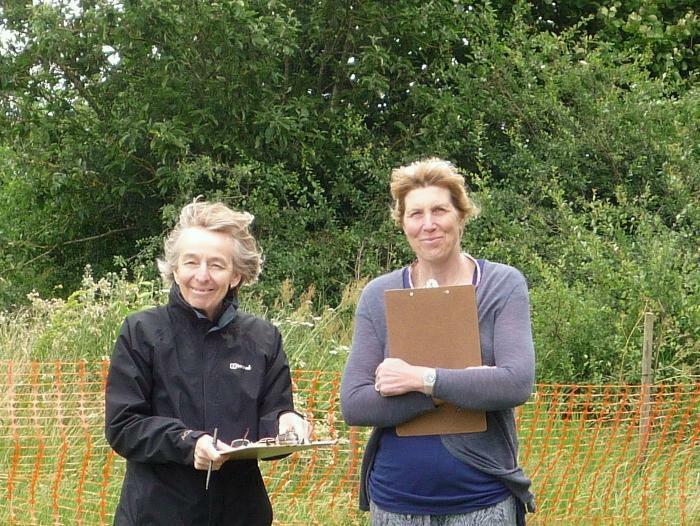 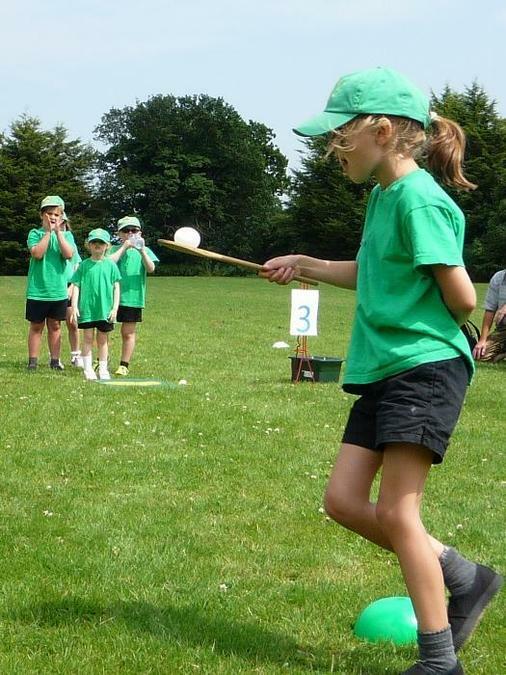 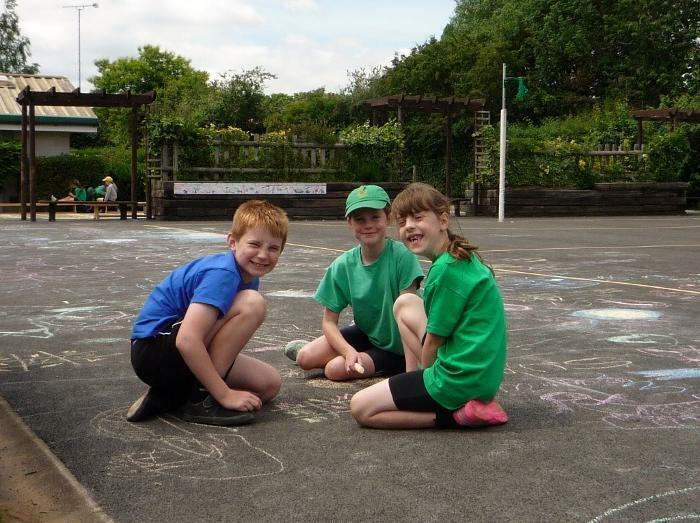 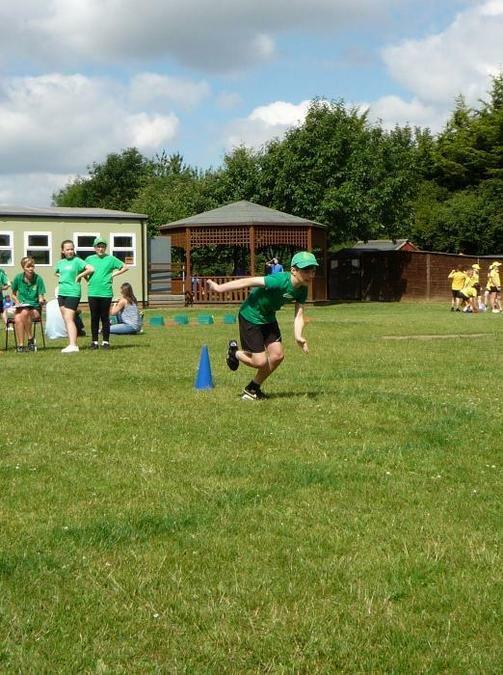 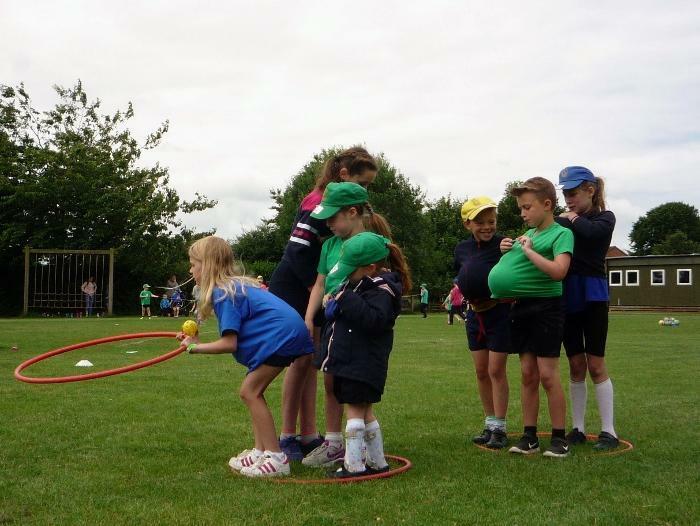 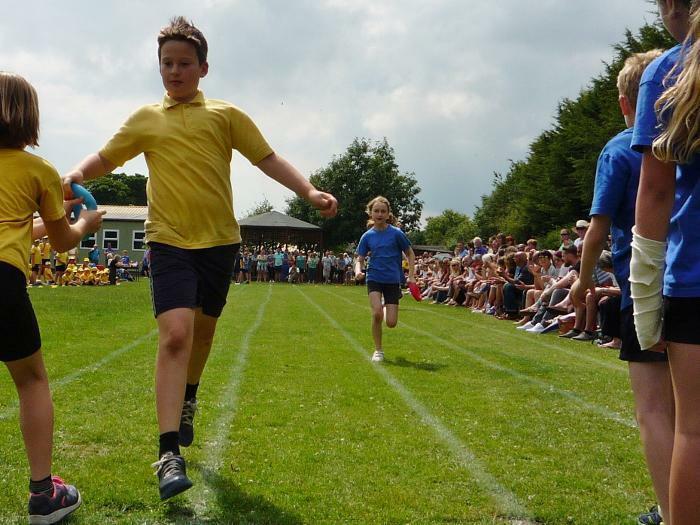 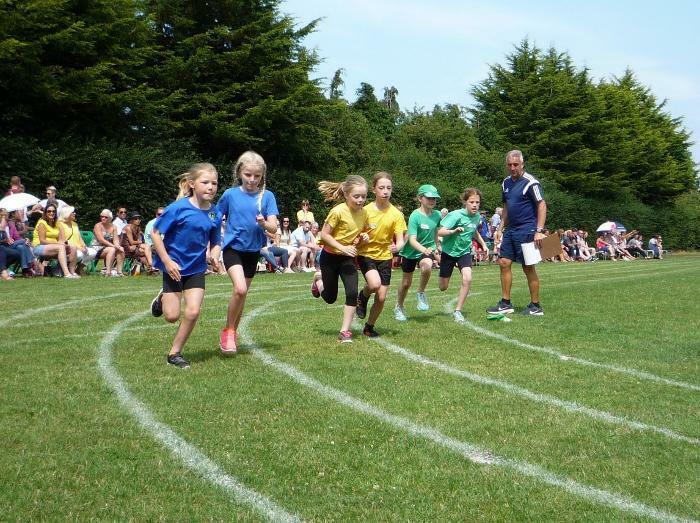 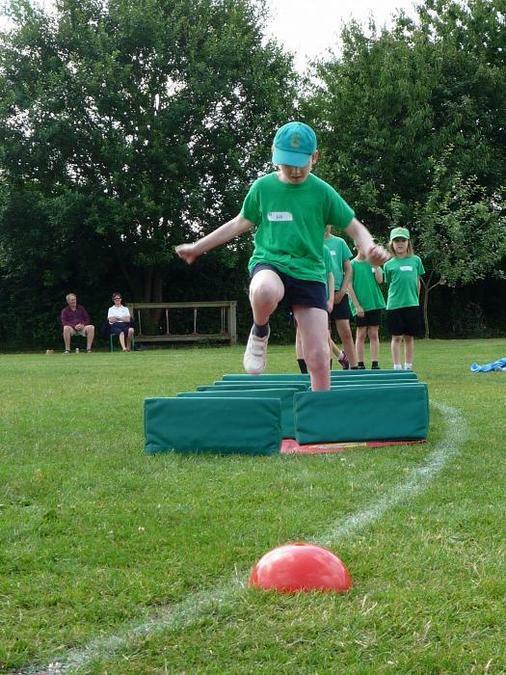 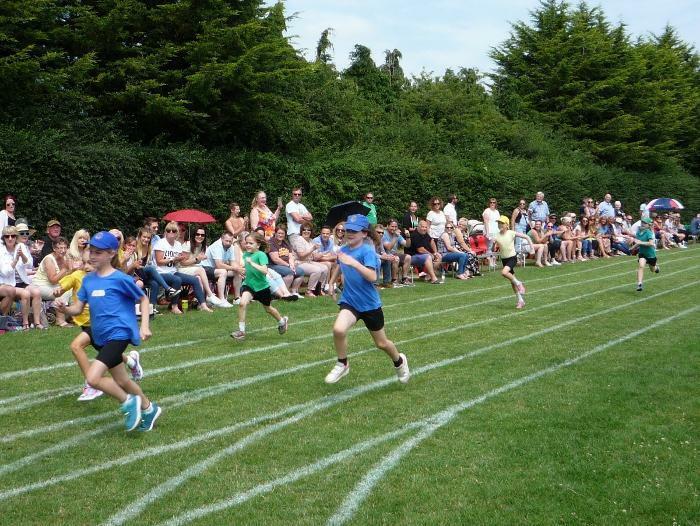 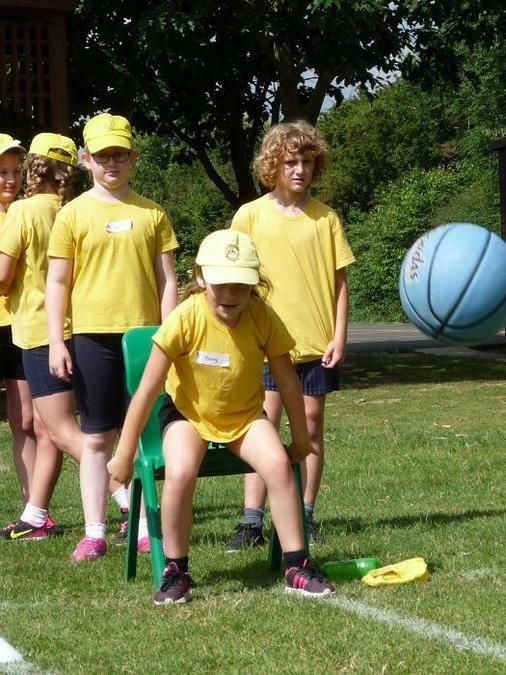 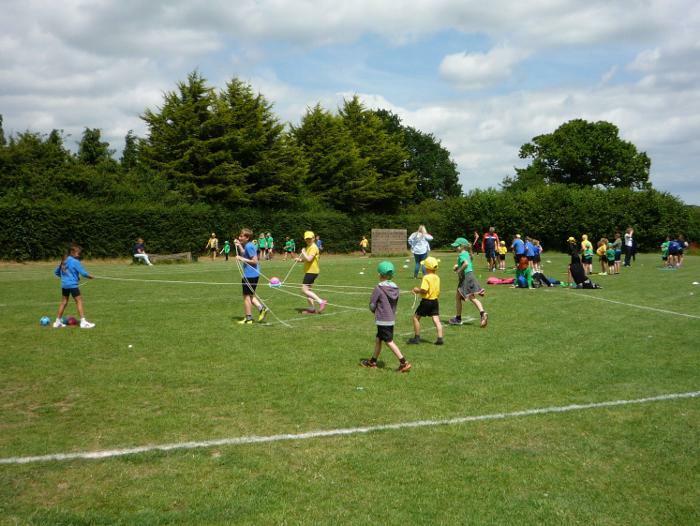 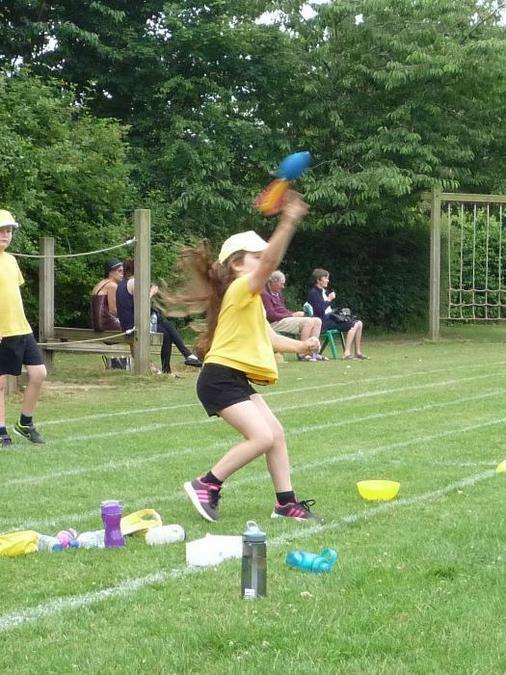 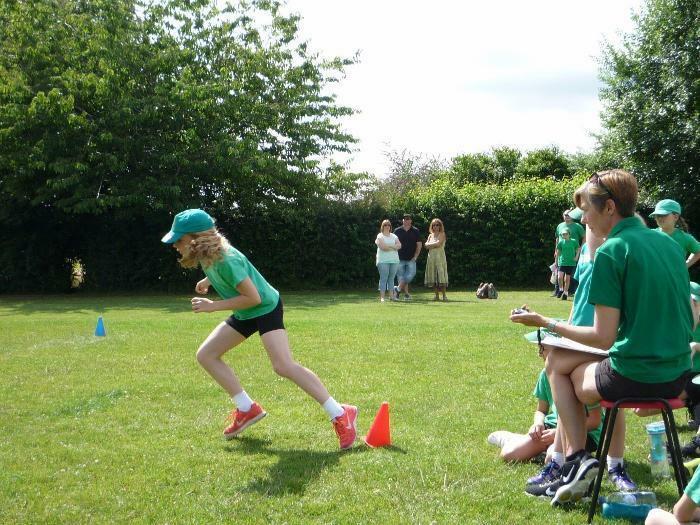 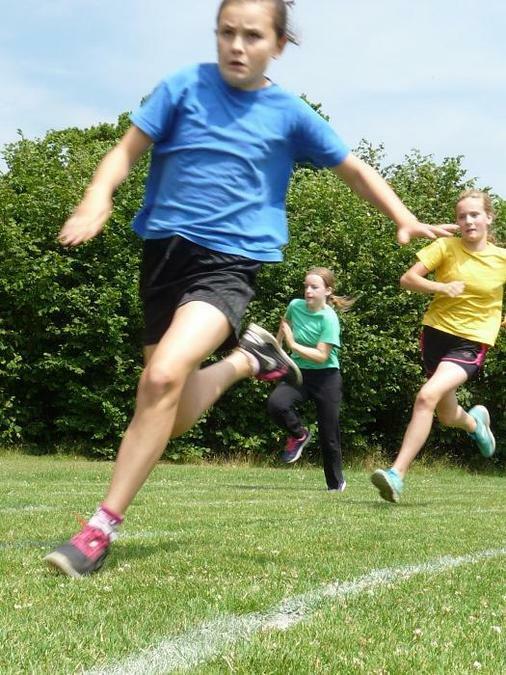 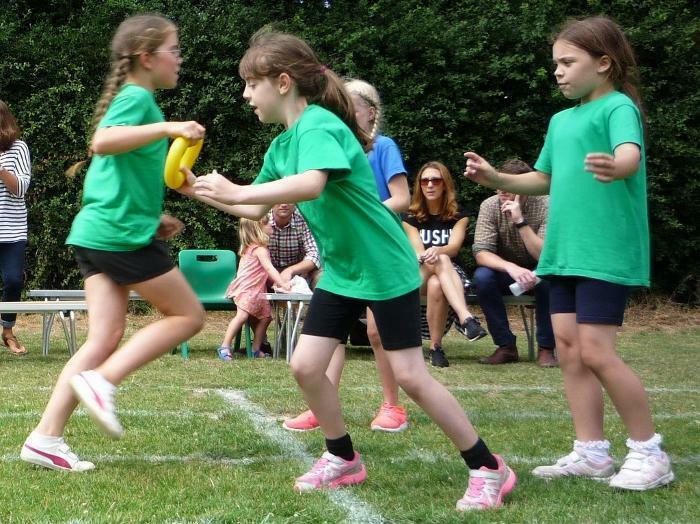 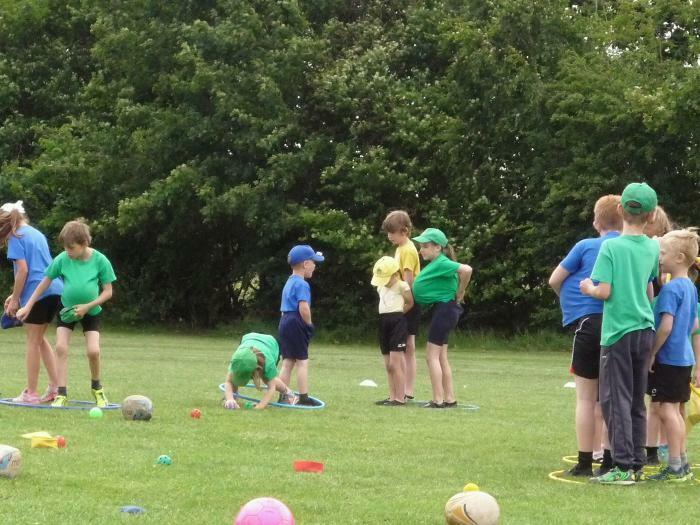 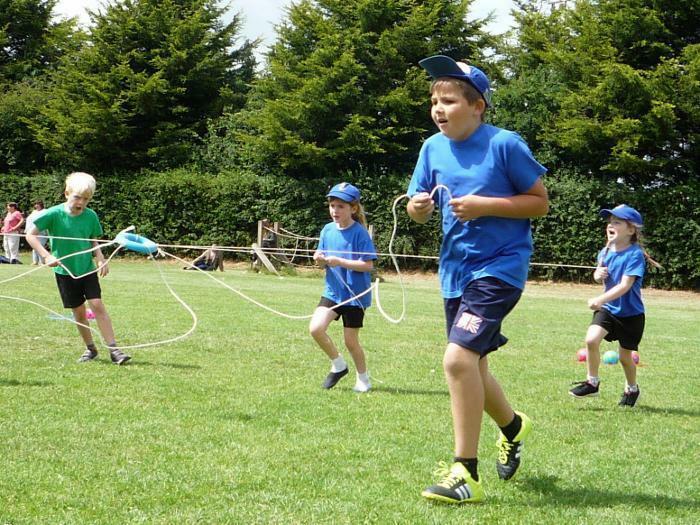 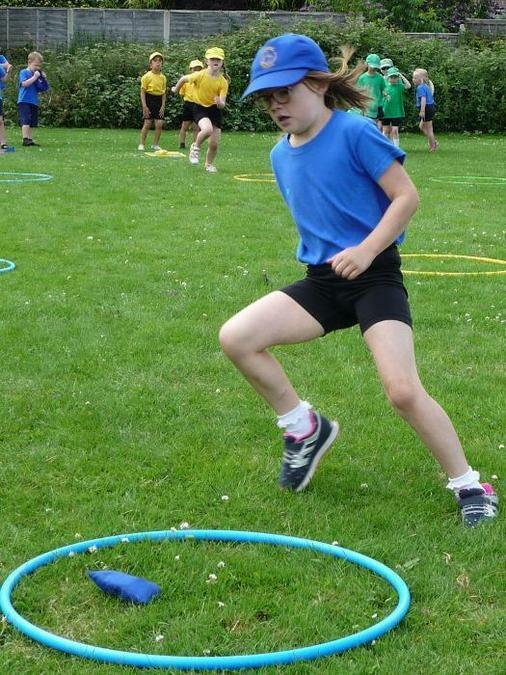 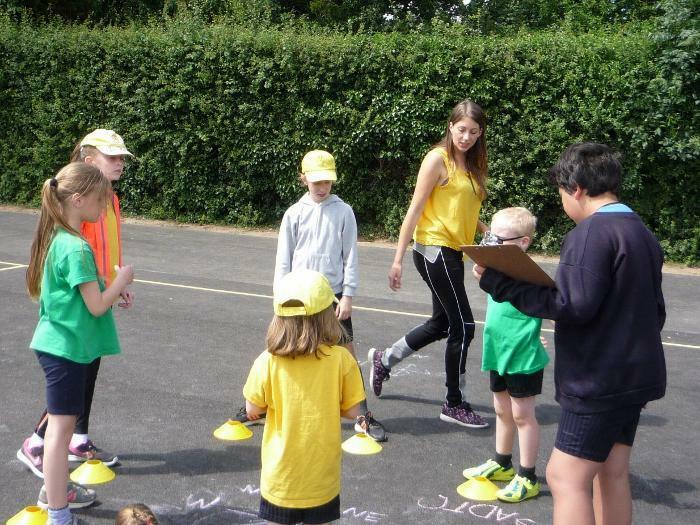 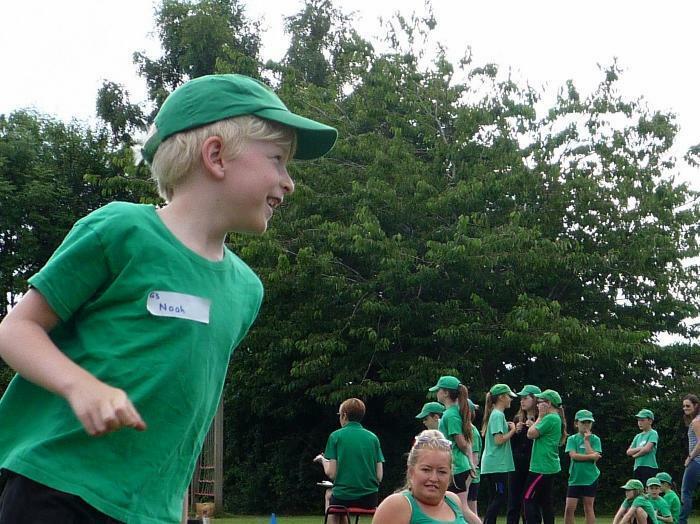 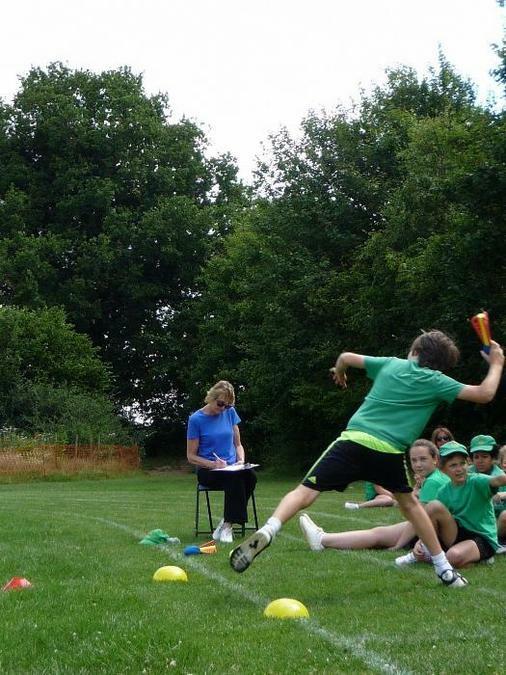 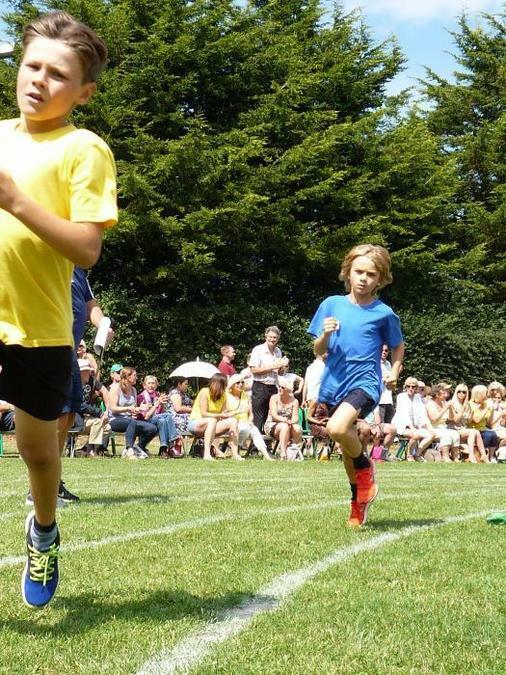 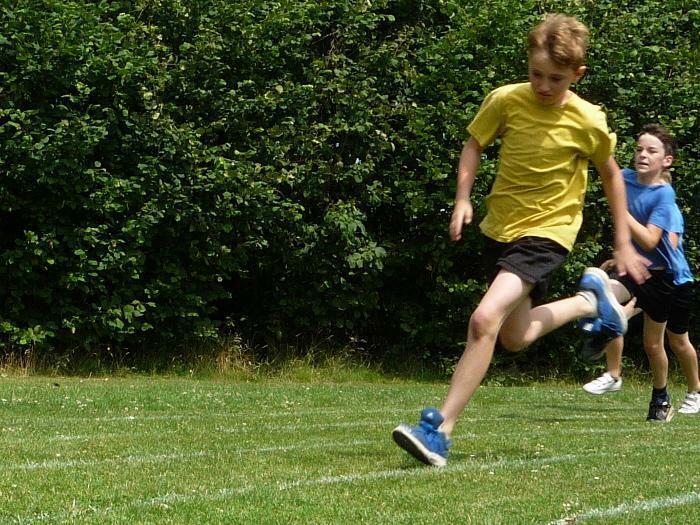 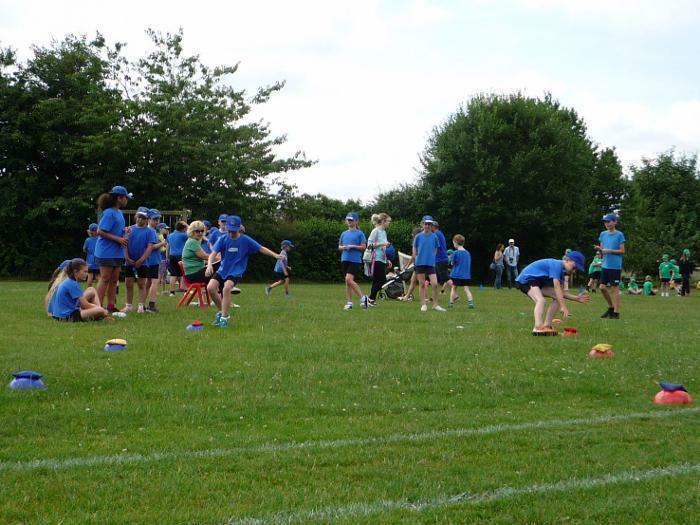 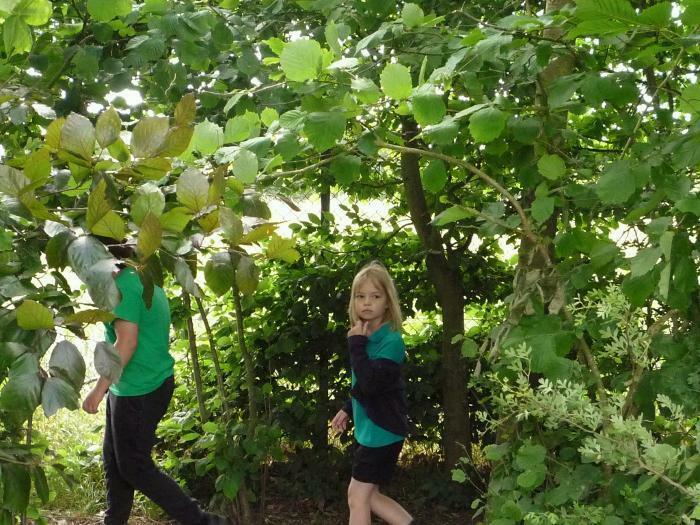 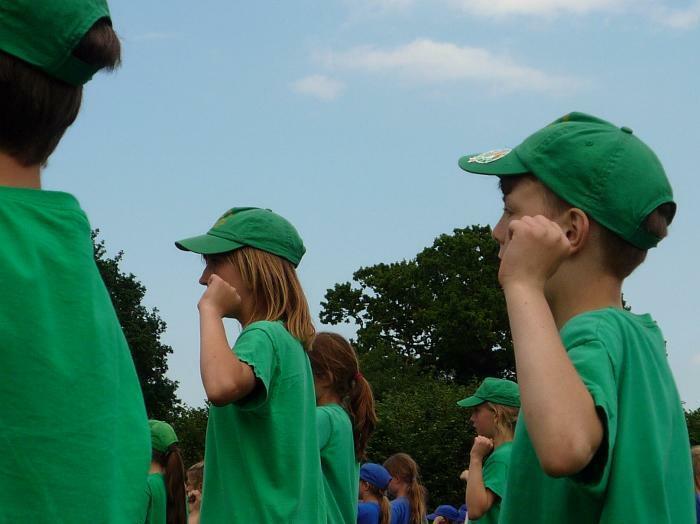 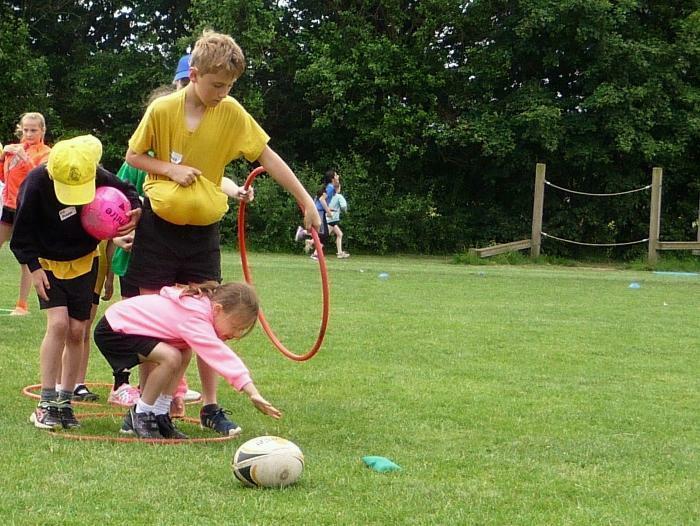 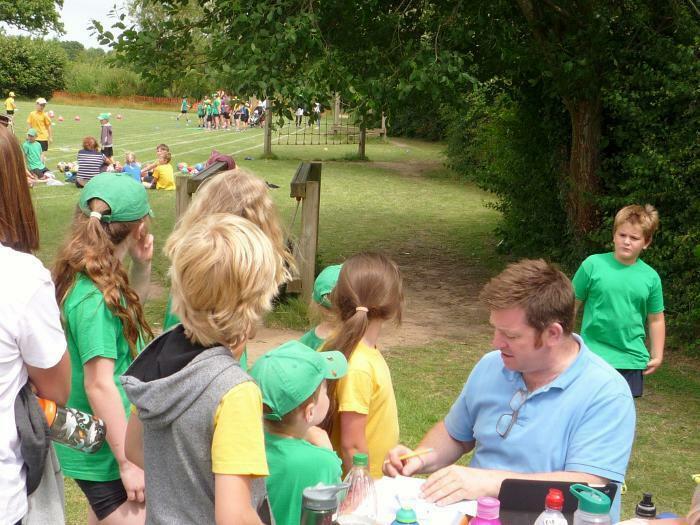 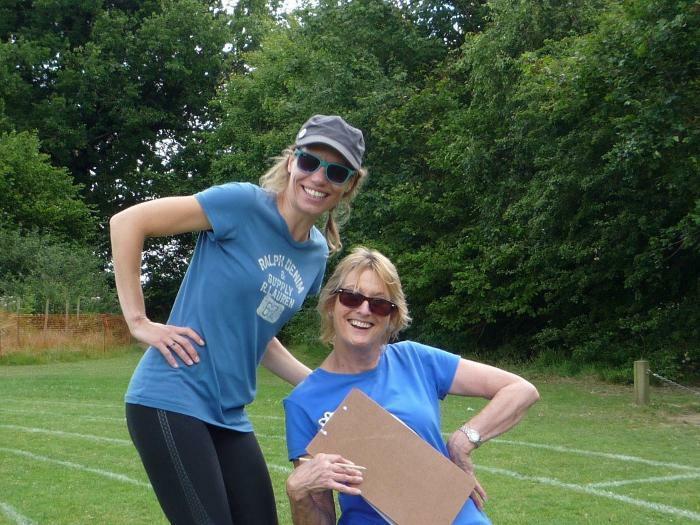 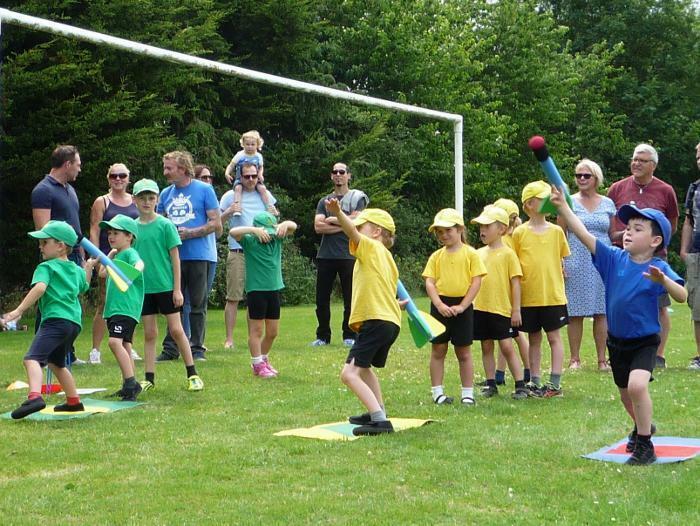 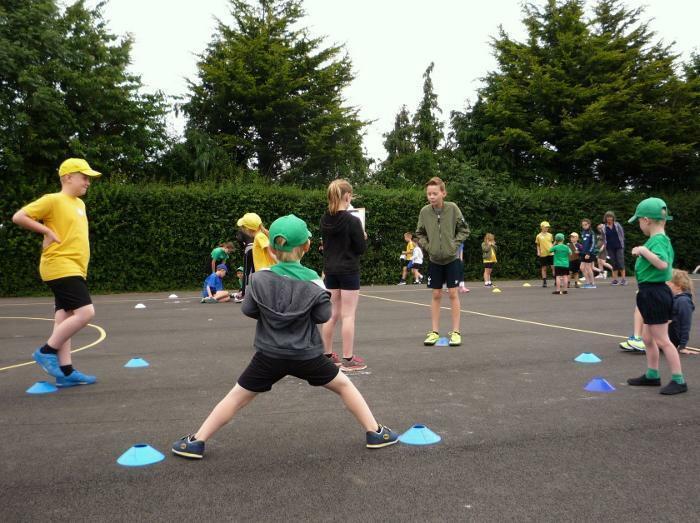 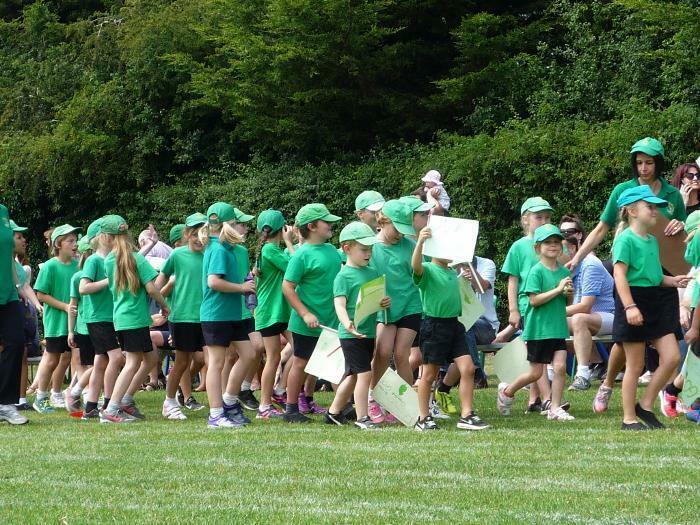 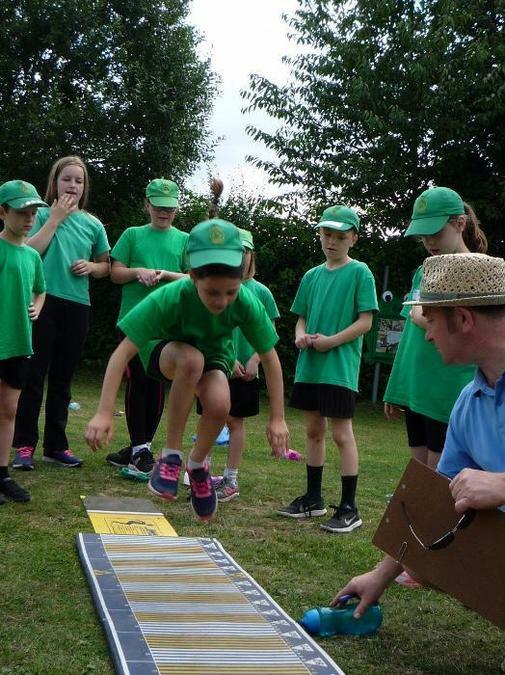 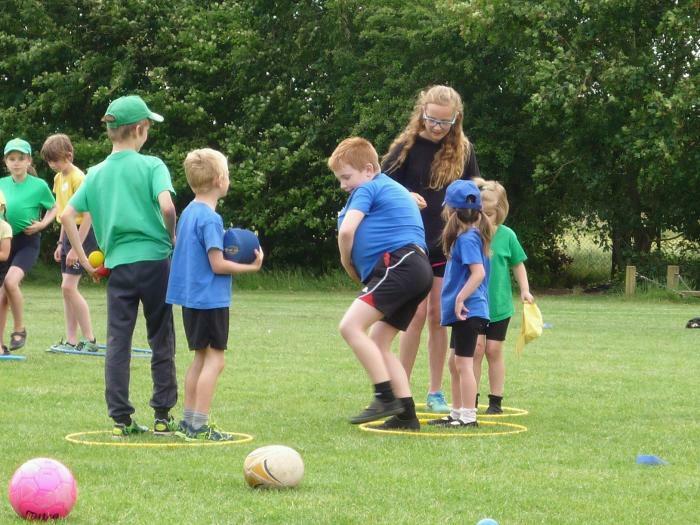 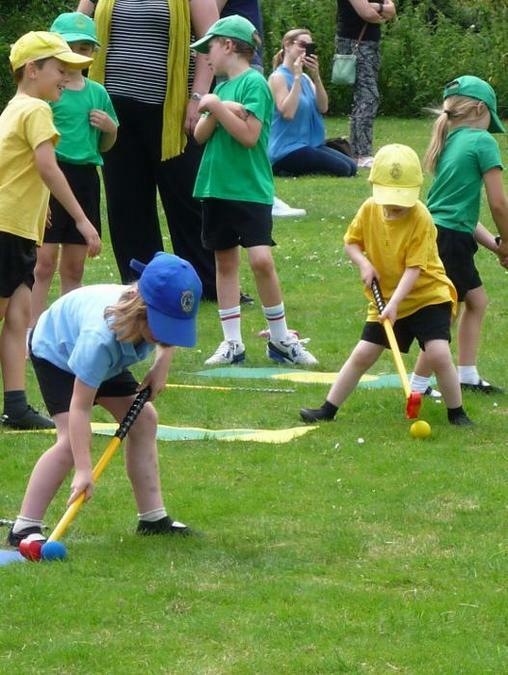 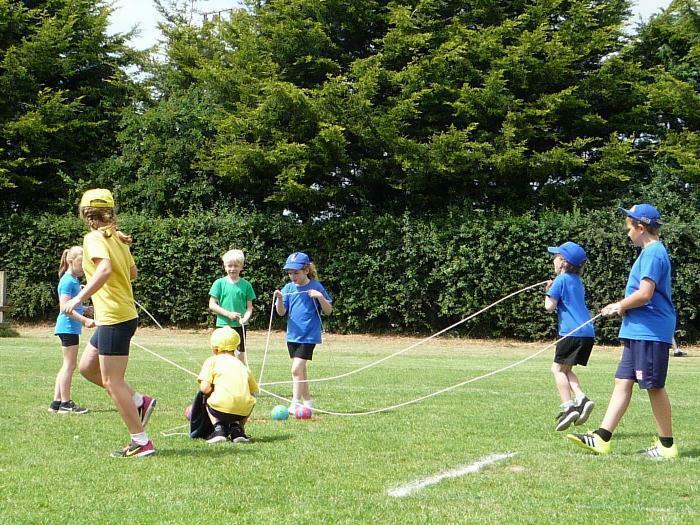 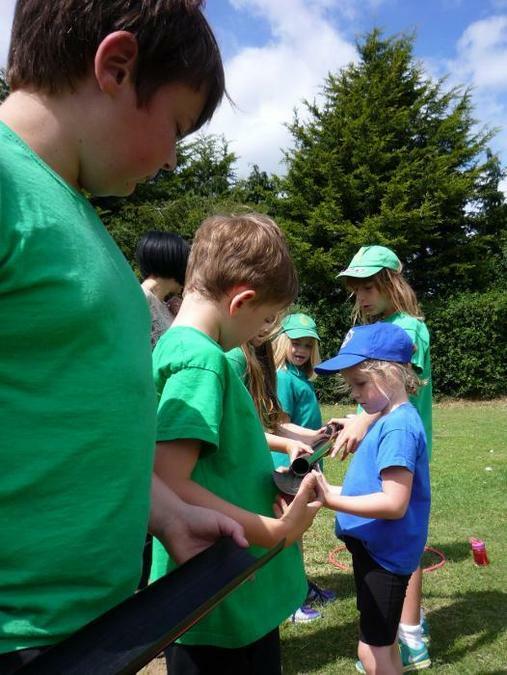 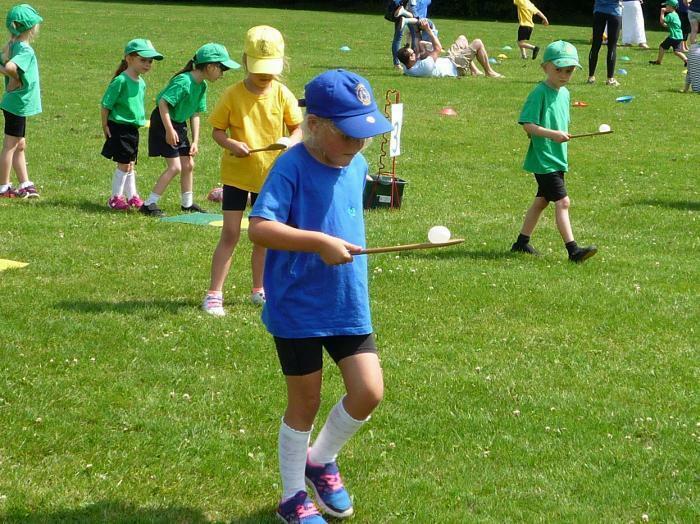 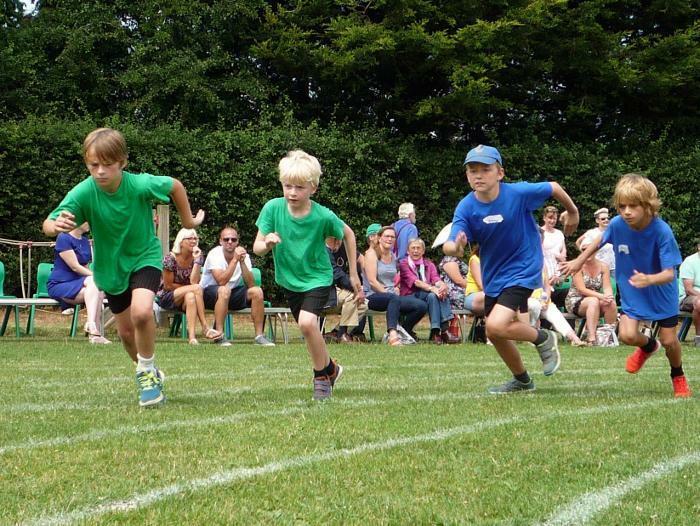 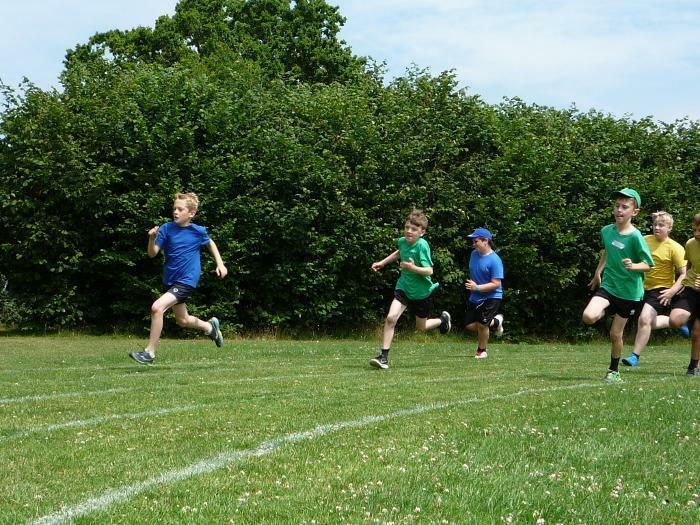 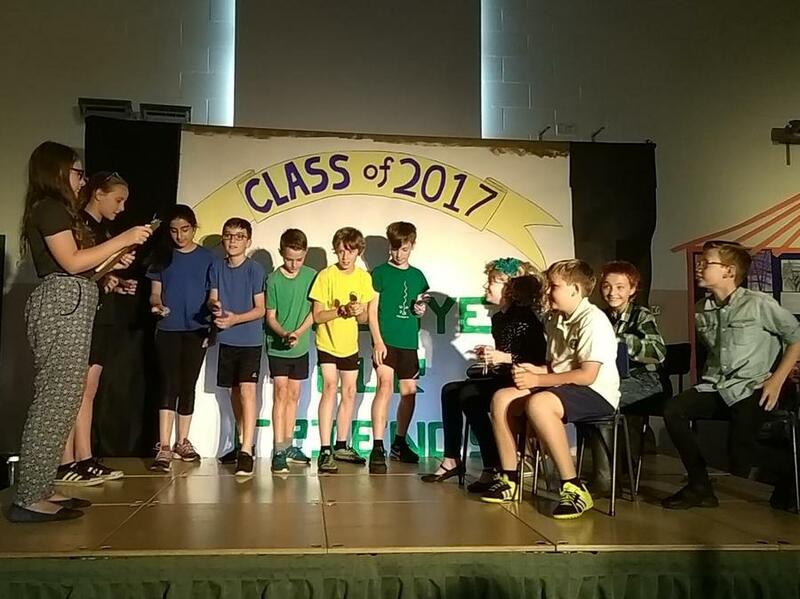 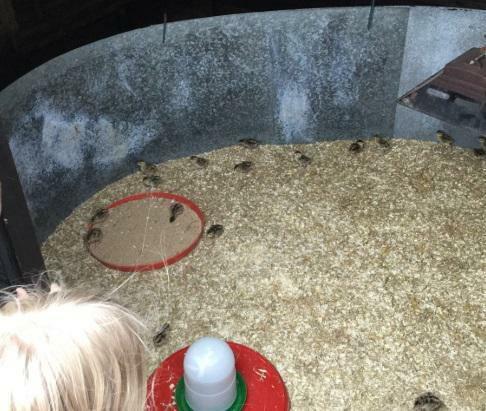 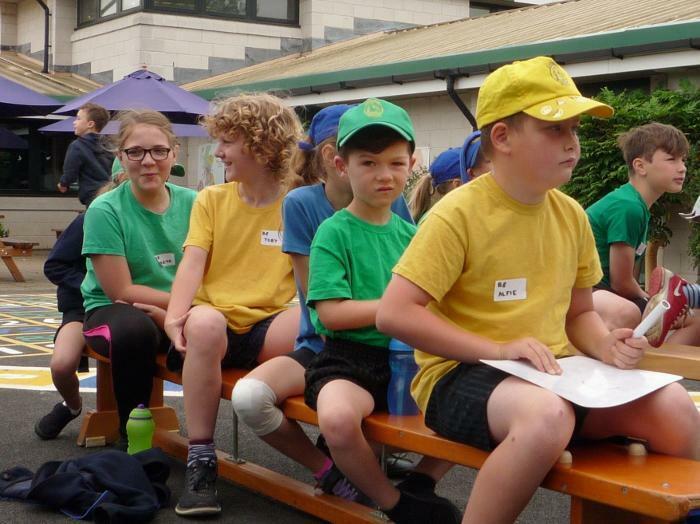 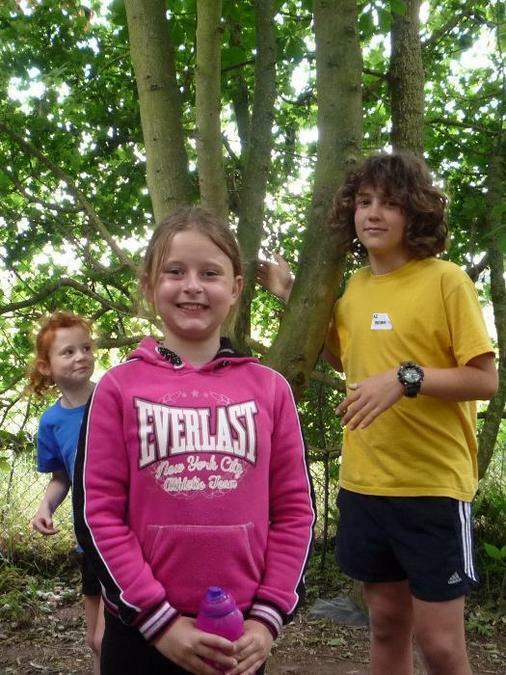 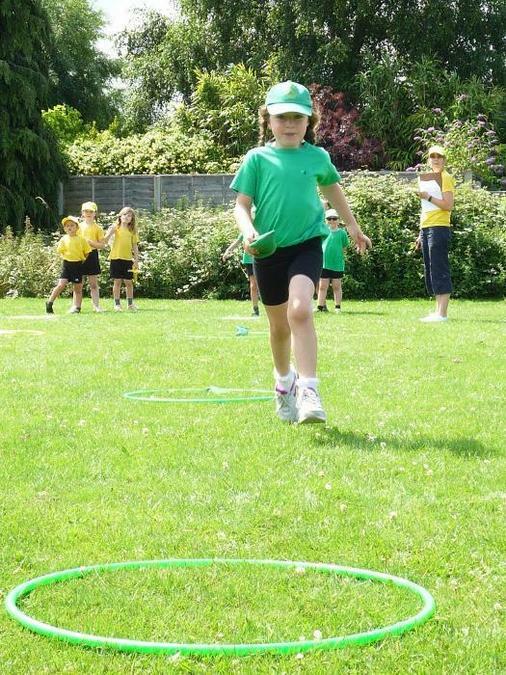 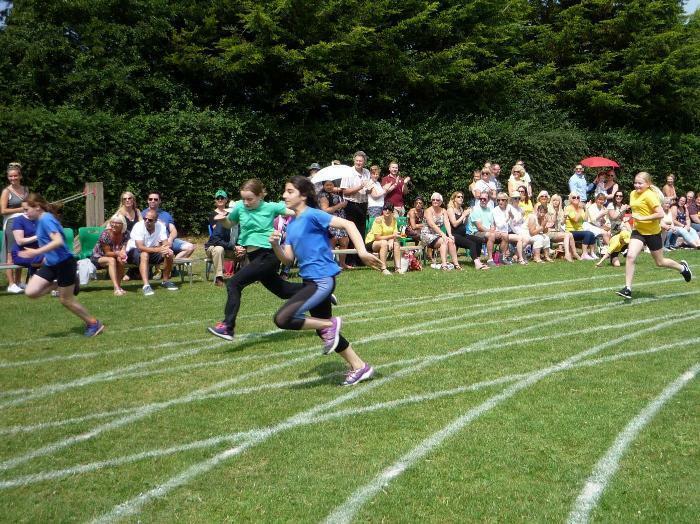 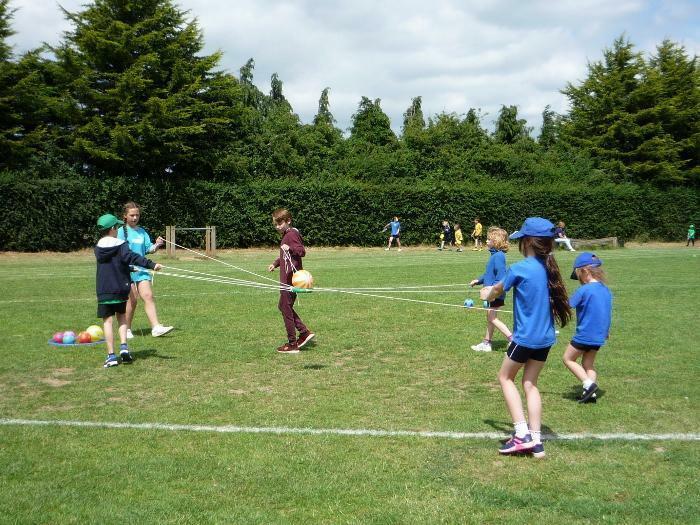 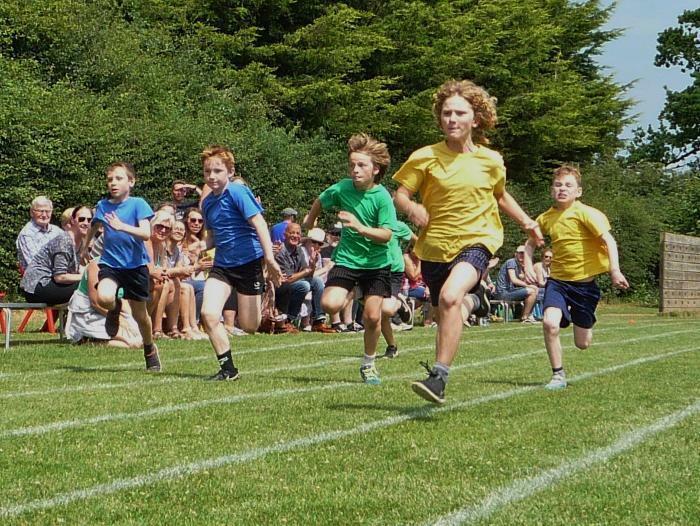 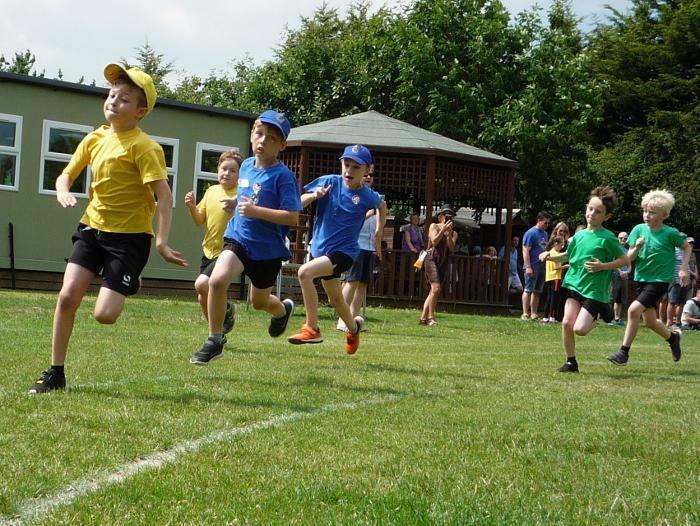 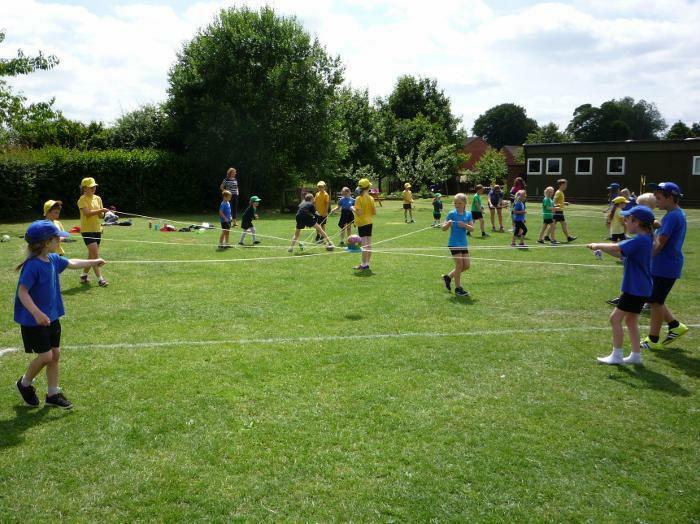 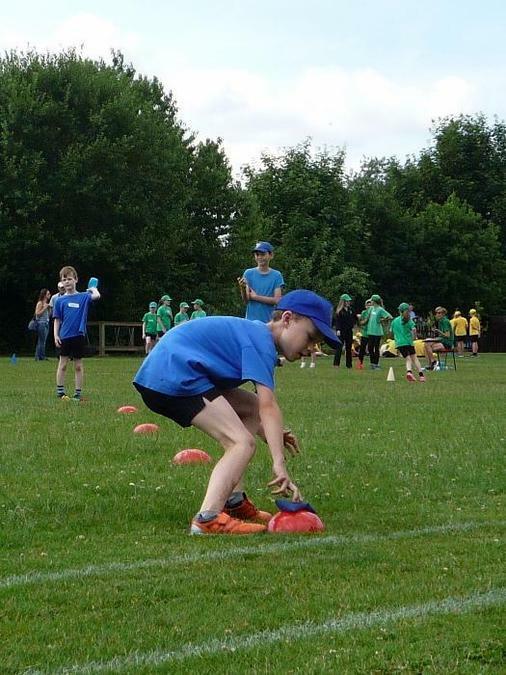 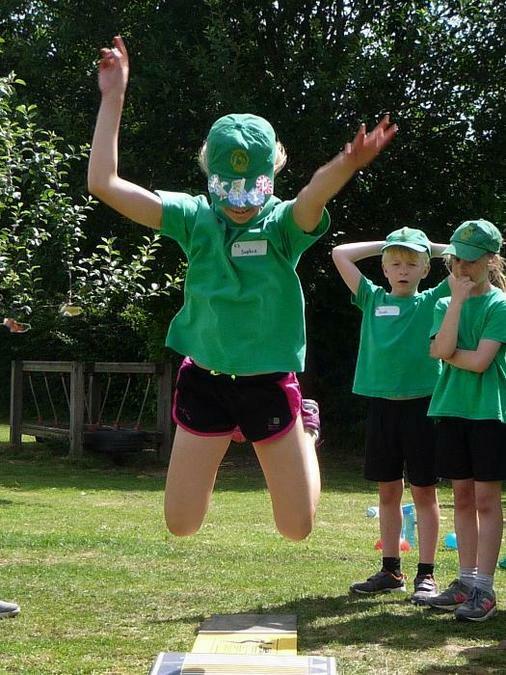 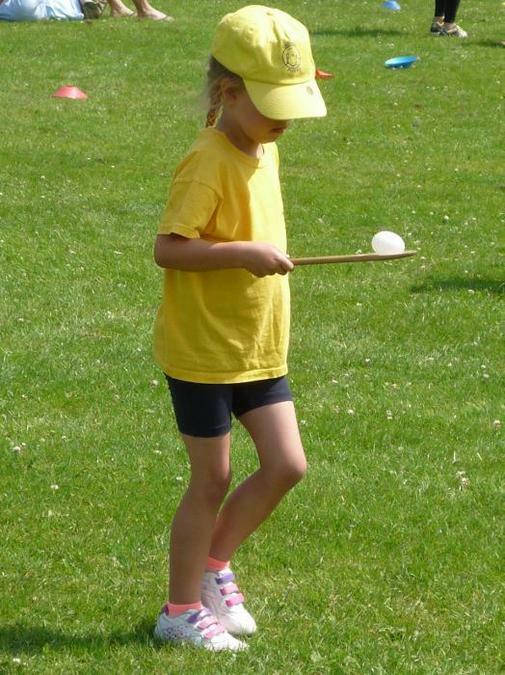 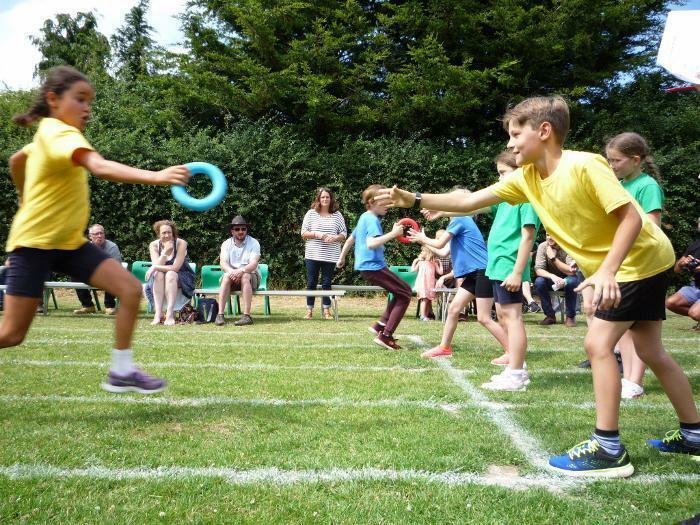 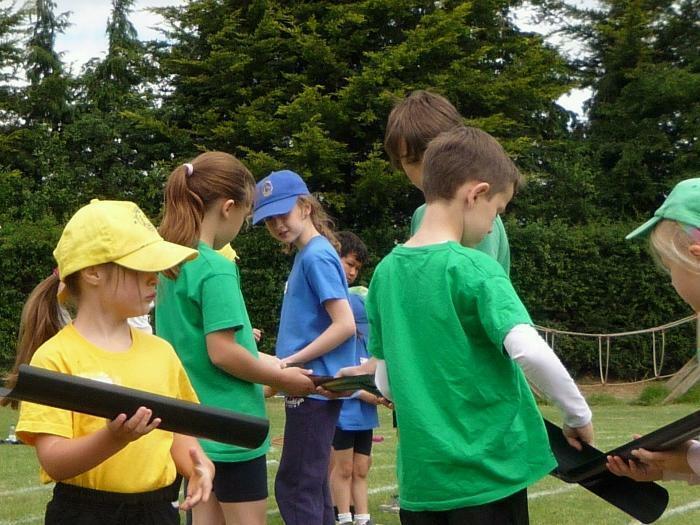 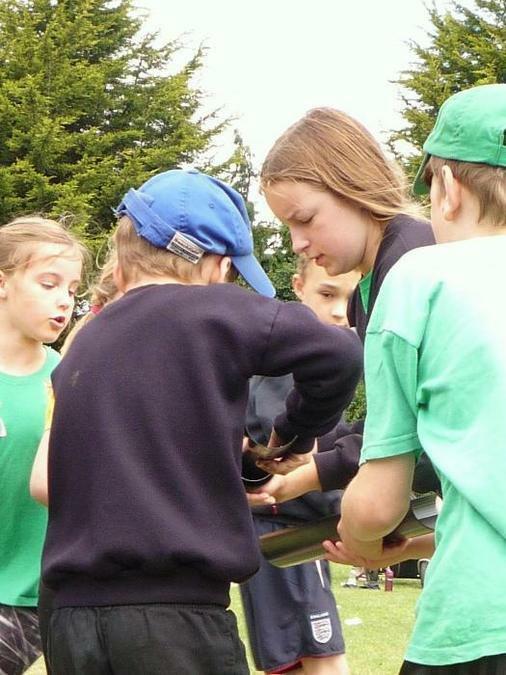 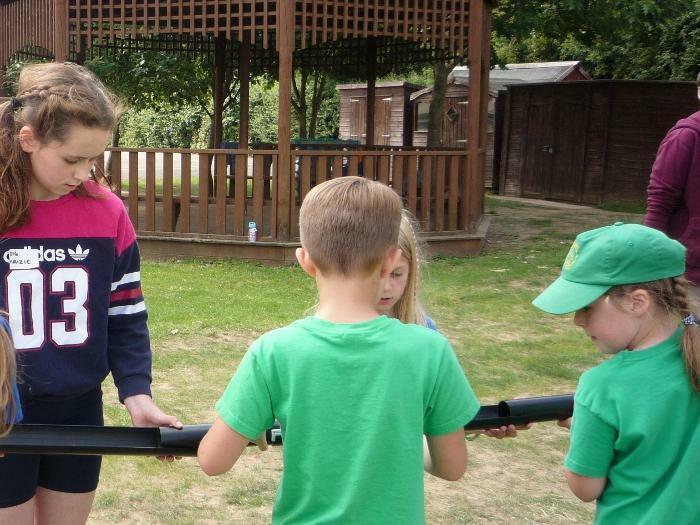 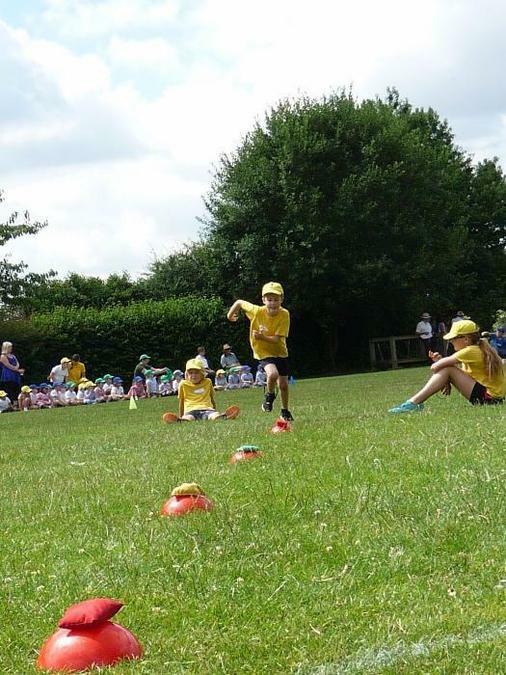 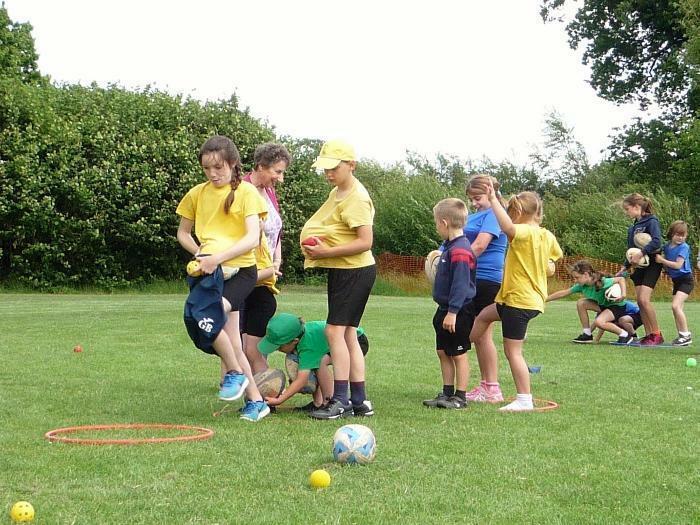 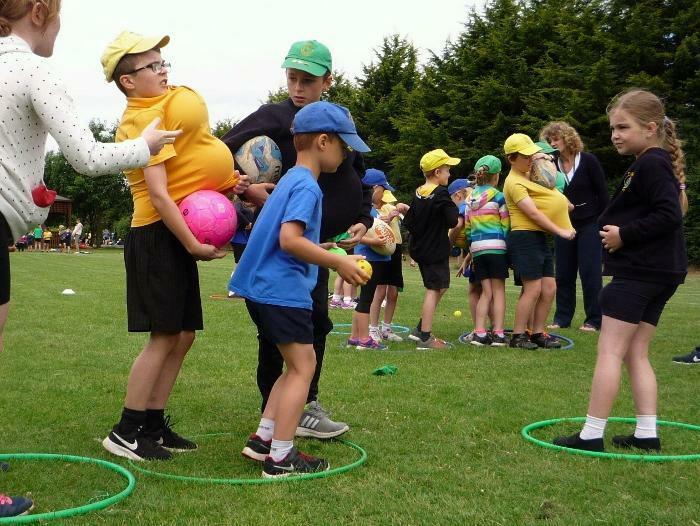 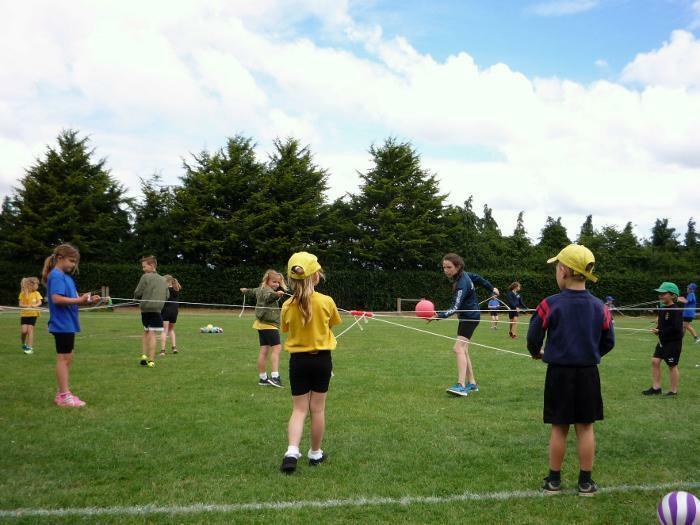 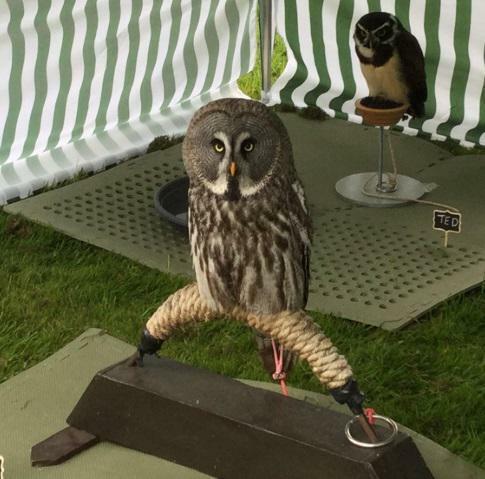 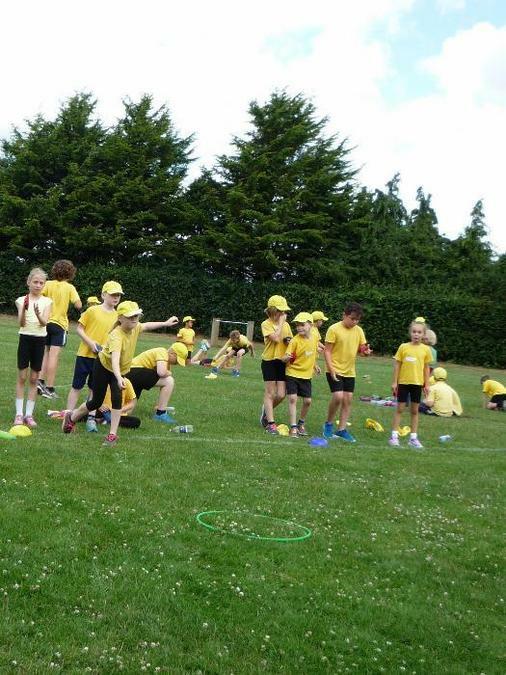 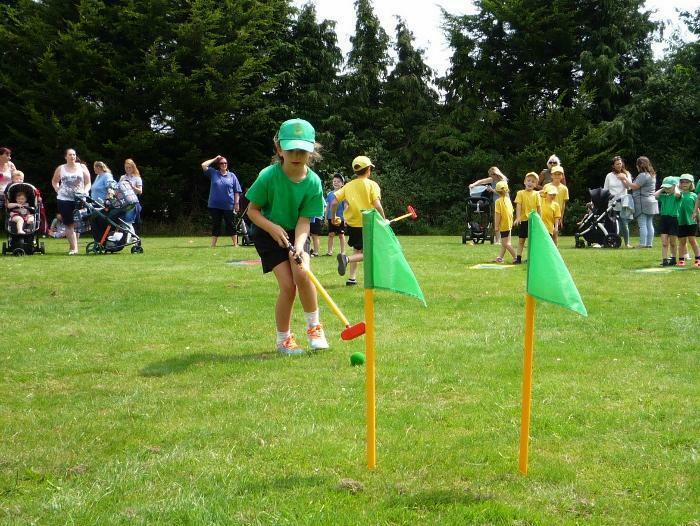 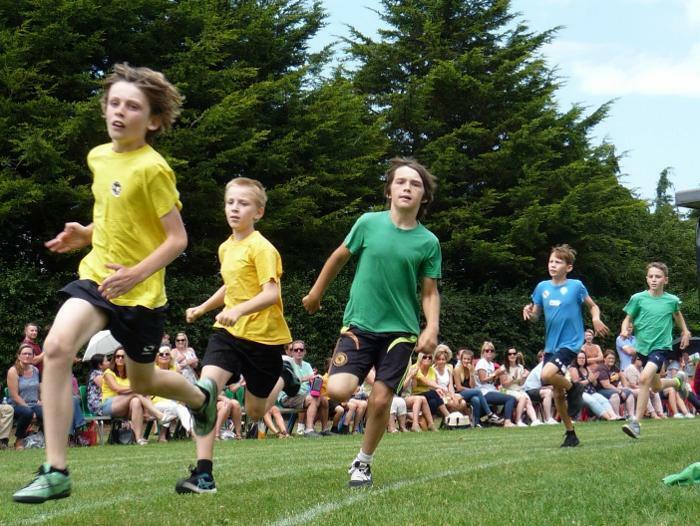 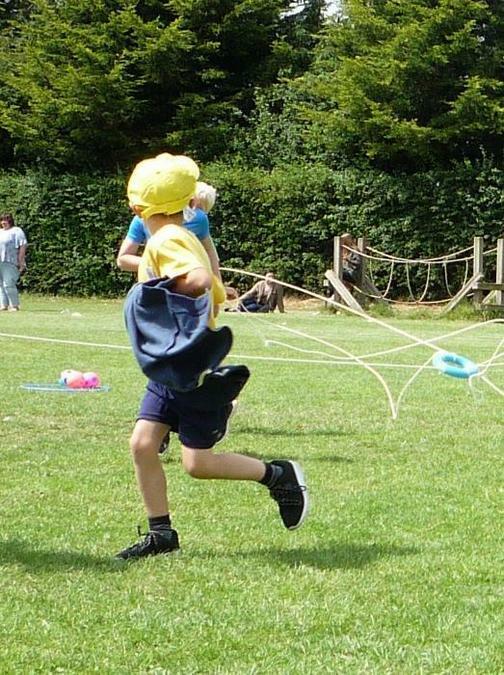 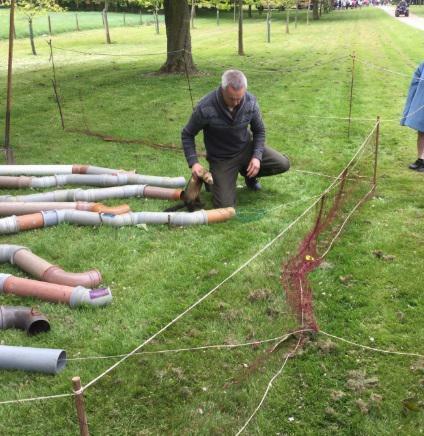 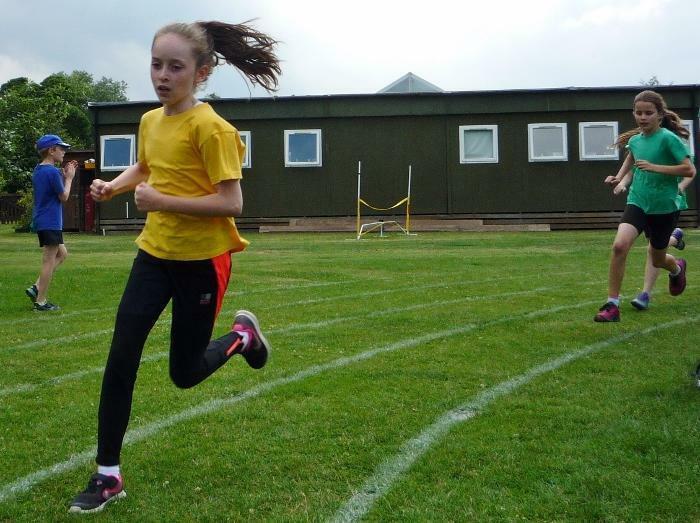 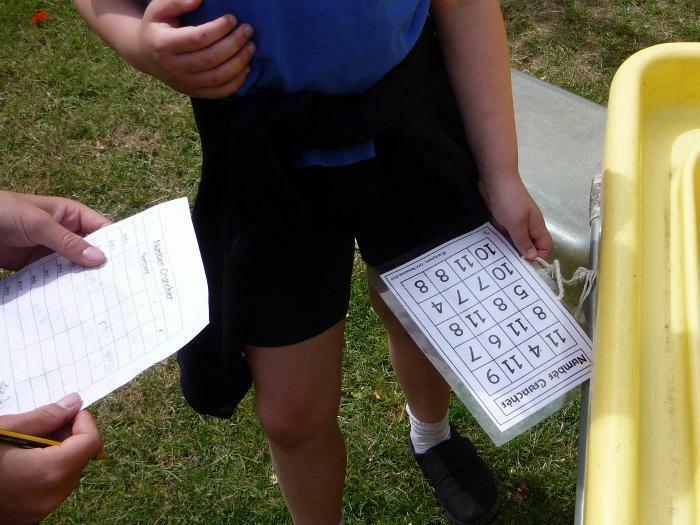 Children from Salhouse, St Johns, Neatishead, Rackheath, Horning and Coltishall competed in races held at the Recreation Ground in Coltishall. 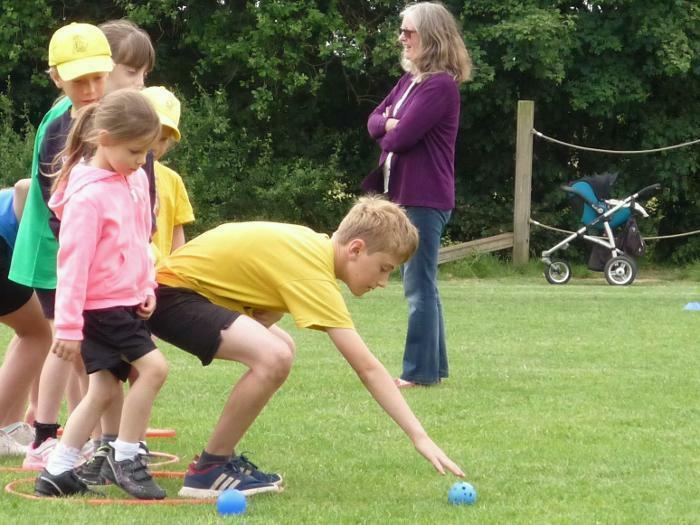 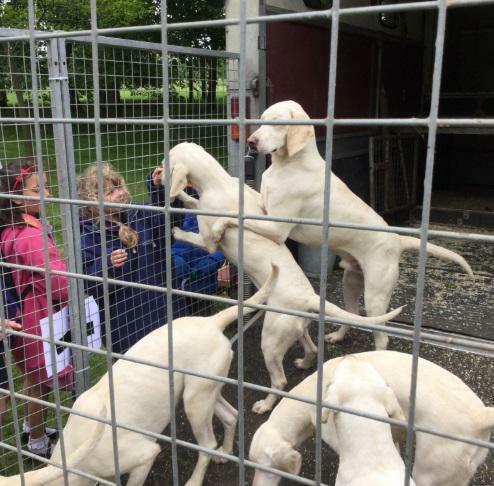 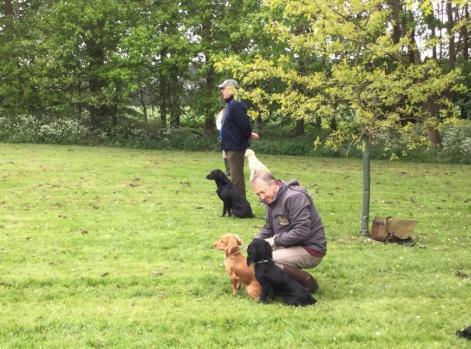 We entered 44 children, who all competed with great enthusiasm and energy,despite the chilly morning. 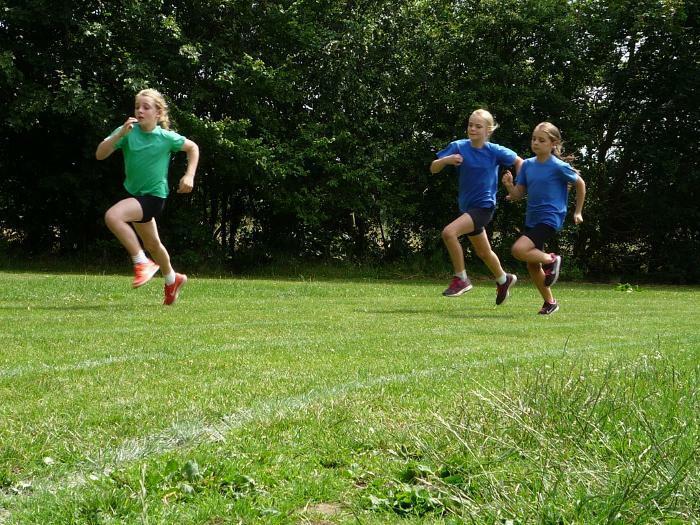 In the y3/y4 girls race Olivia Allen came first and Mia Jones came third. 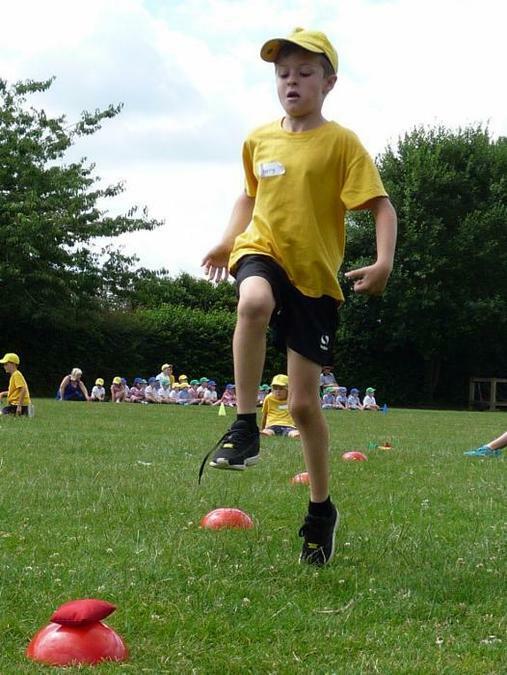 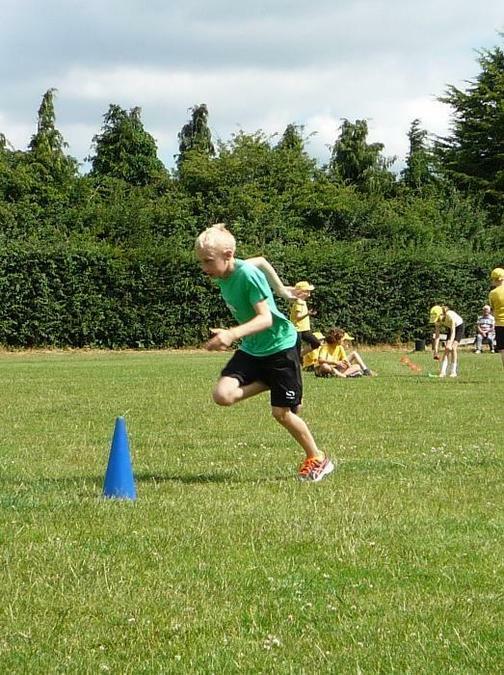 In the y3/y4 boys race Milo Debbage came first, Jimmy Margree came second and Jonah Life came third. 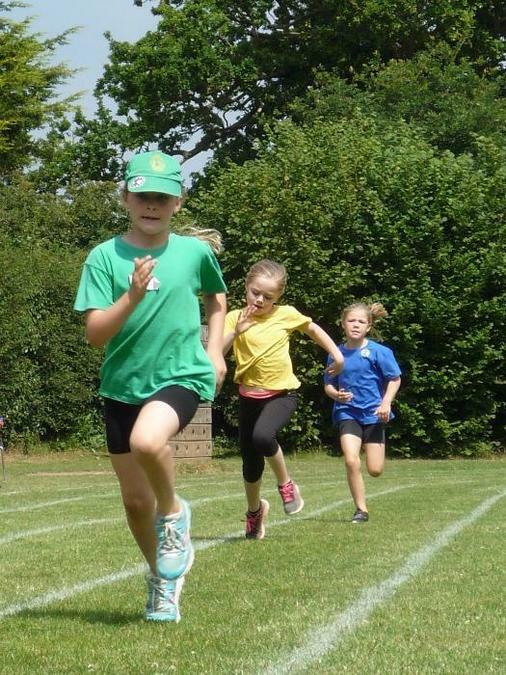 In the y5/y6 girls race Rosie Dickety came first, Lily Norman came second and Jess Westmoreland came third. 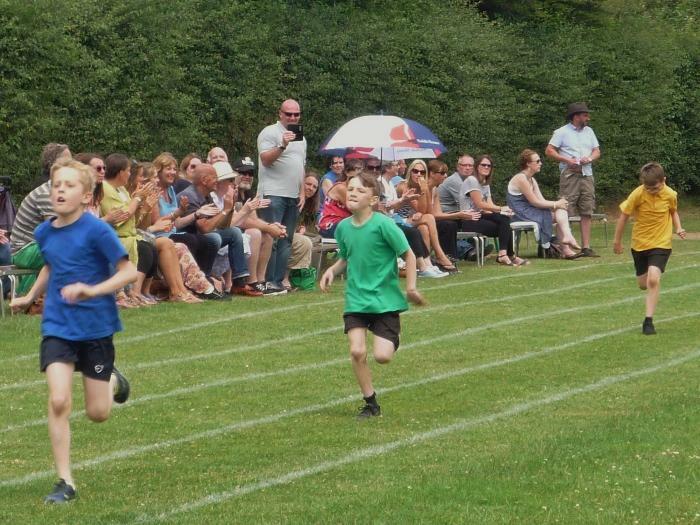 And in the y5/y6 boys race Matthew Whittaker-Benson came first and Adam Bell came second. 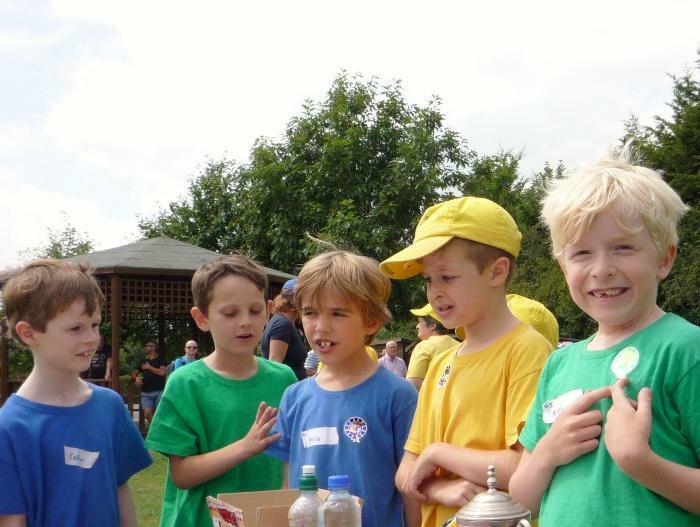 With so many top places, the team retained the Cluster cup for the fifth year in a row. 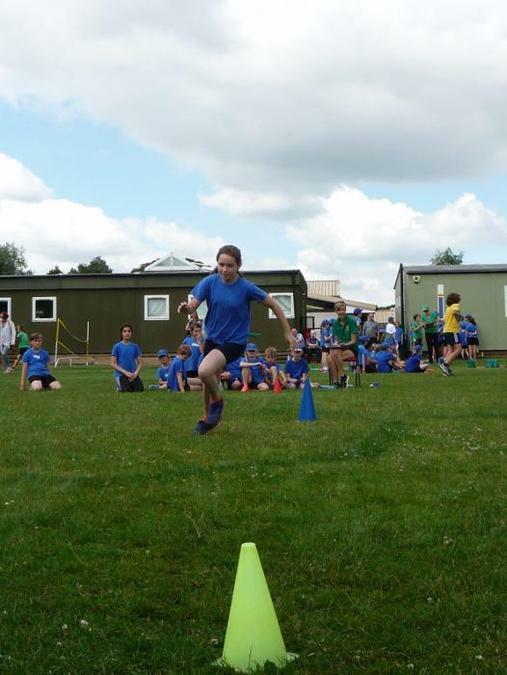 Twenty-three children represented our school at the Norwich East School Sports Partnership Cross Country Event on 8th November 2017 at North Walsham Rugby Club. 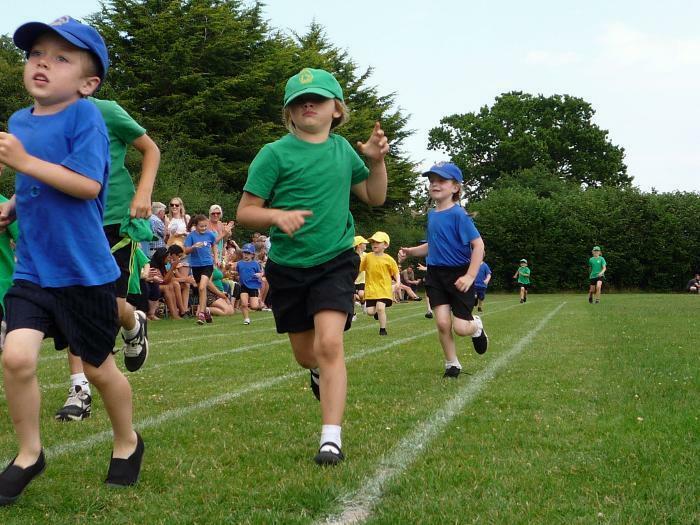 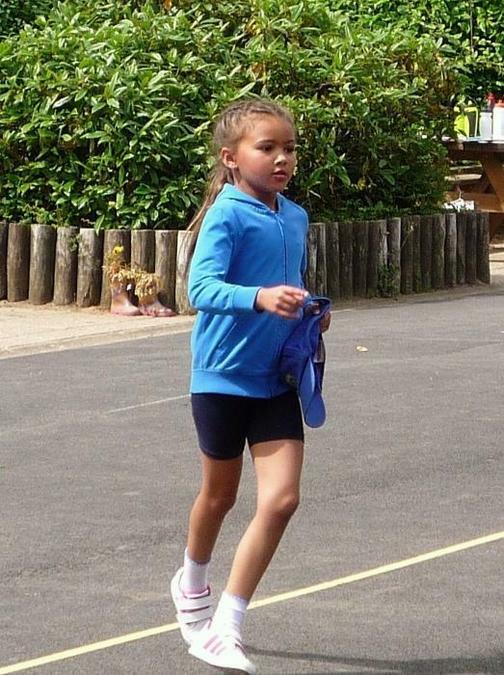 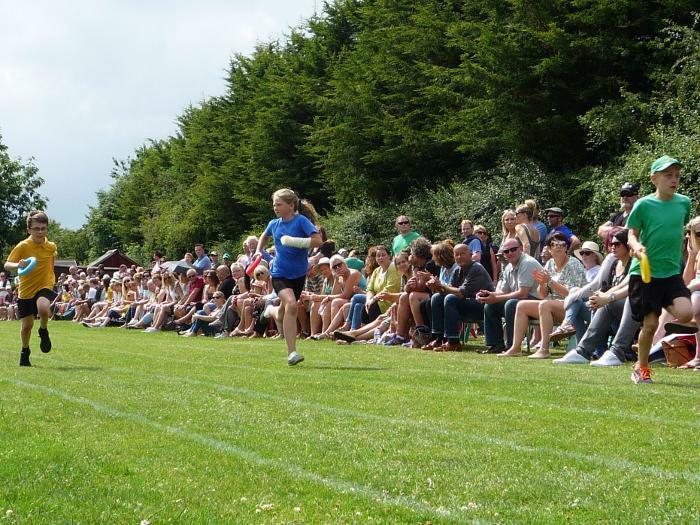 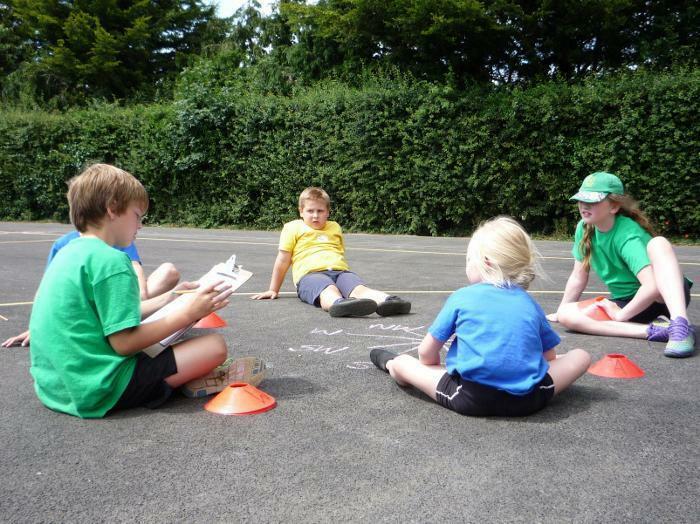 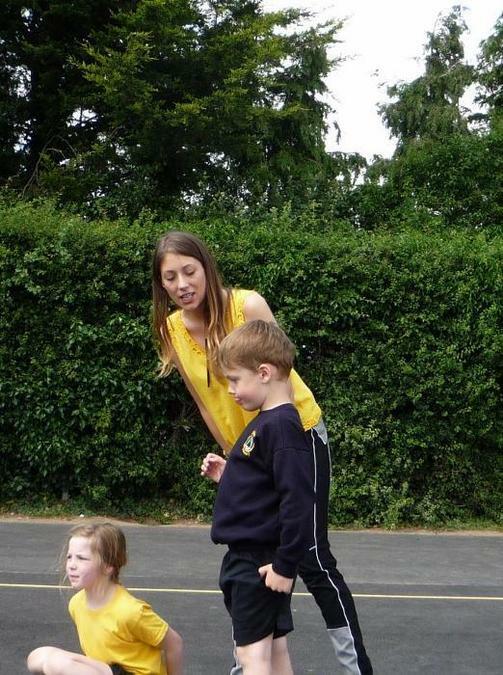 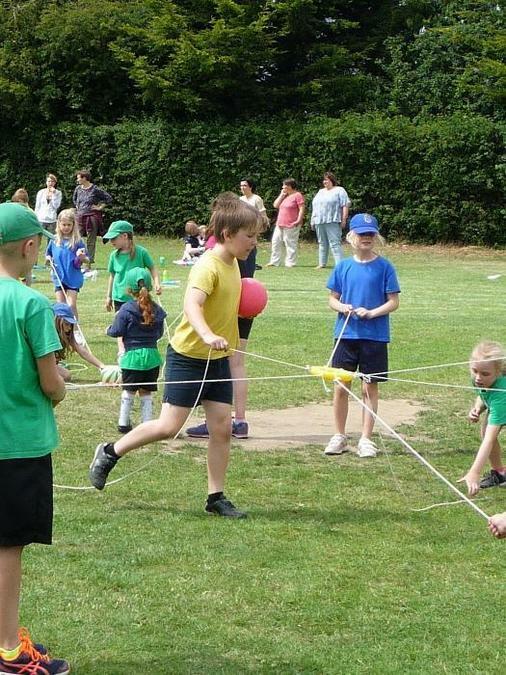 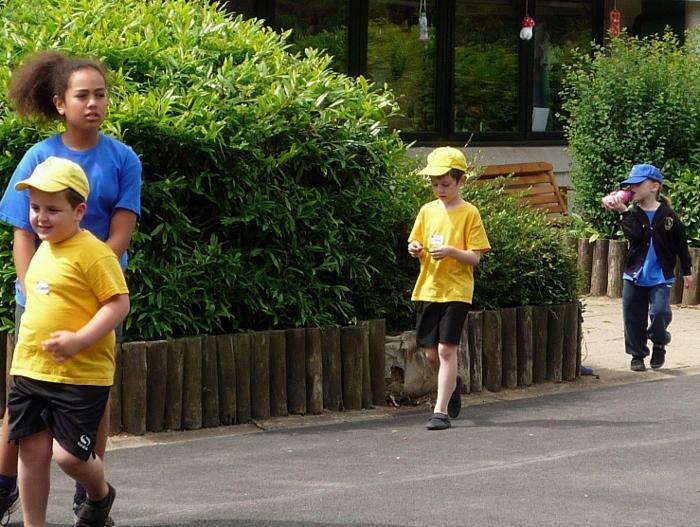 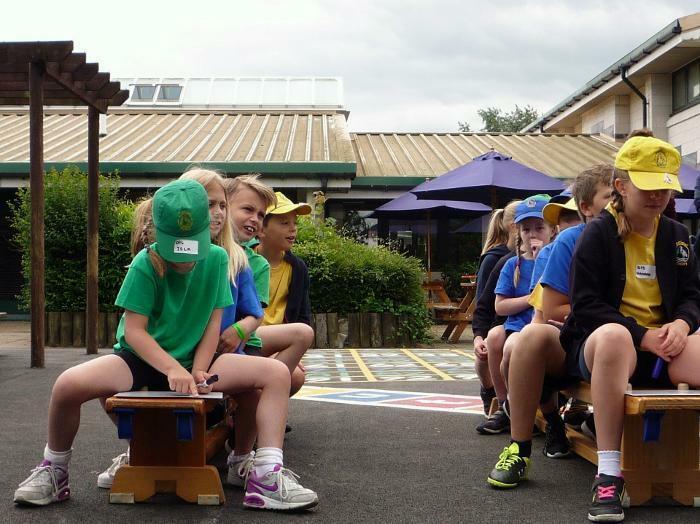 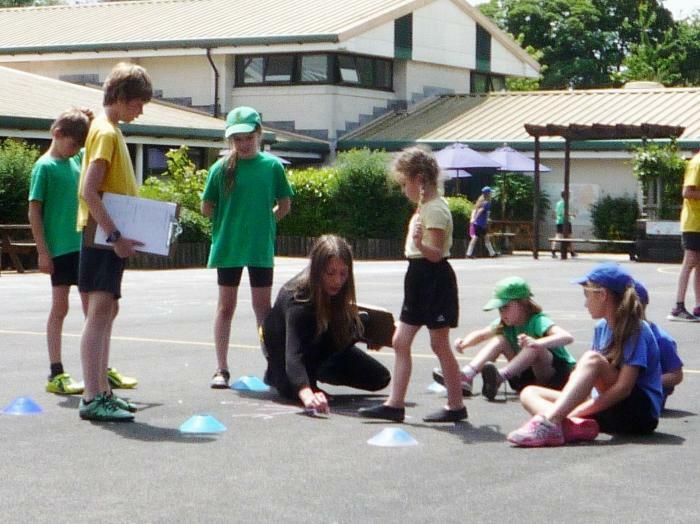 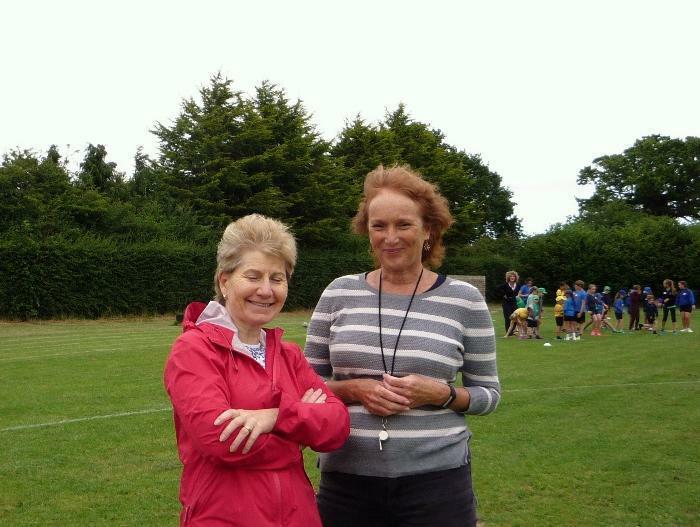 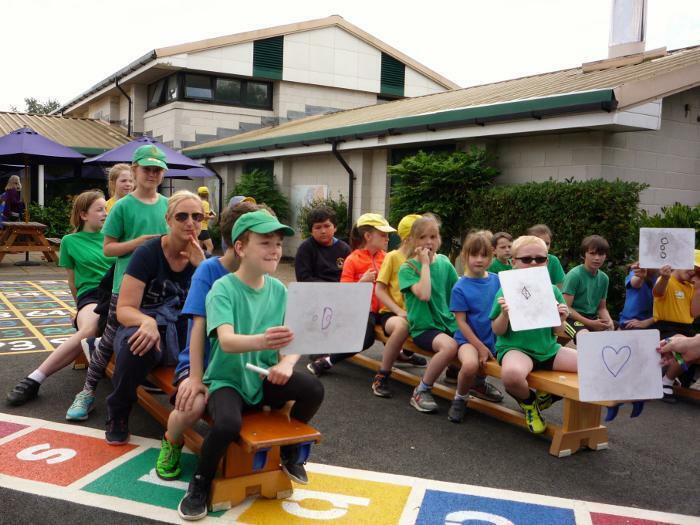 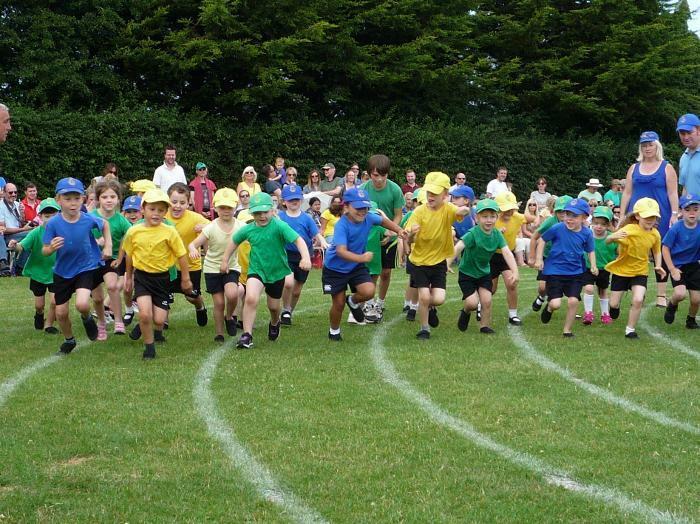 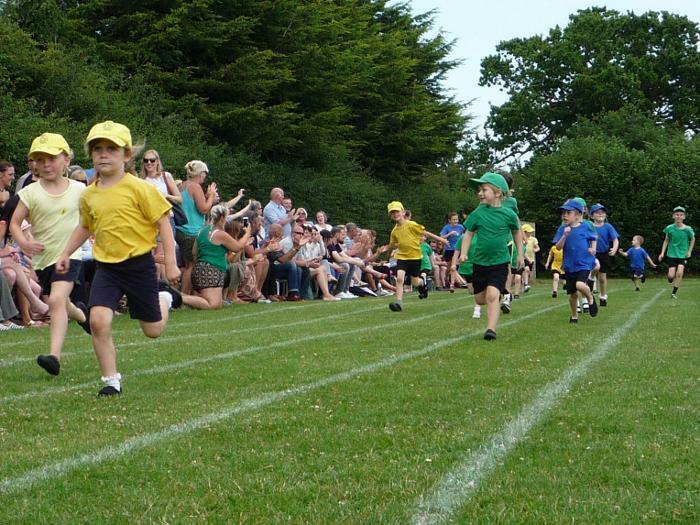 They competed in races for years 3, 4, 5, and 6 against children from approximately 20 schools. 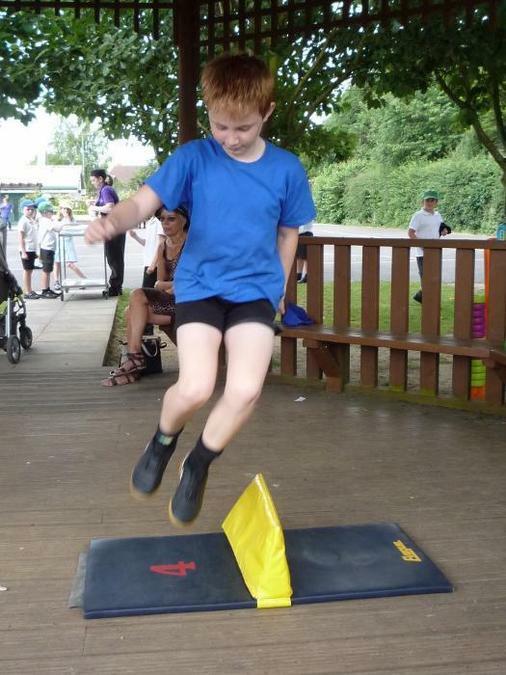 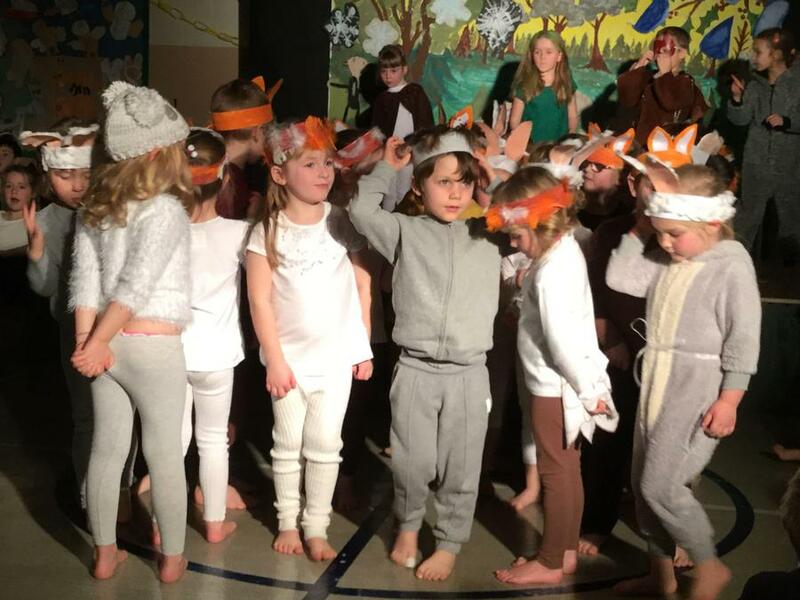 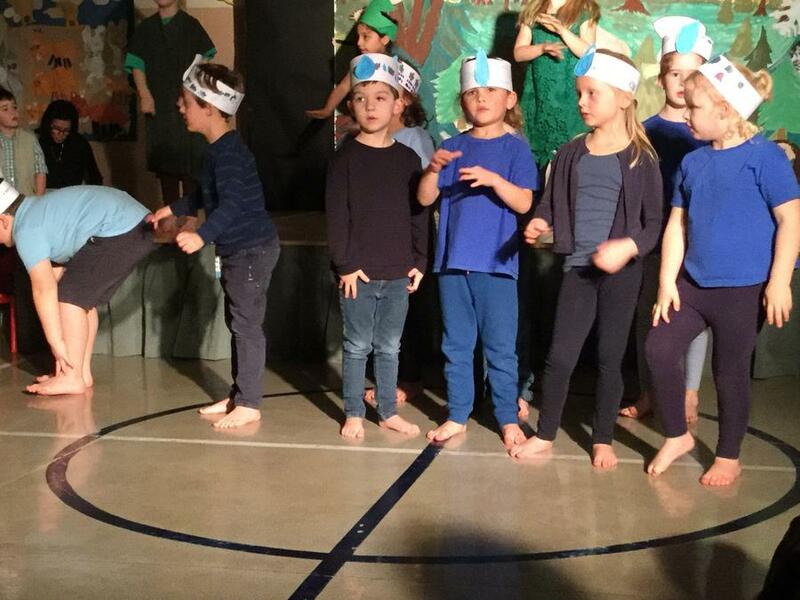 In difficult, wet and slippery conditions, the children participated enthusiastically, showing great determination and perseverance to do their best. 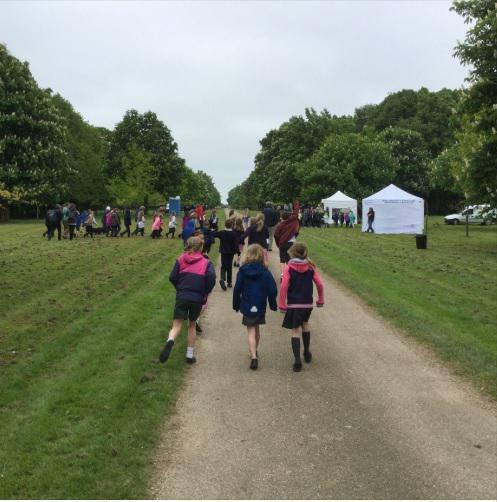 Twelve children finished in the top ten of their race and will now be invited to participate in the County Finals at Holkham Hall early next year which is a fantastic achievement! 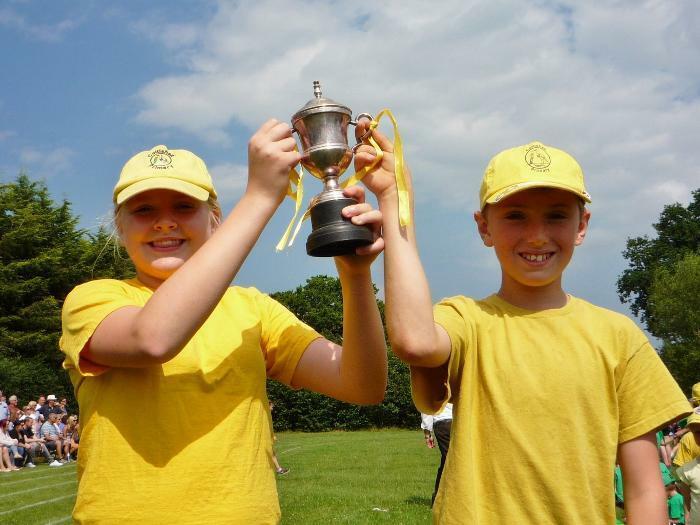 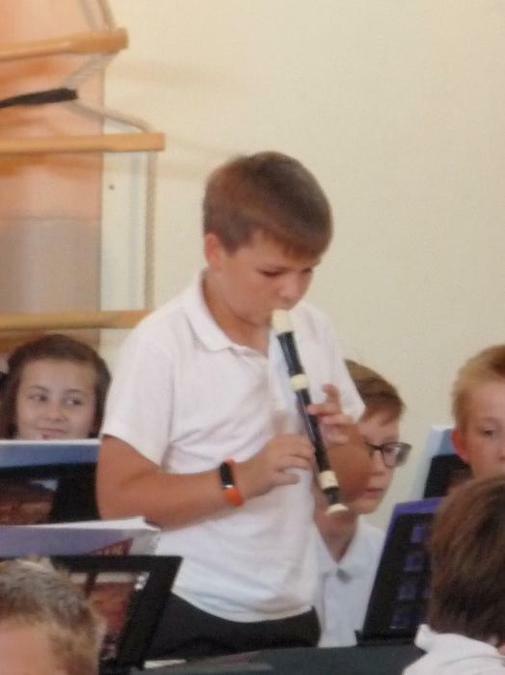 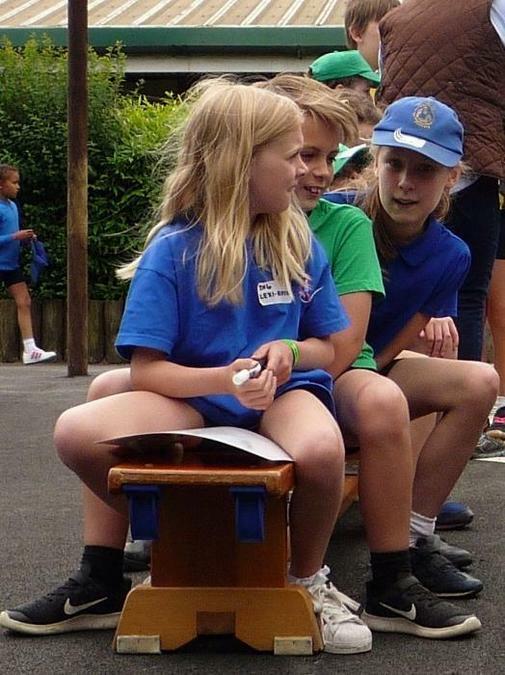 A special mention for Ruben Xuereb and Rosie Dickety, both in year 5, who won their races. 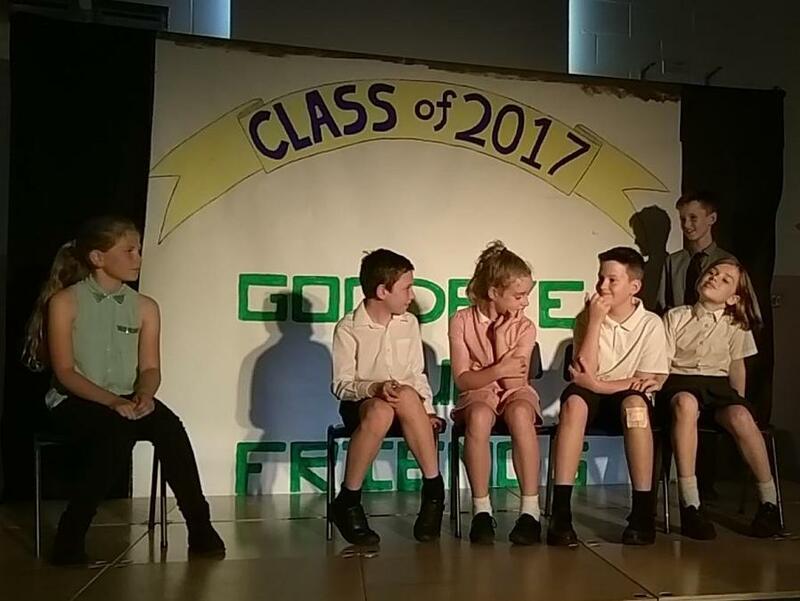 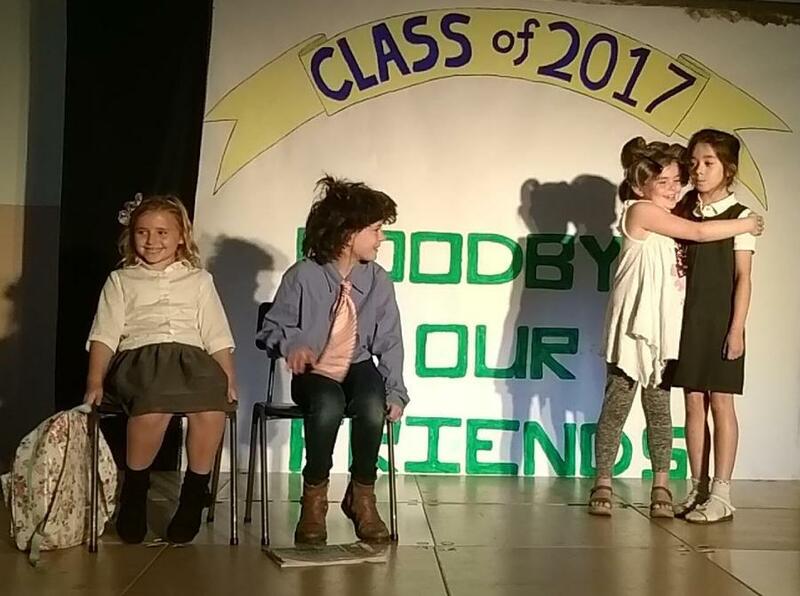 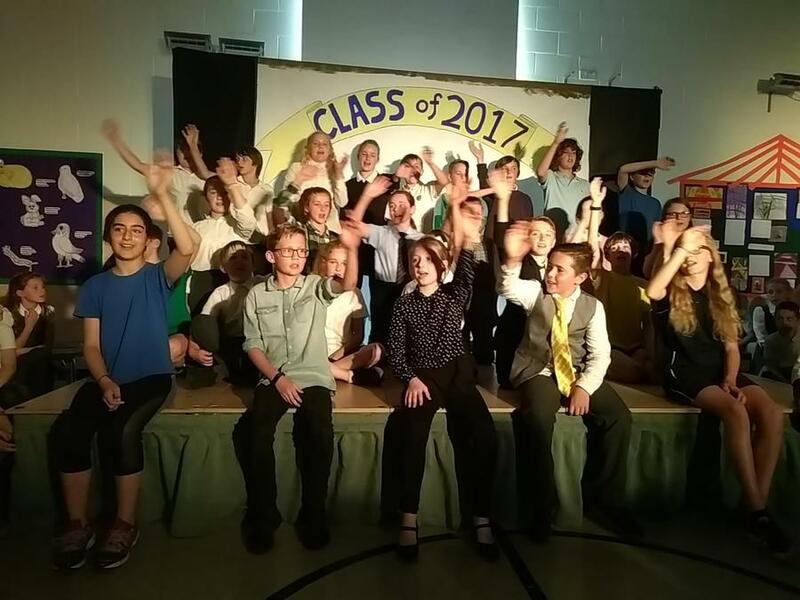 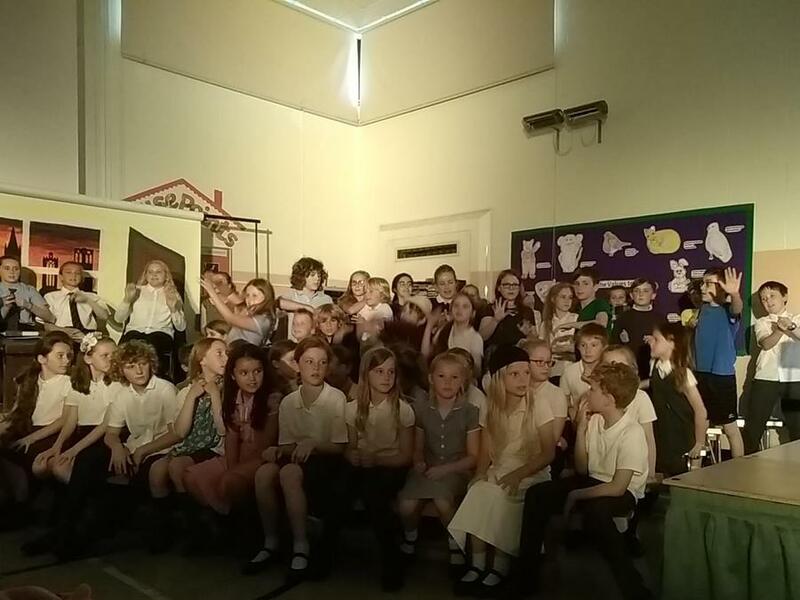 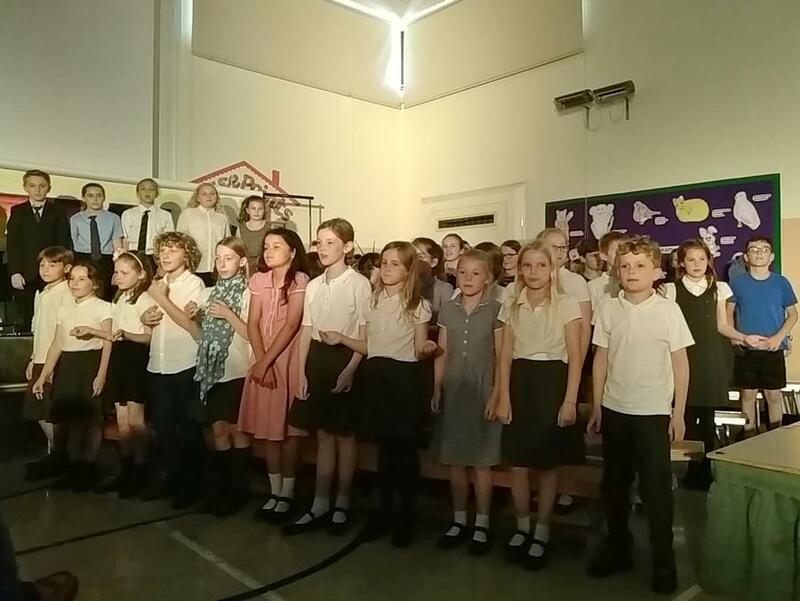 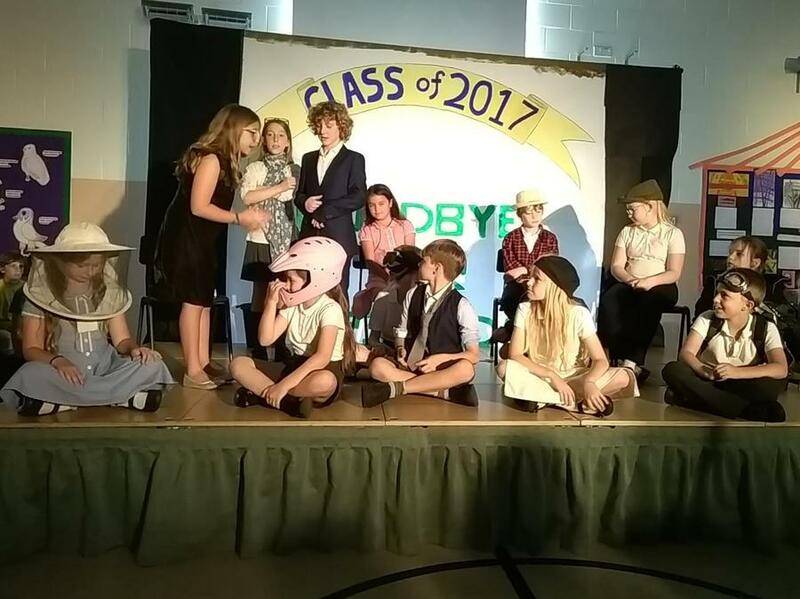 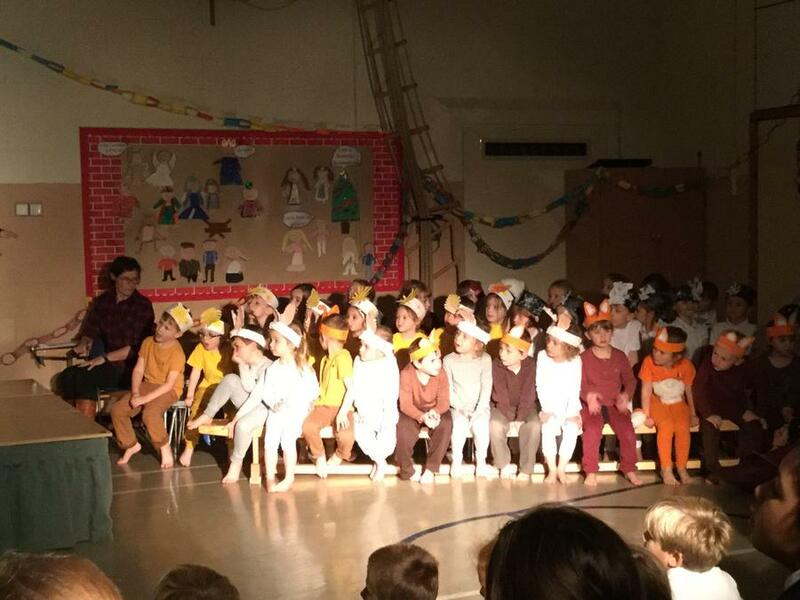 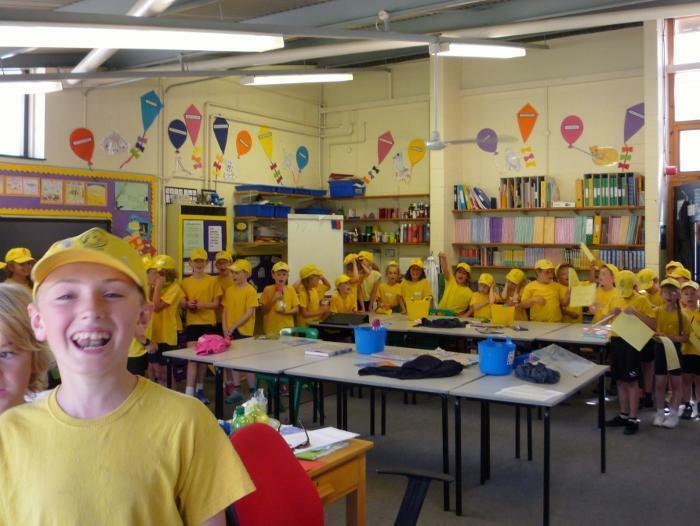 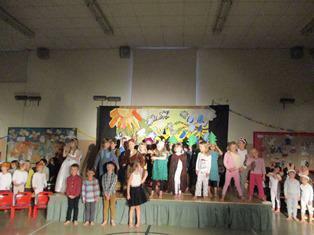 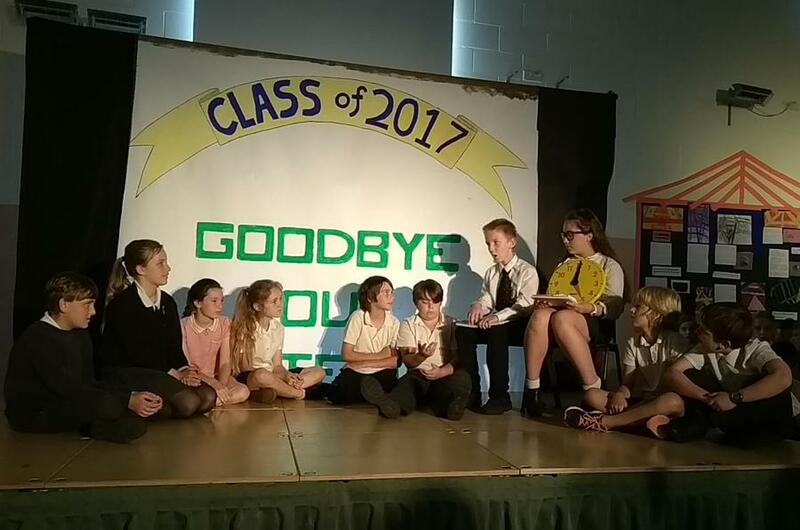 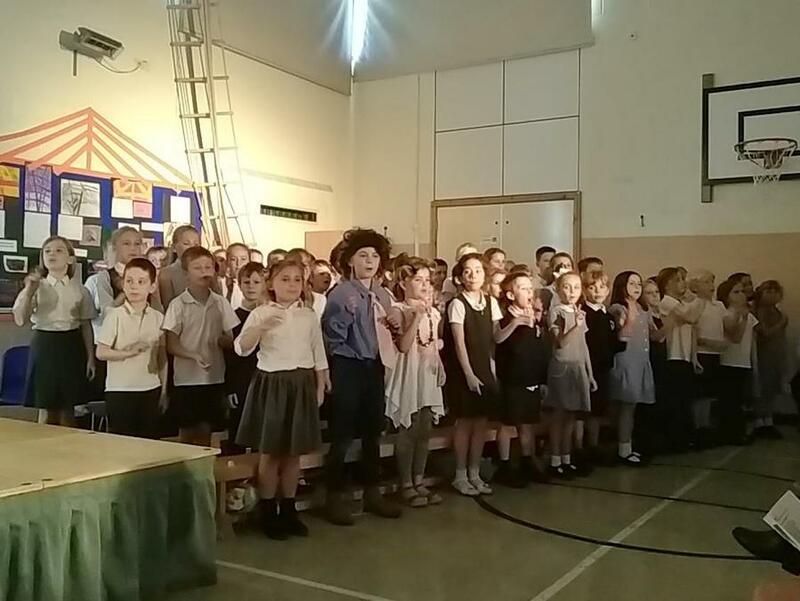 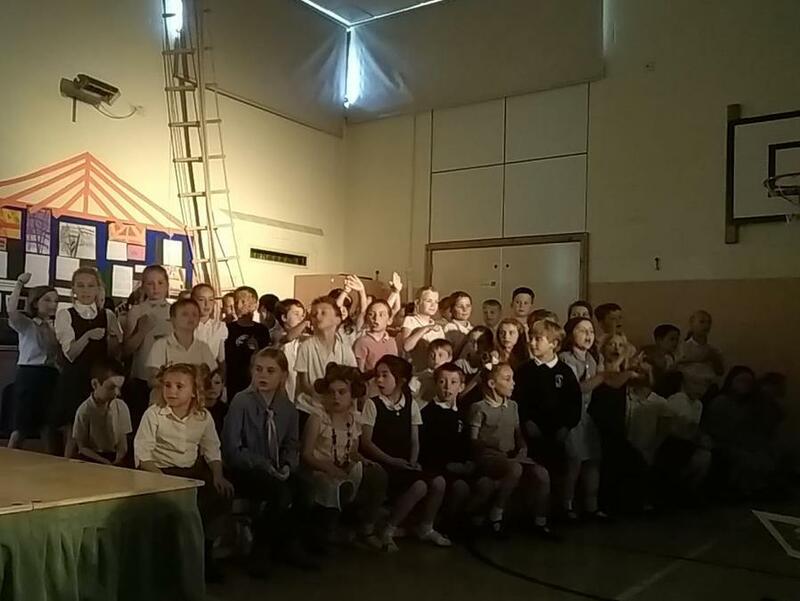 KS2 Play 2017 - "Do you Remember the First Time?" 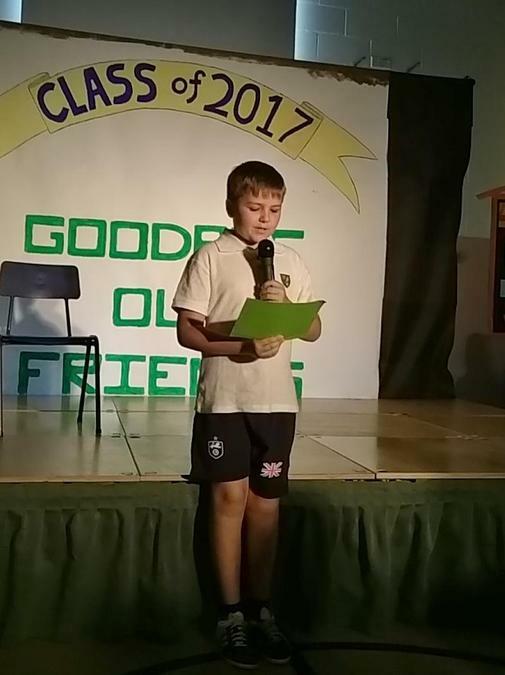 OAA Day finally happened on 16th June 2017. 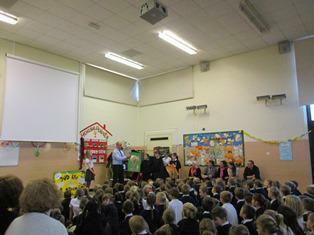 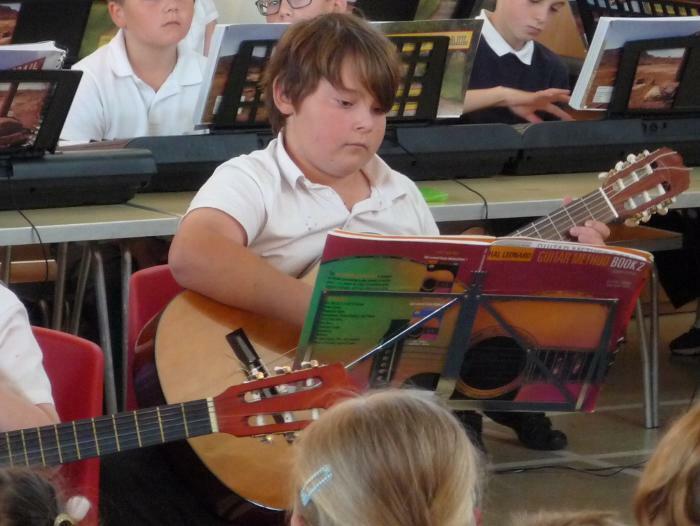 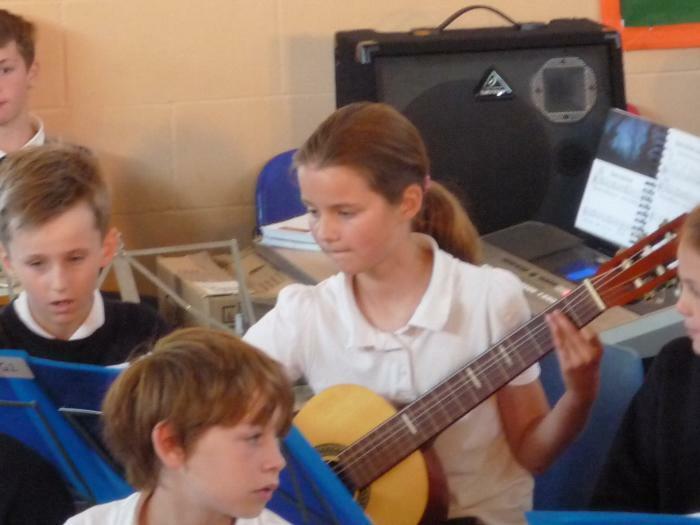 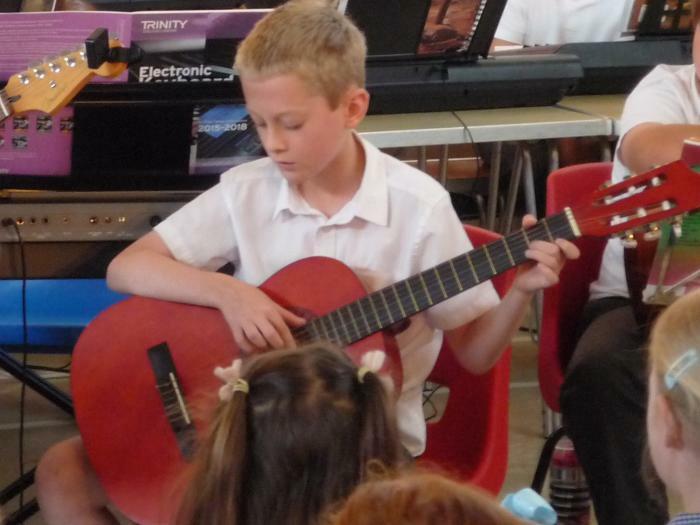 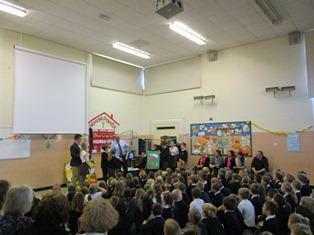 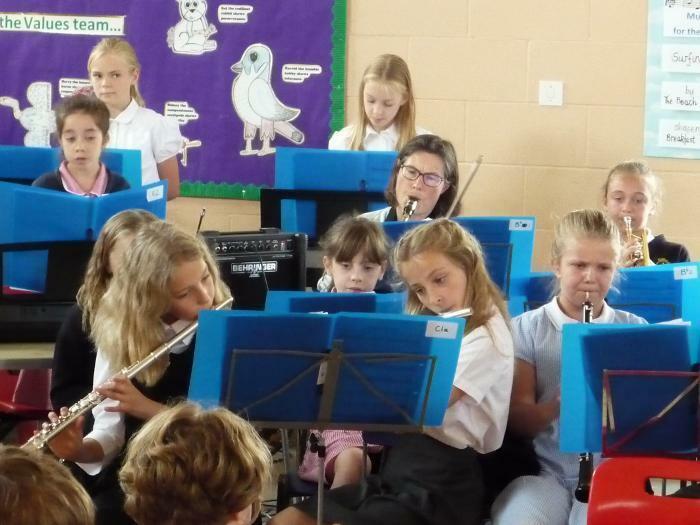 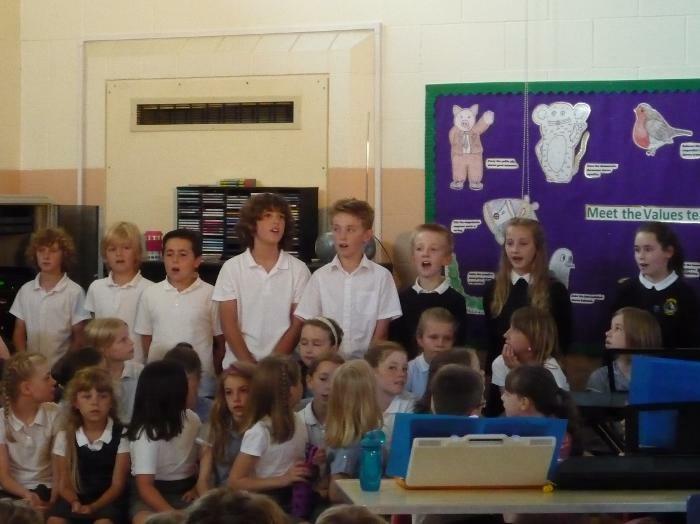 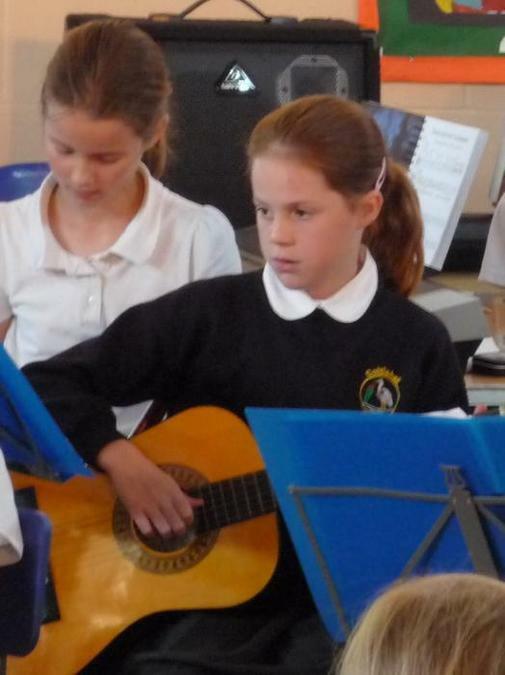 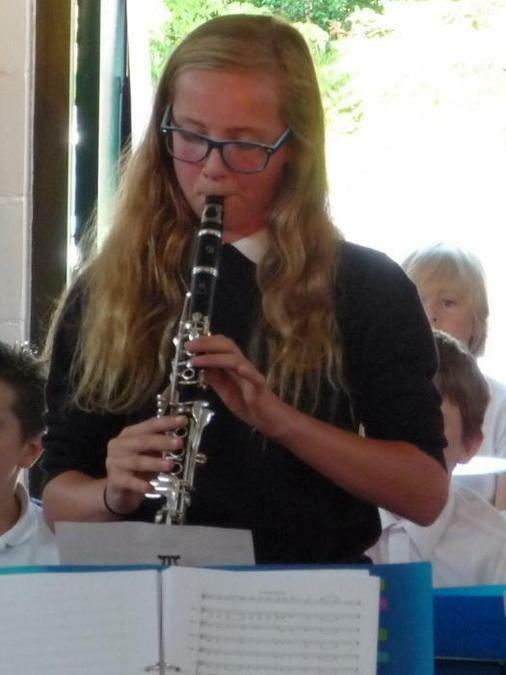 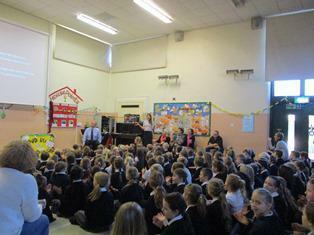 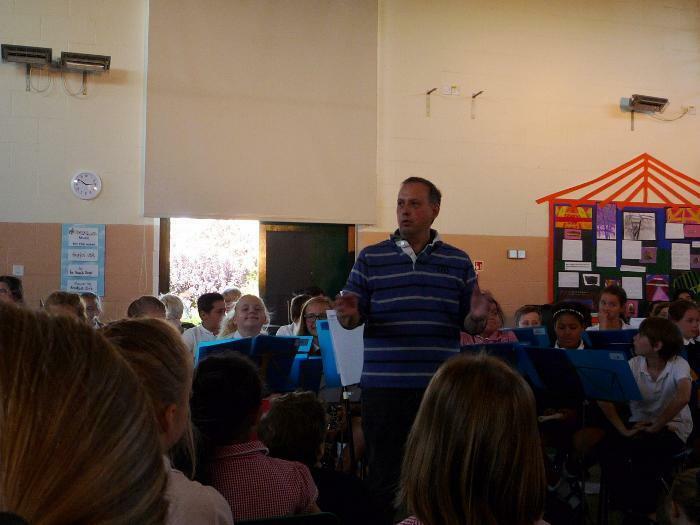 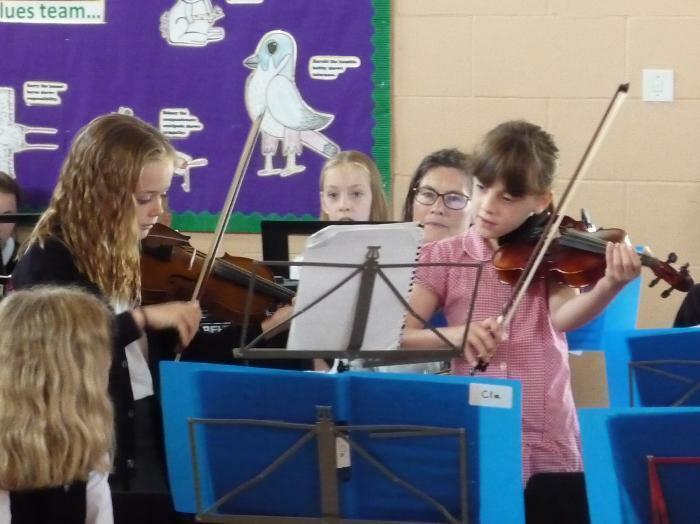 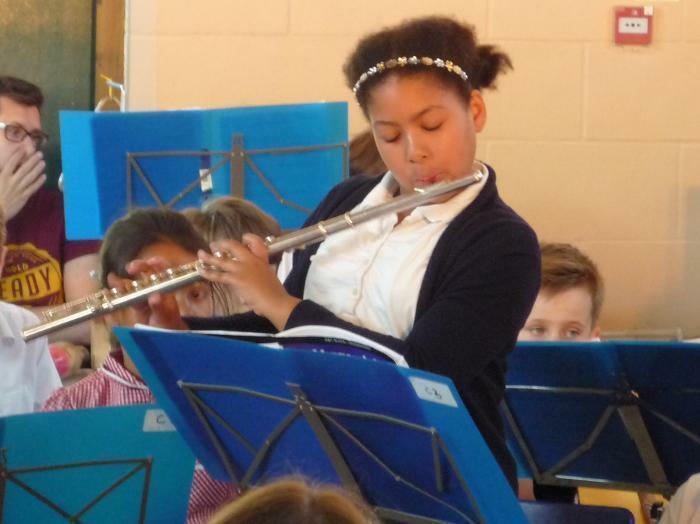 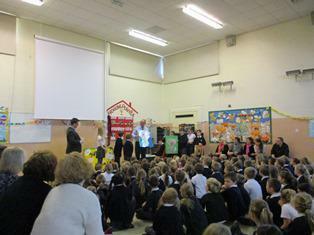 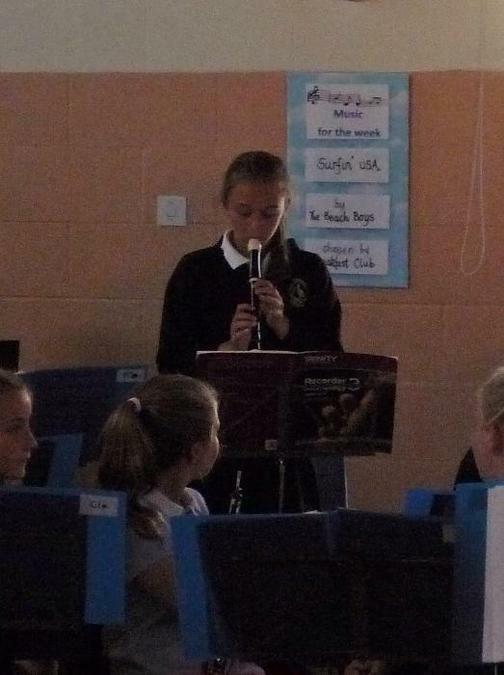 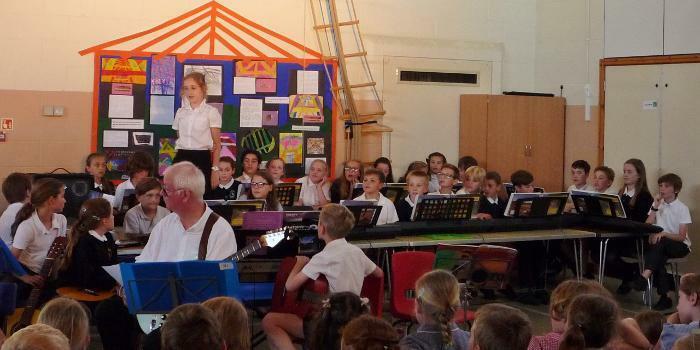 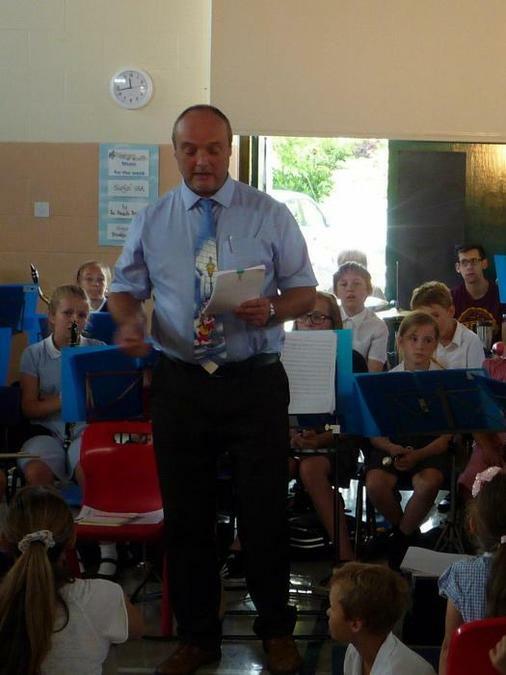 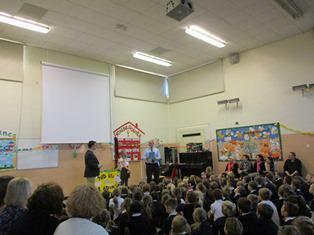 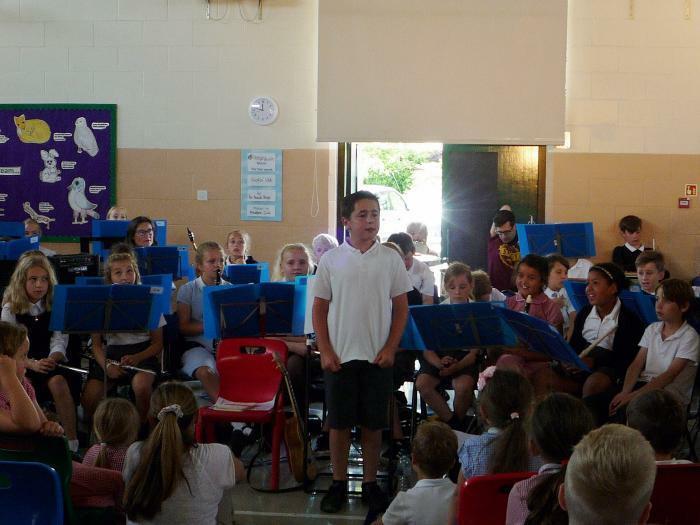 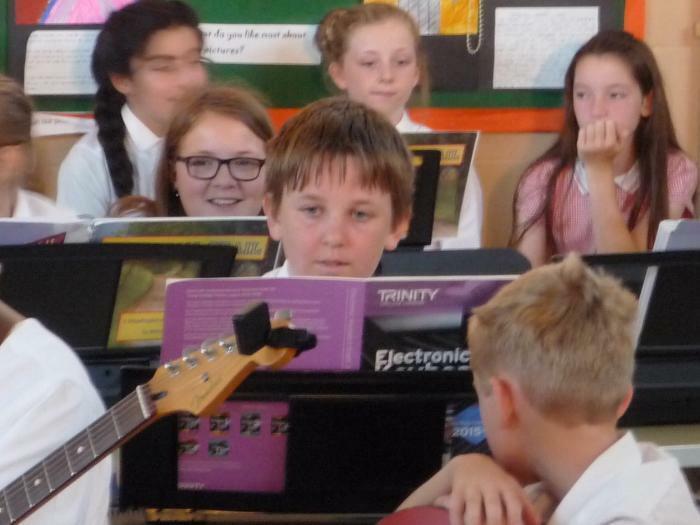 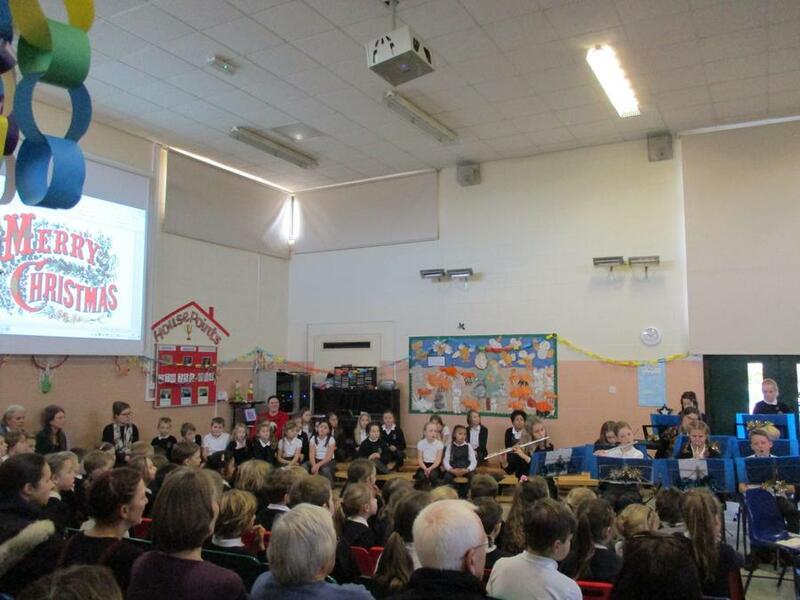 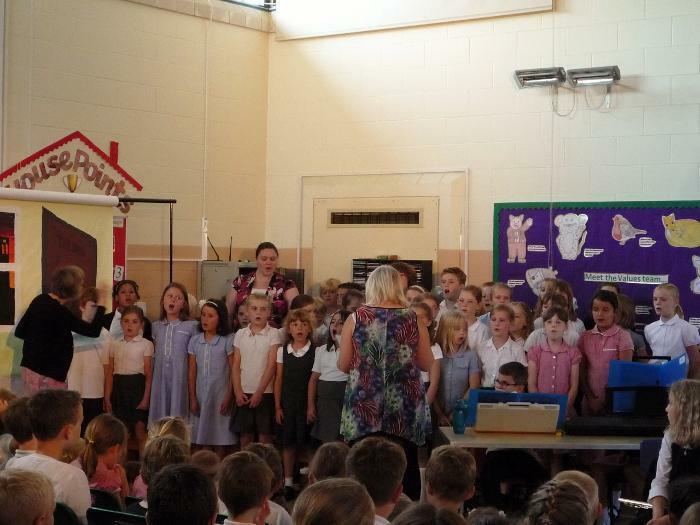 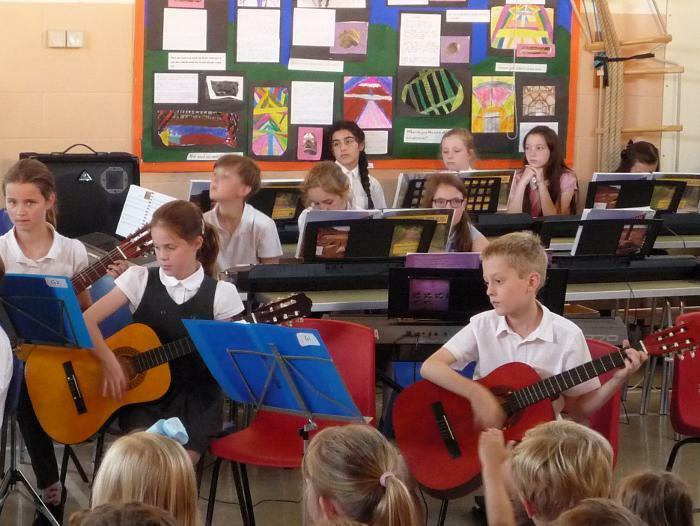 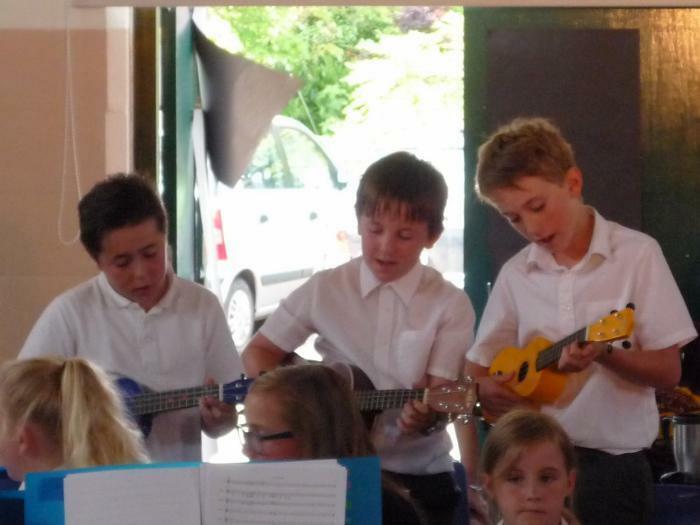 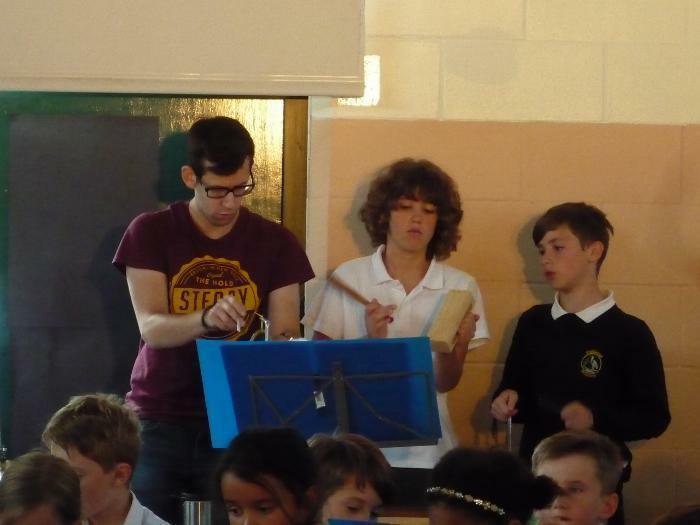 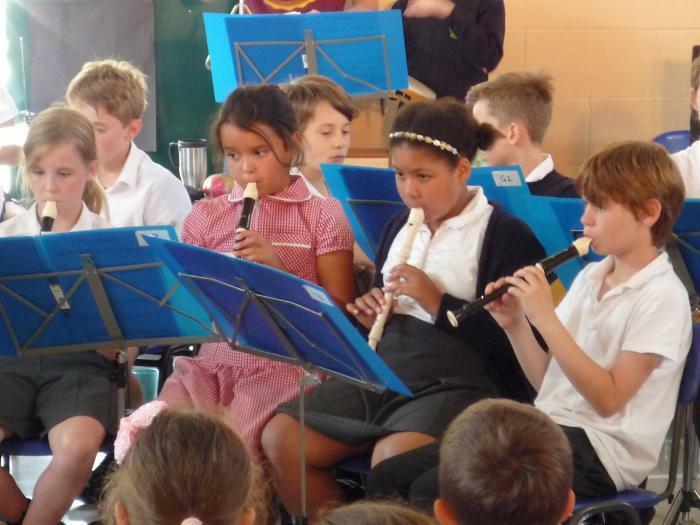 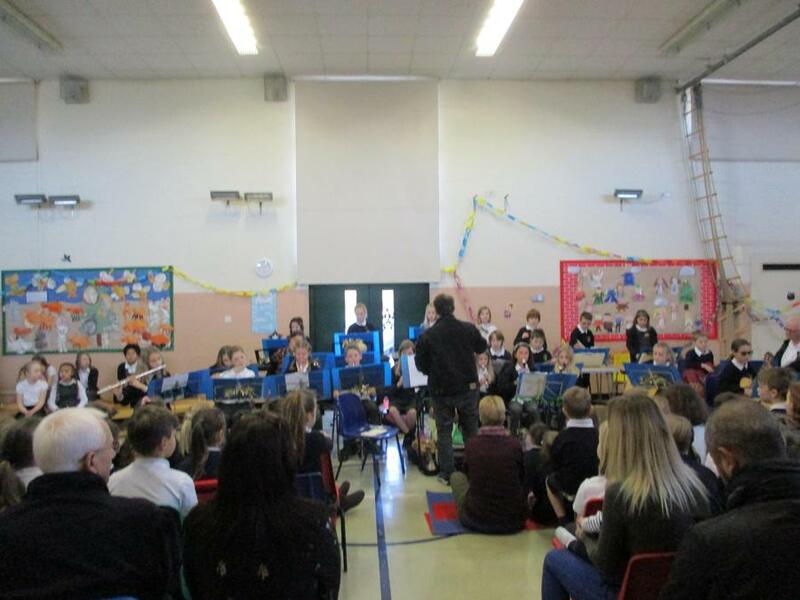 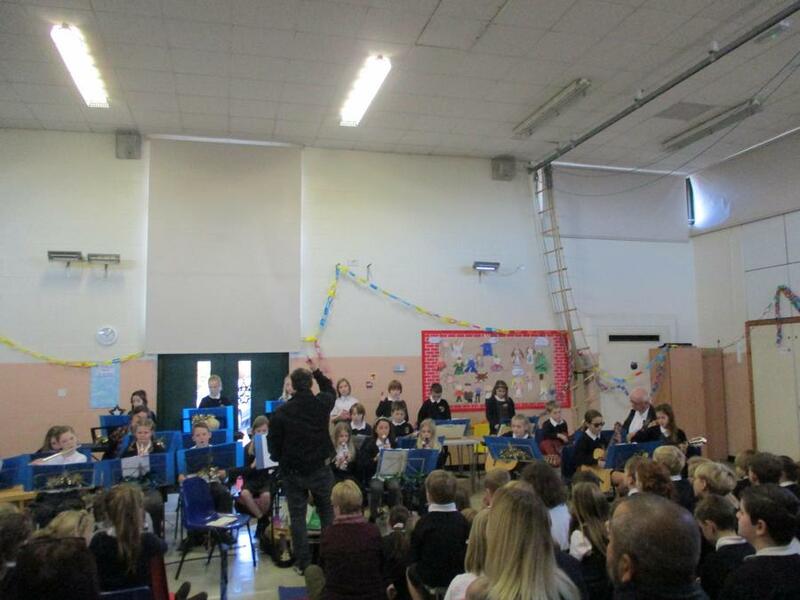 Thanks to all family & friends who helped us or came to support the pupils - we really appreciated it. 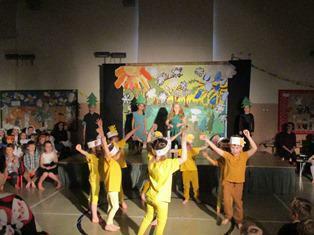 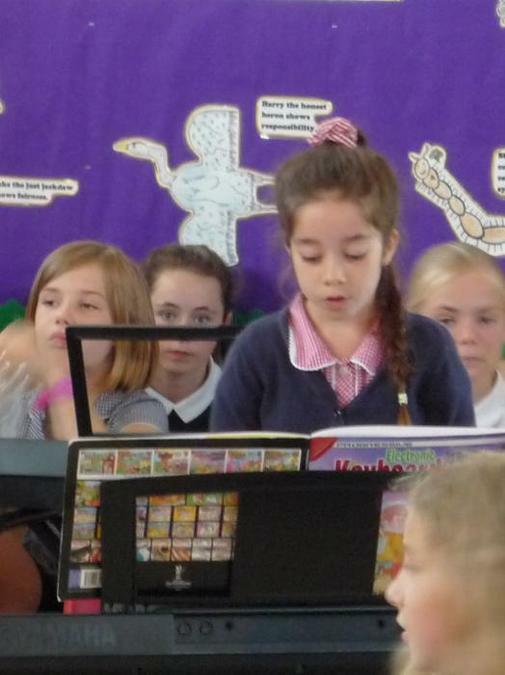 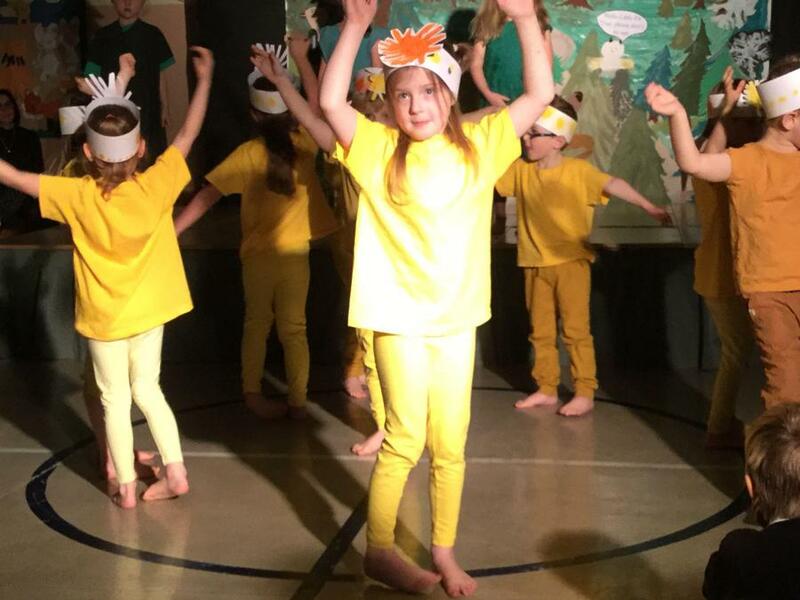 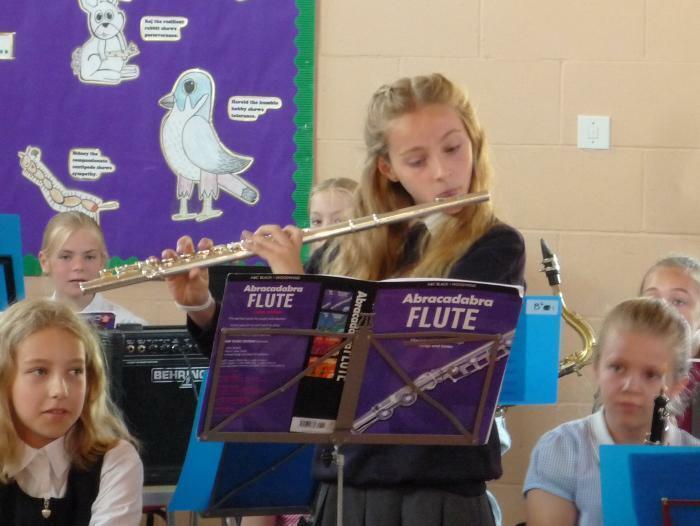 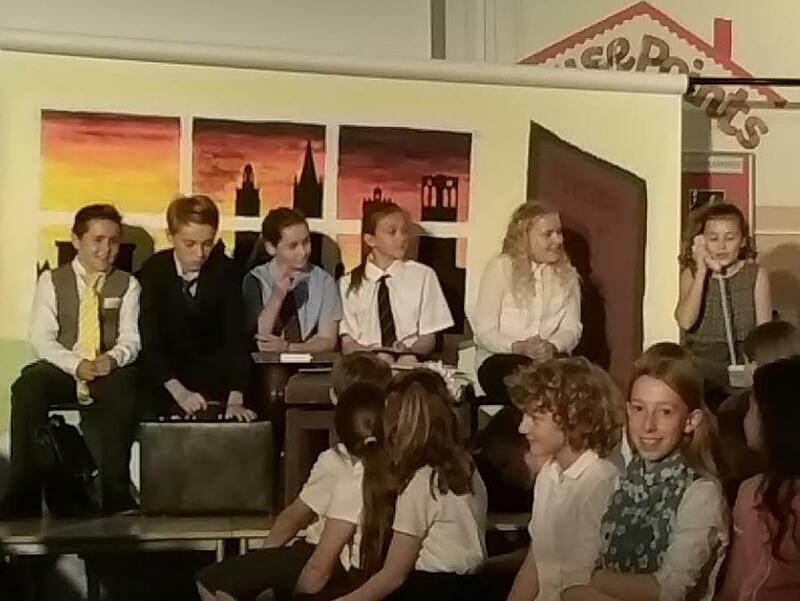 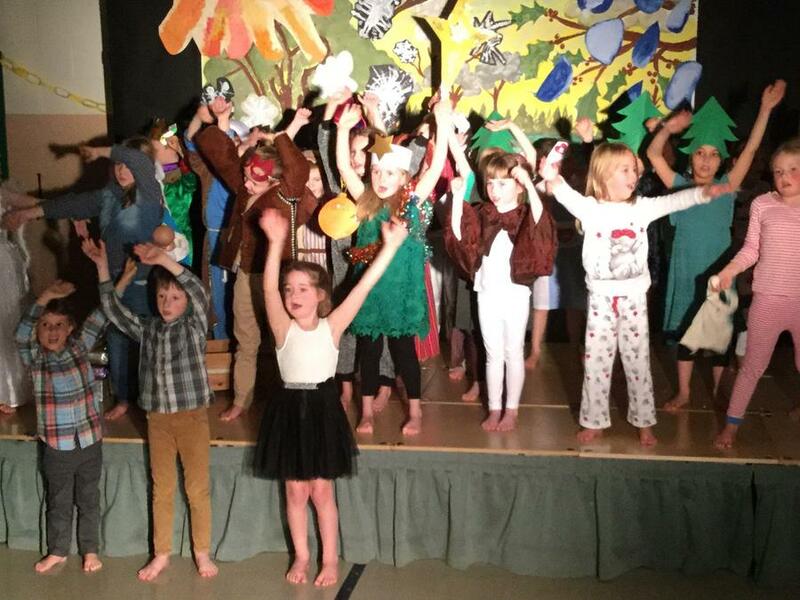 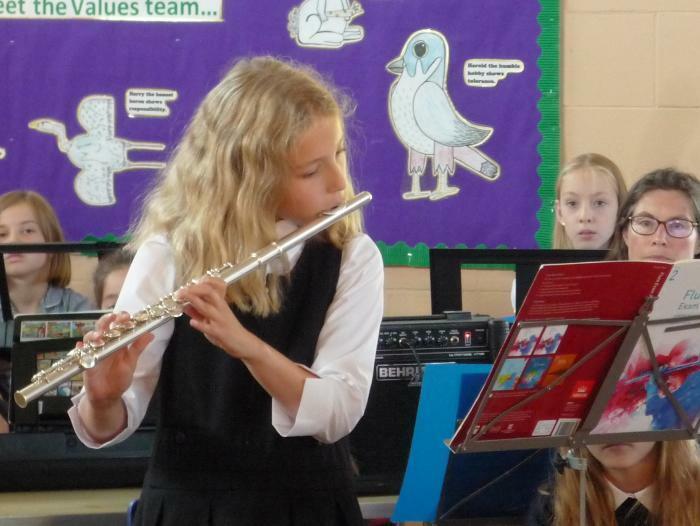 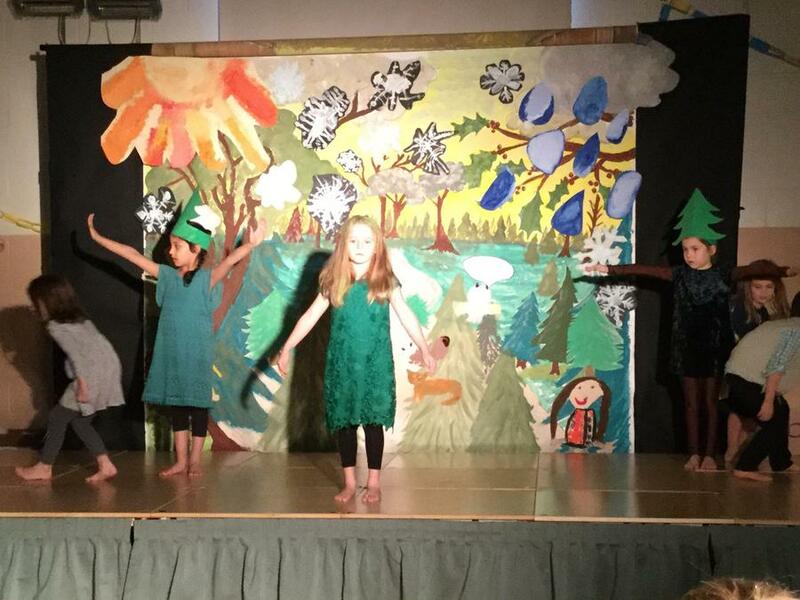 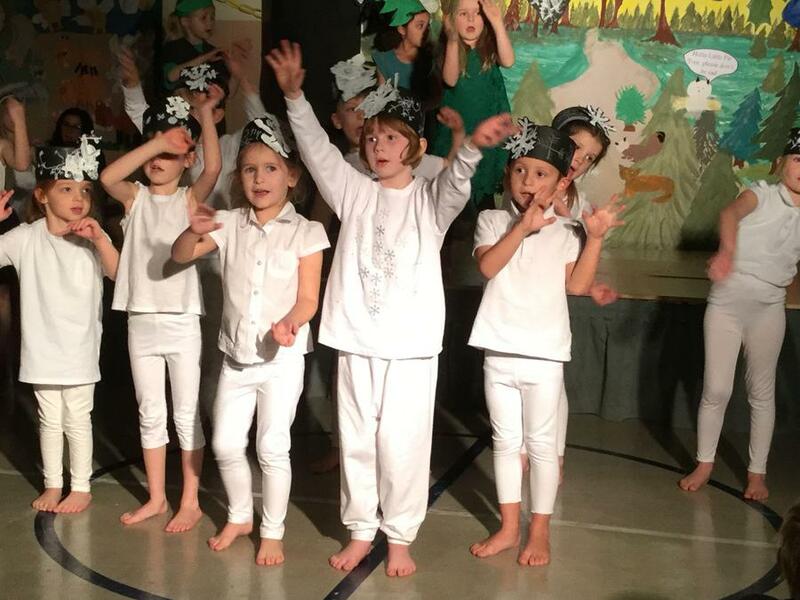 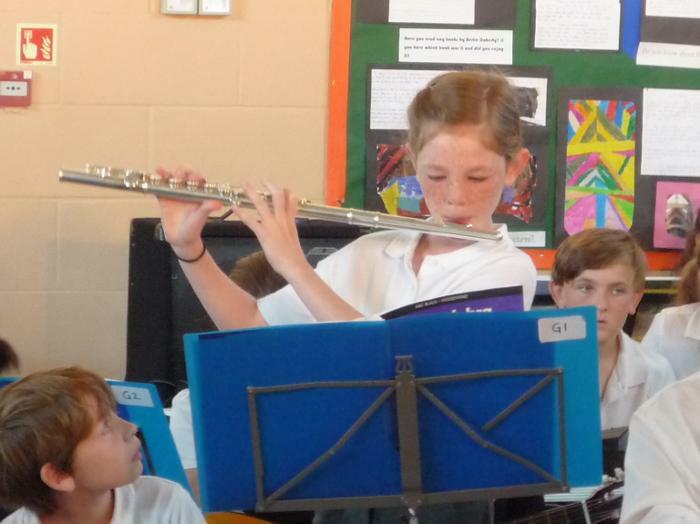 Bravo to all our pupils for your enthusiasm & teamwork. 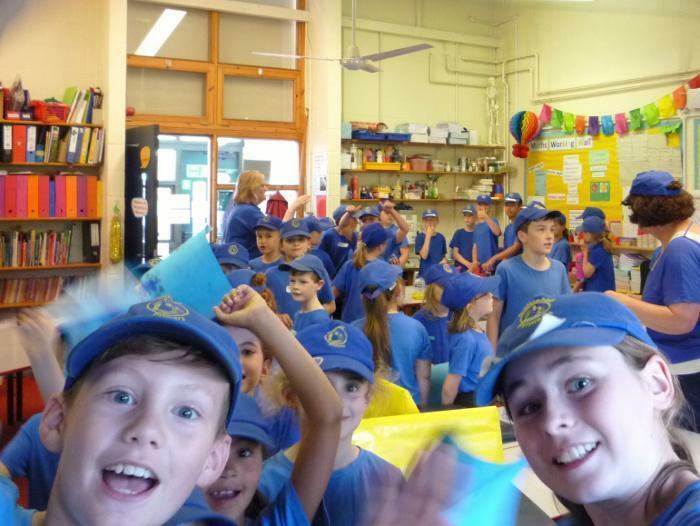 OAA Day 2017 - Morning Madness! 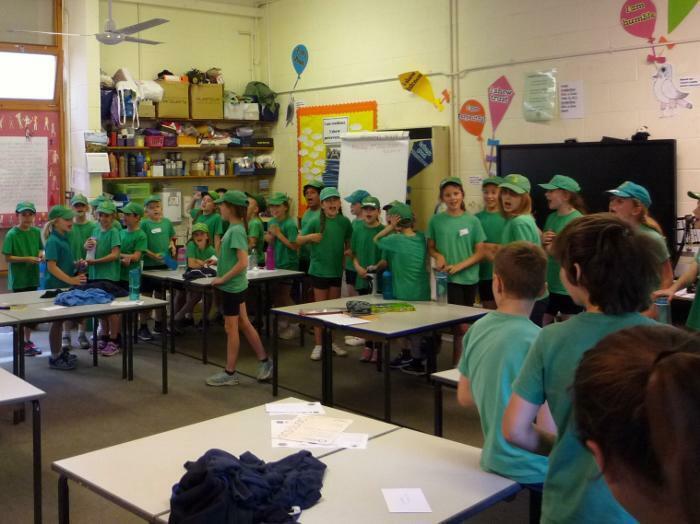 OAA Day 2017 - Afternoon Action!